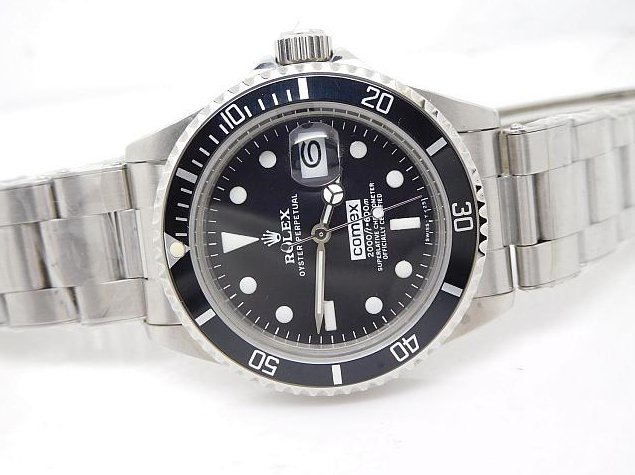 116613 is one of the best-selling Submariner watches, its popularity is next to the black Submariner 116610LN. 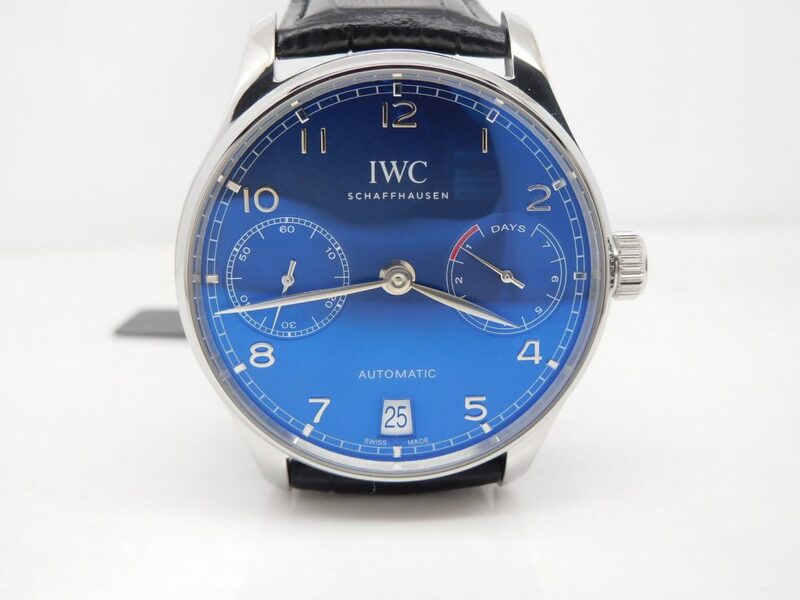 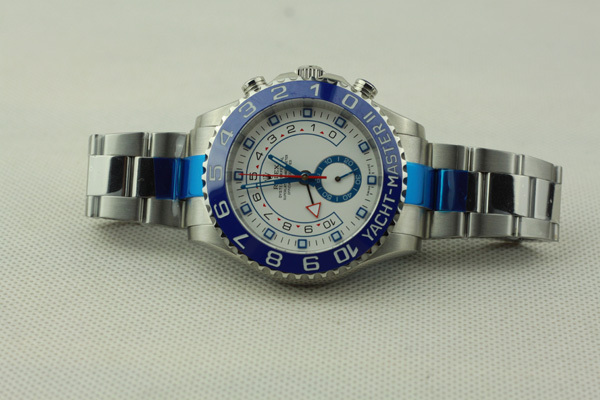 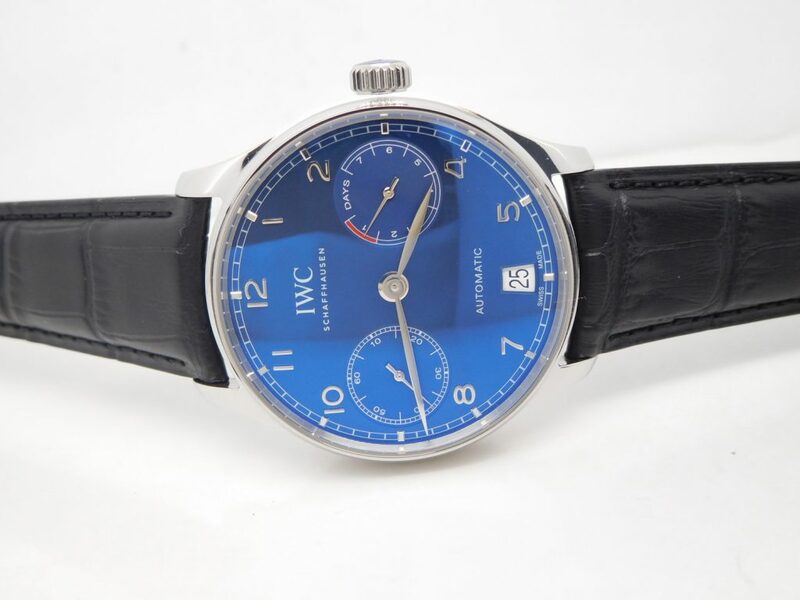 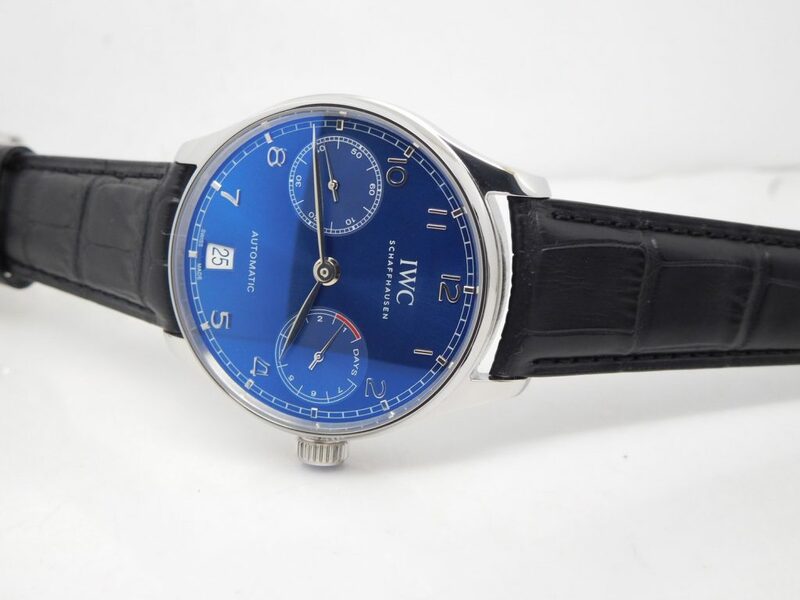 116613 is popular because it is a two tone model, and the watch features a blue bezel and blue dial. 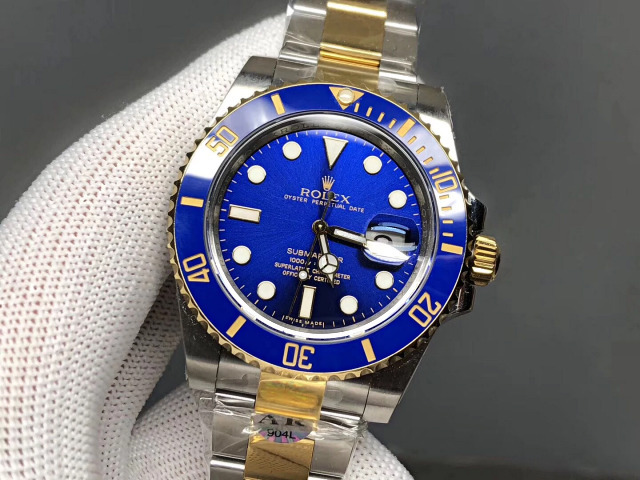 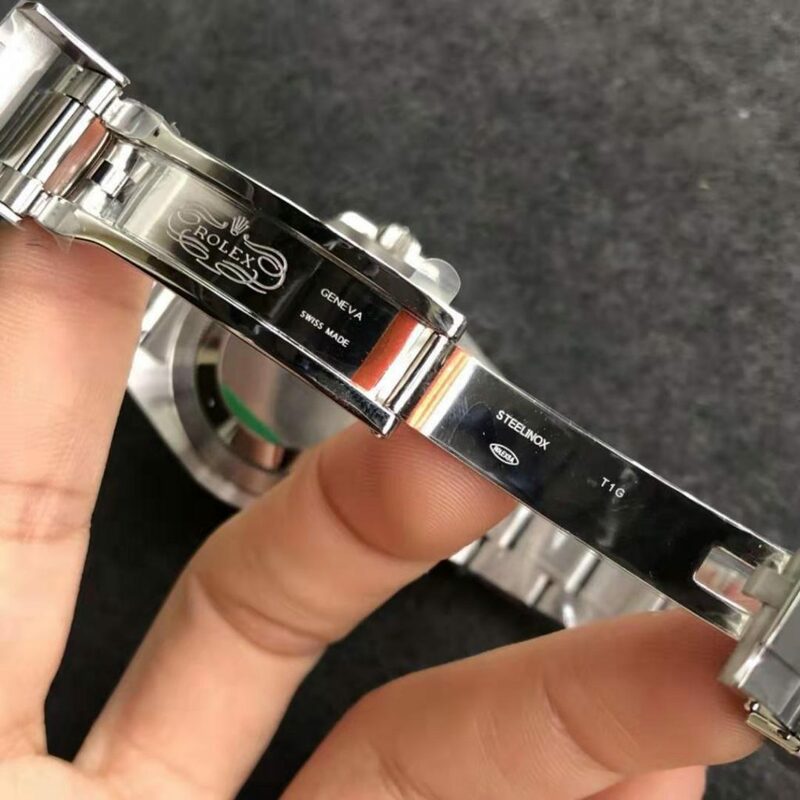 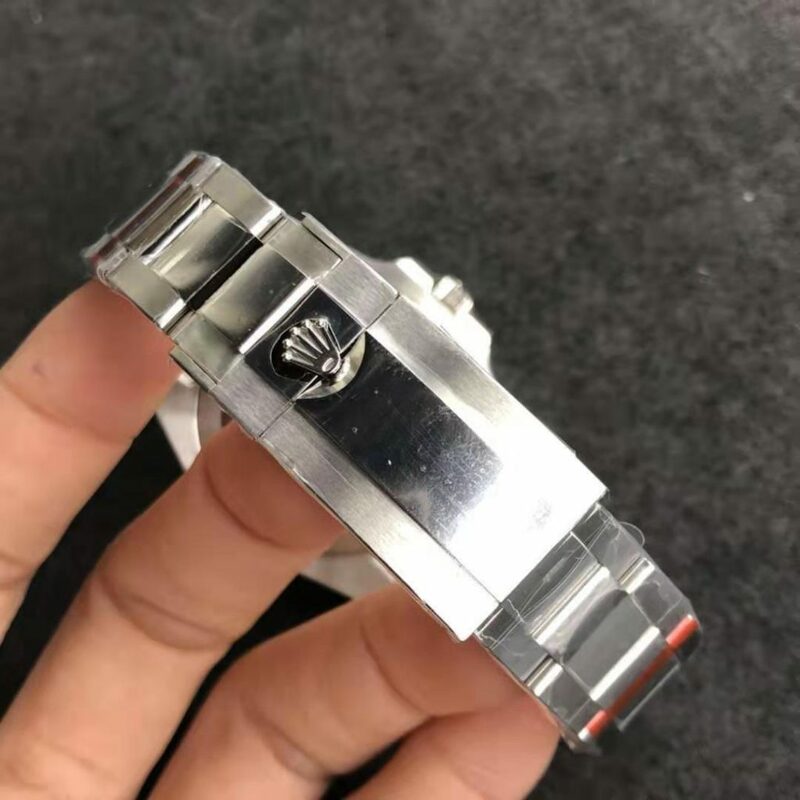 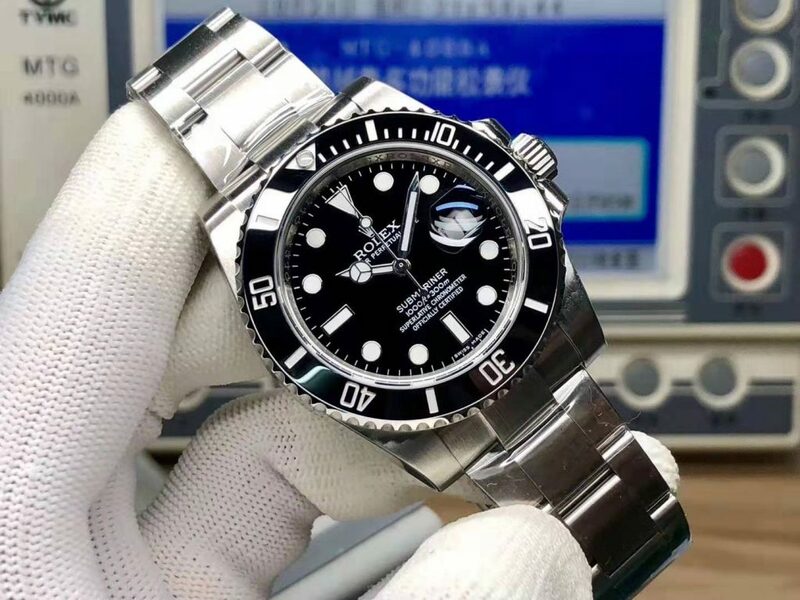 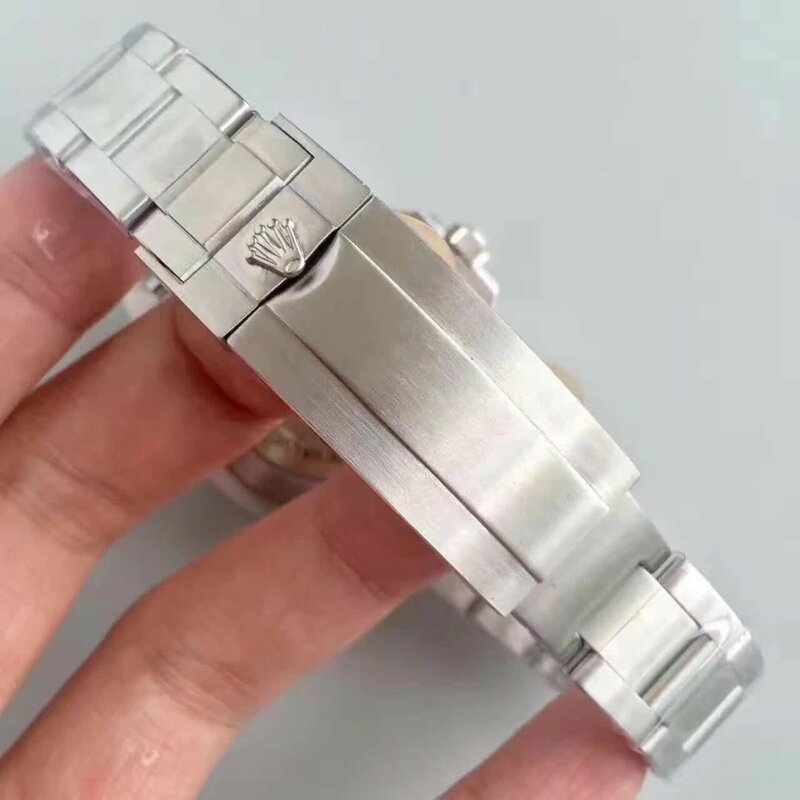 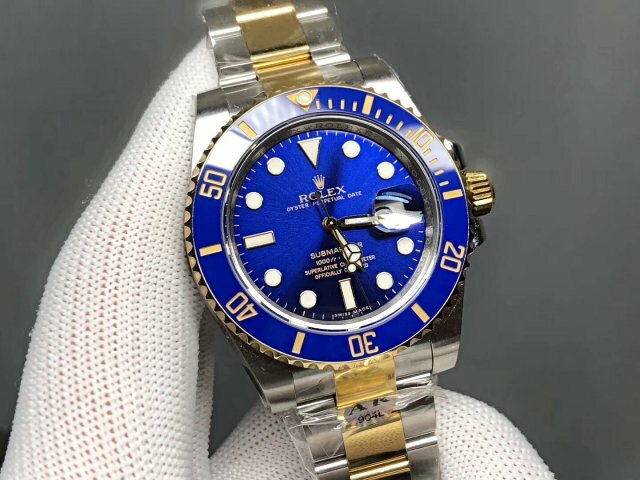 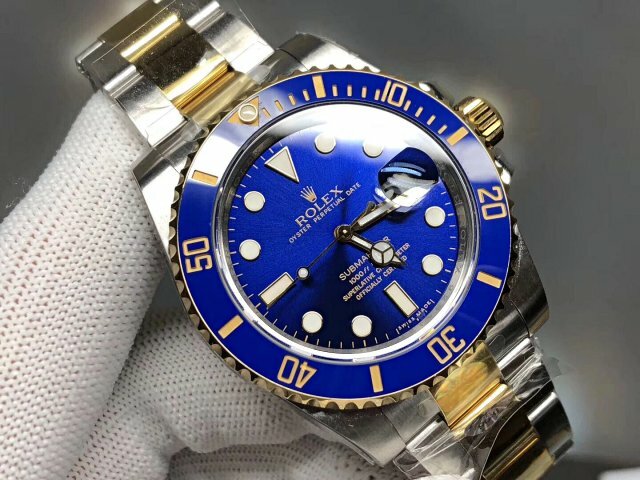 Today, the replica Rolex Submariner is made by AR factory, its case and bracelet are made of 904L stainless steel, now on this model, only AR factory uses 904L stainless steel, even Noob has not used. 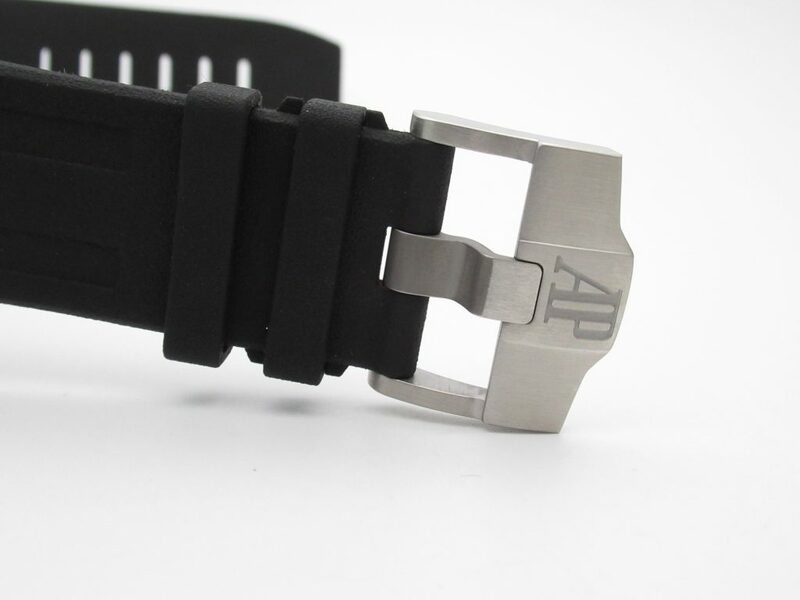 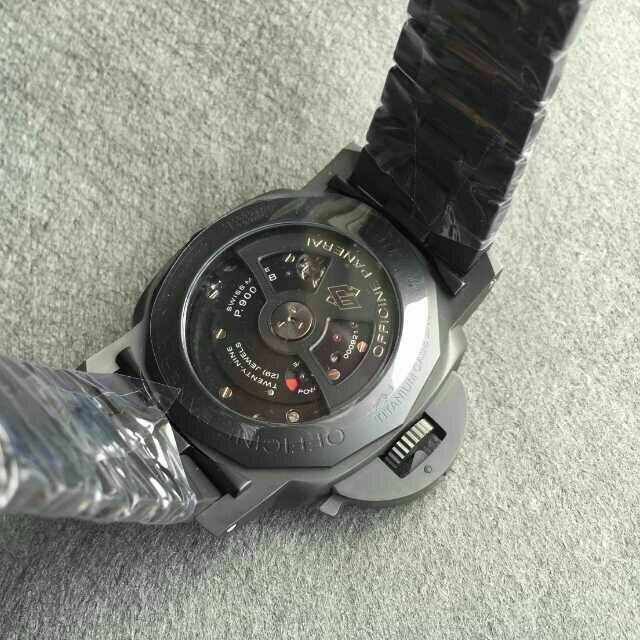 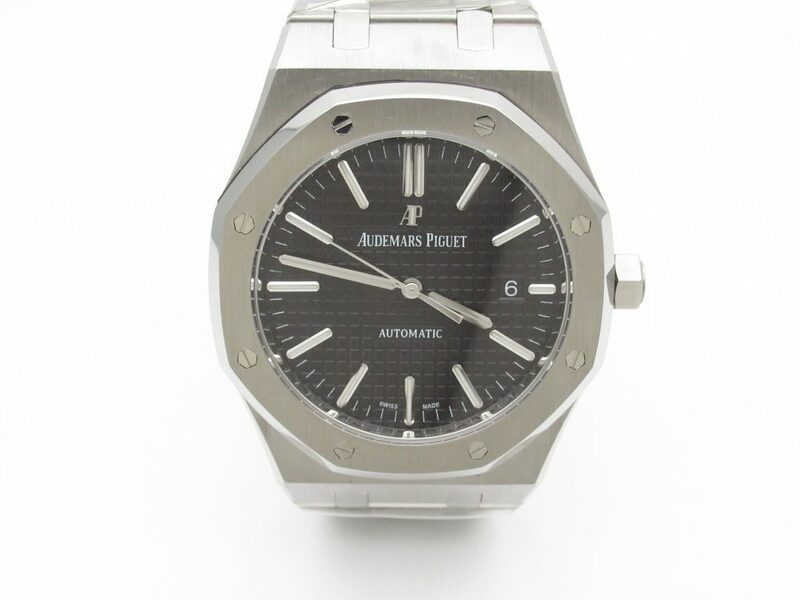 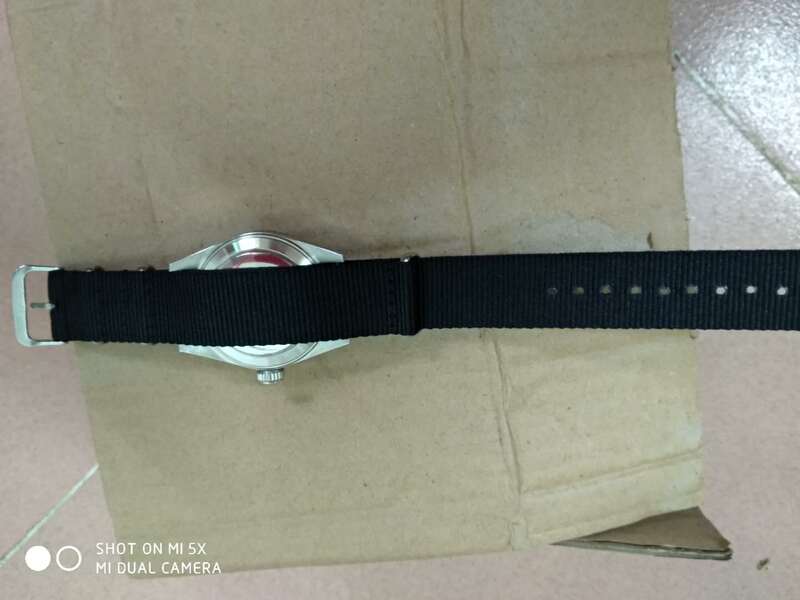 The replica watch was just published by AR factory in last week. 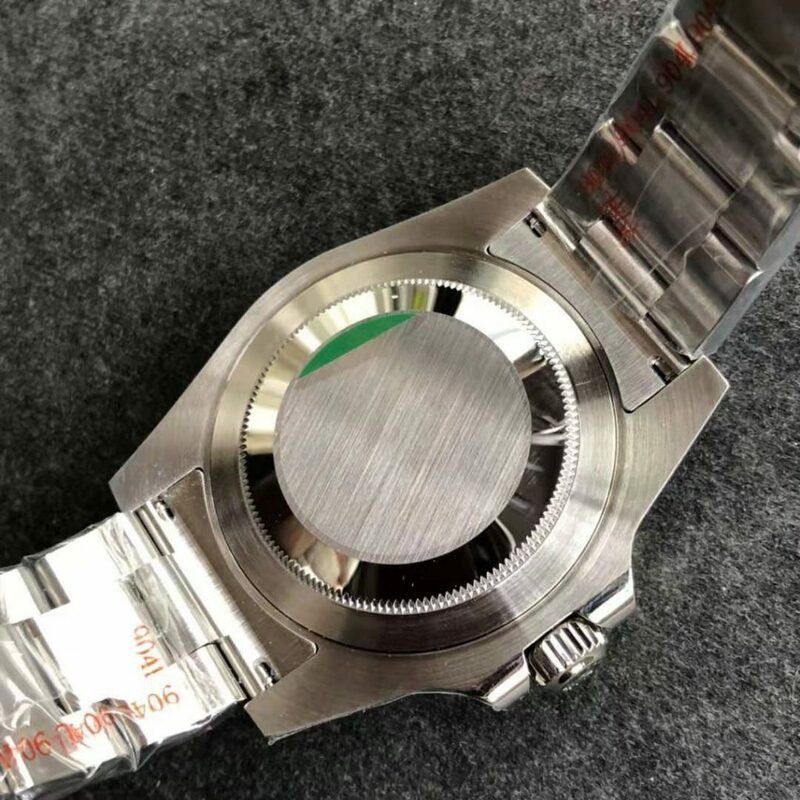 Now, let’s take a close look at its photos. 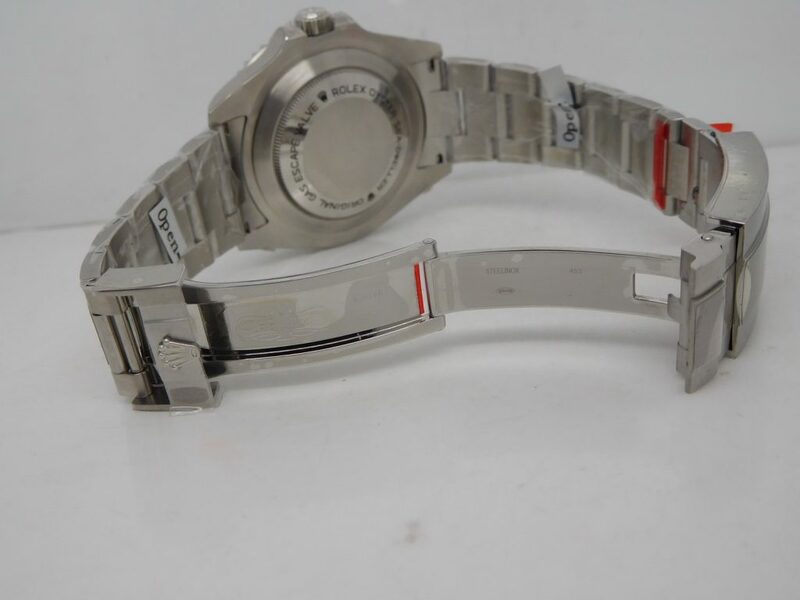 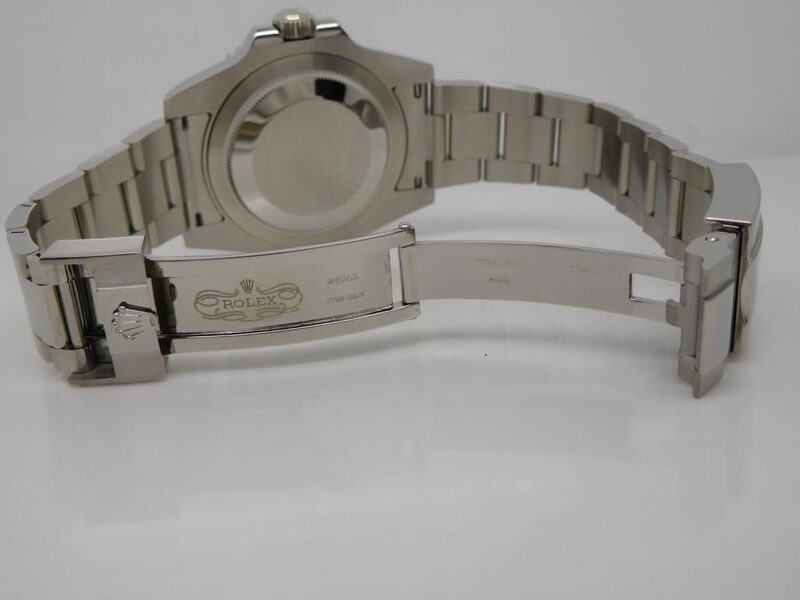 The watch has a 40mm case diameter, it is 13mm thick, which is the same as genuine. 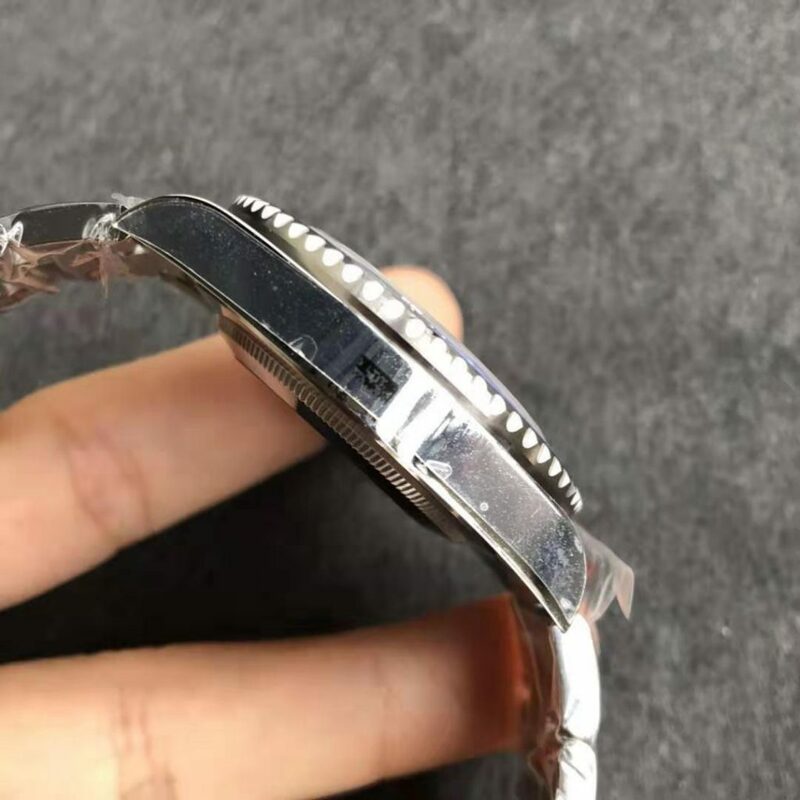 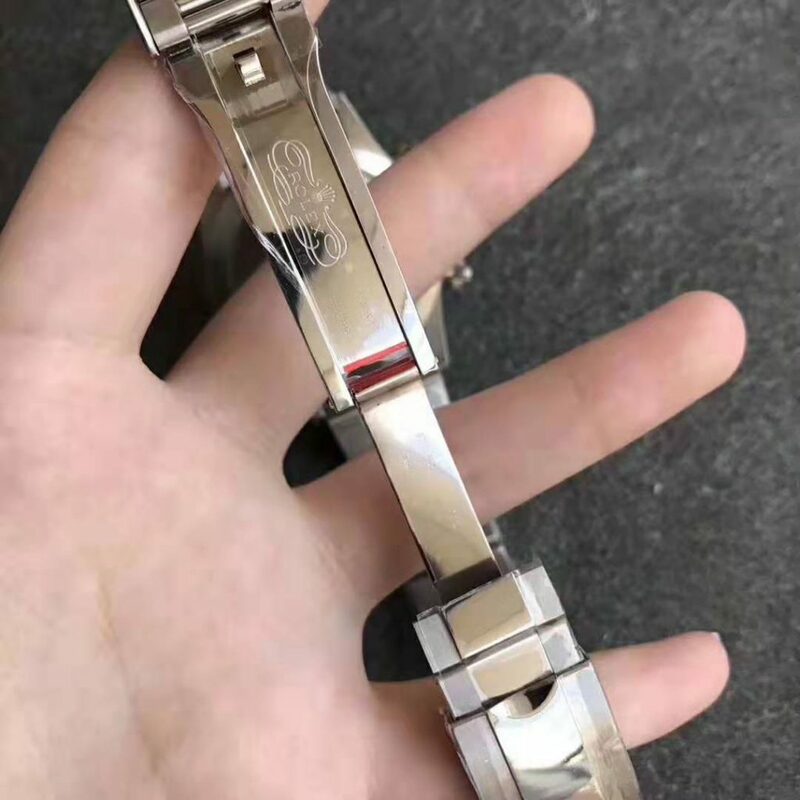 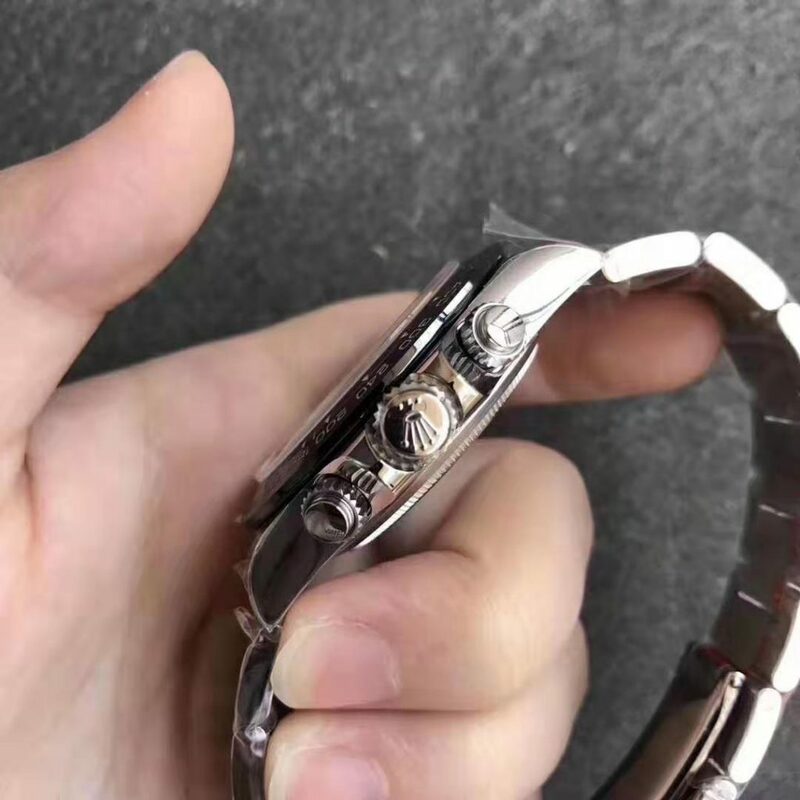 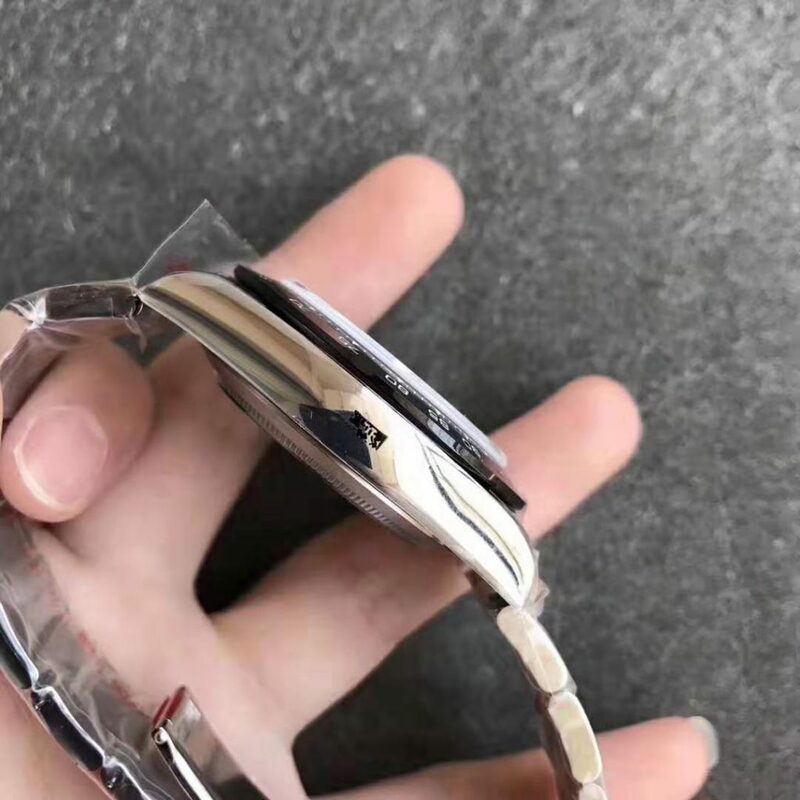 The case is not only made of 904L stainless steel, but the golden part uses 18K yellow gold, whose layer is measured to be 5 mils, it is so thick, you do not need to worry about the fading of golden layer. 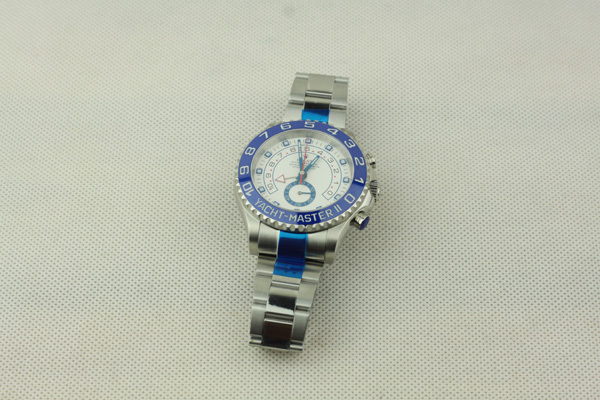 The bezel uses real ceramic material in blue color. 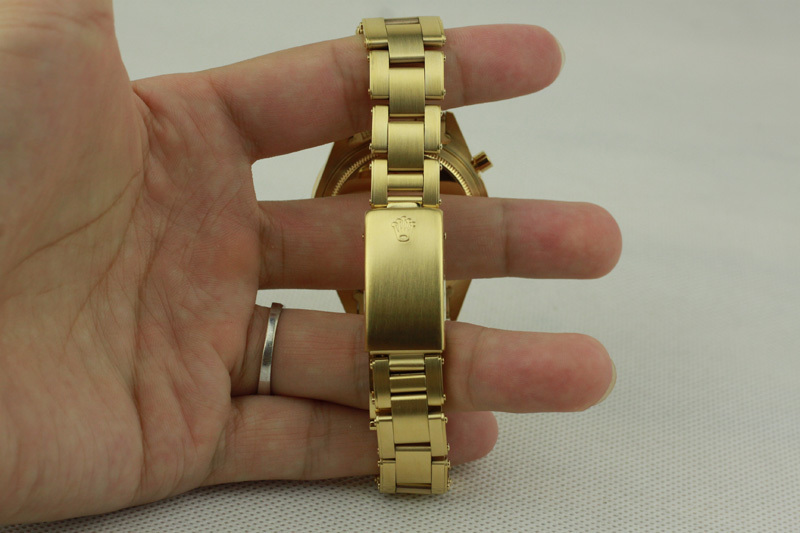 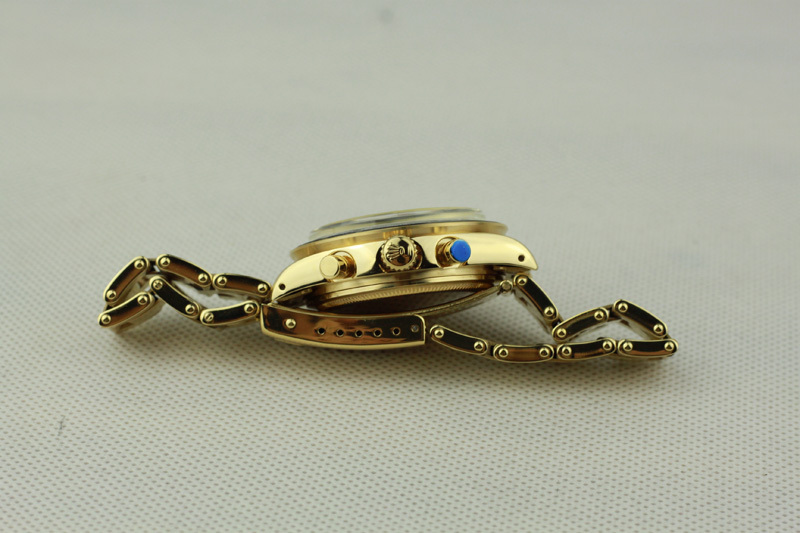 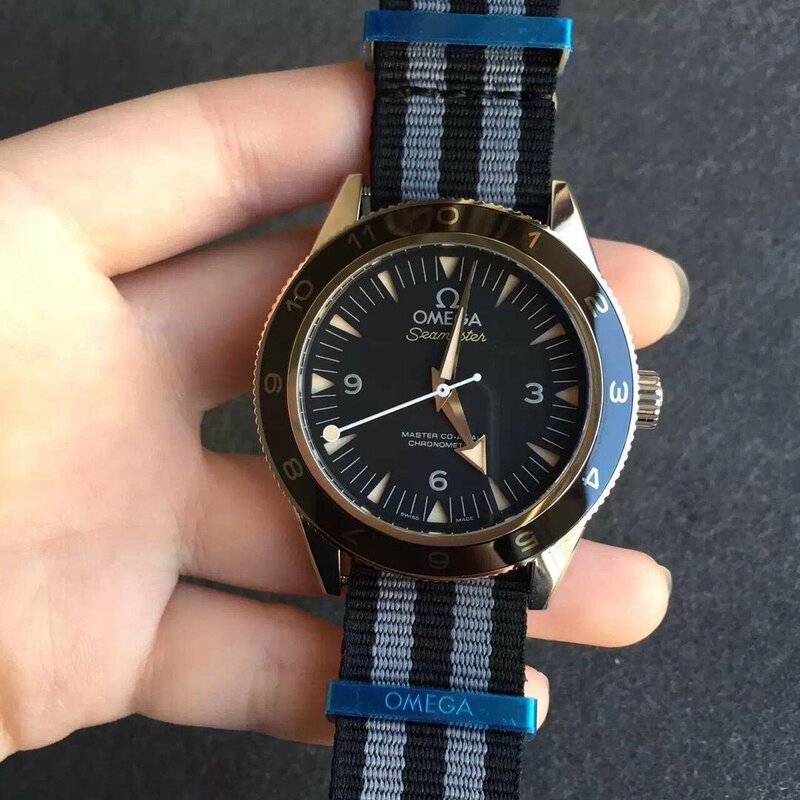 The golden markers on bezel exactly echoes with the golden case and bracelet. 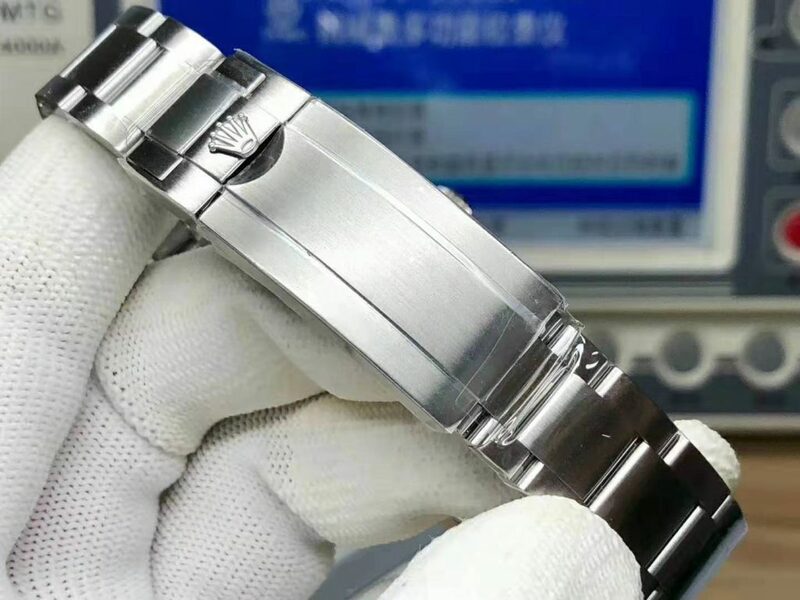 Now, AR factory uses special process to fix the bezel, so it will not fall off easily. 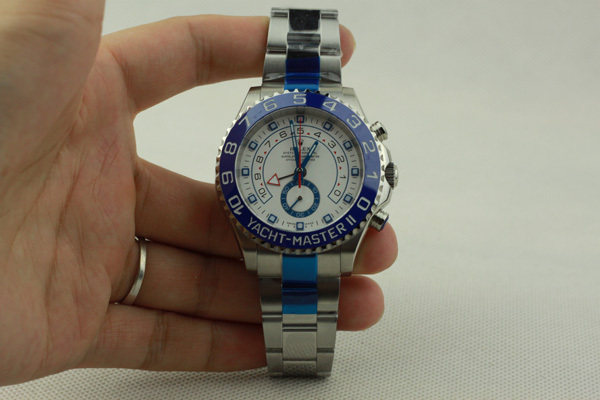 Blue dial is the ocean theme representation of the blue Submariner watch. 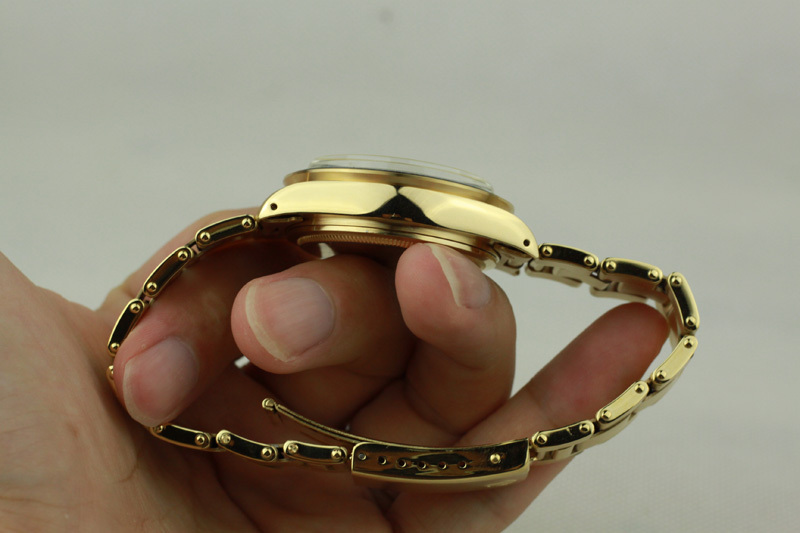 There are golden dial printings and golden edge on hands and hour markers. 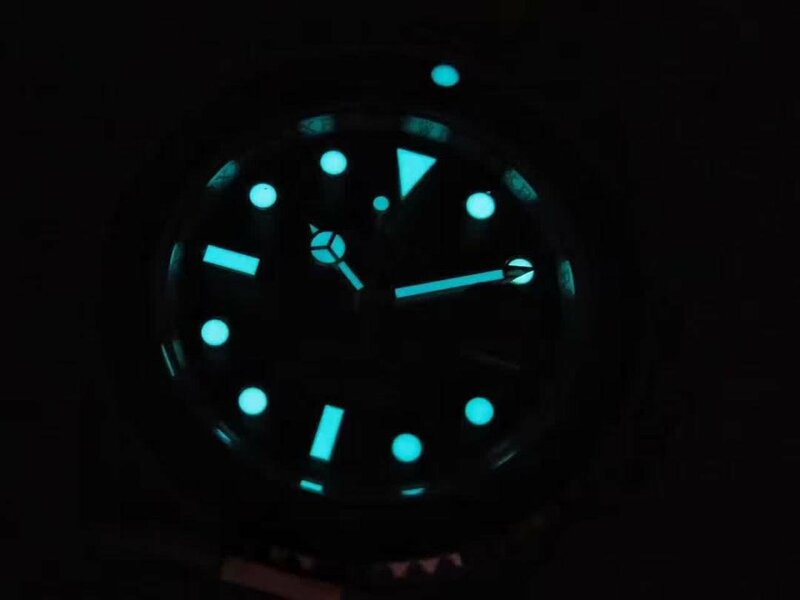 Swiss lume material is fully filled in round dotted hour markers and hands. 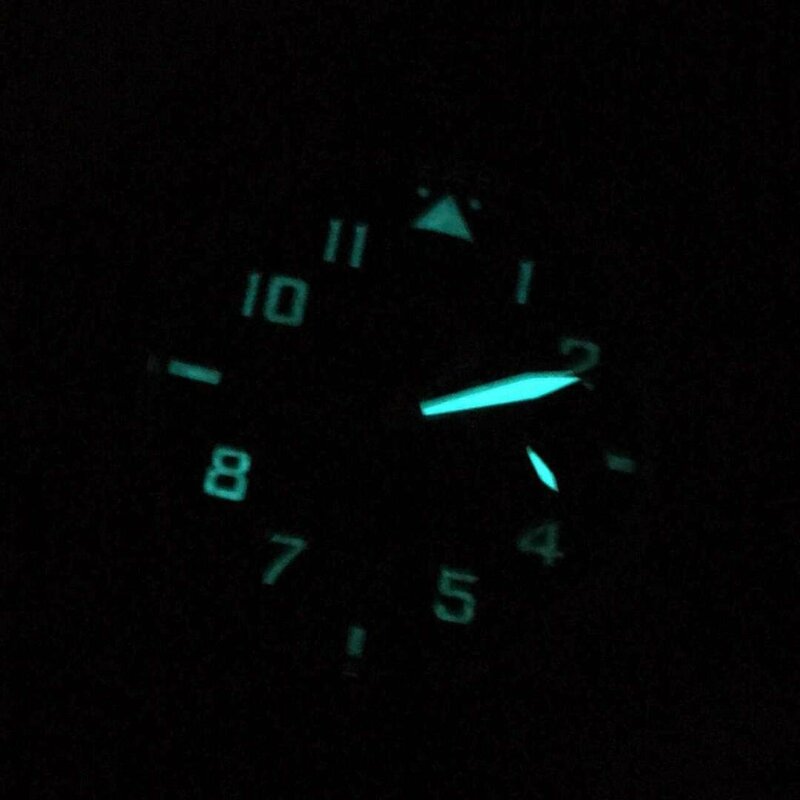 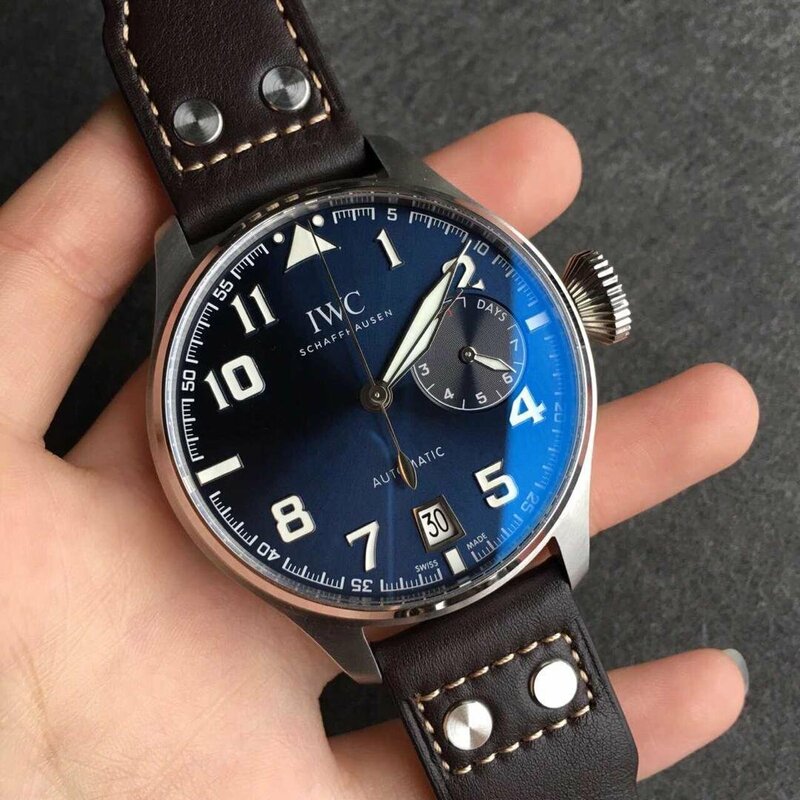 The blue lume color of the dial is very close to that of genuine watch. 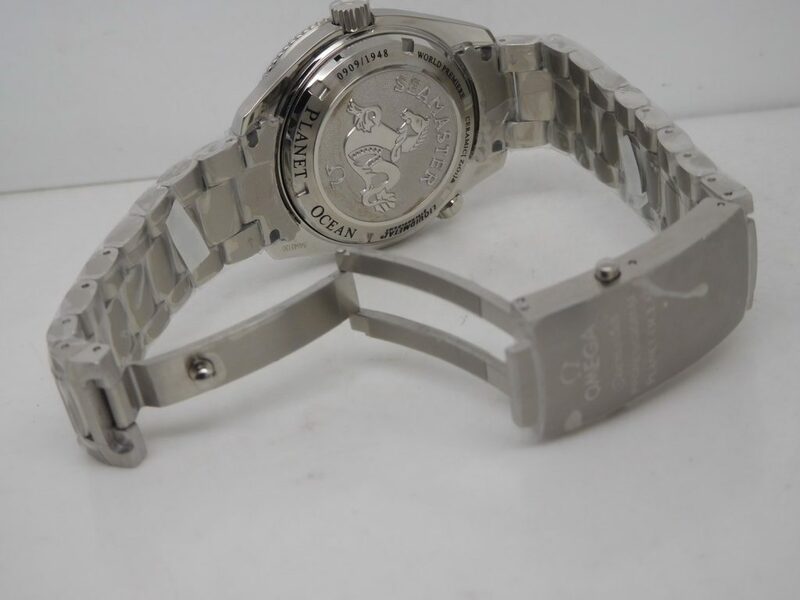 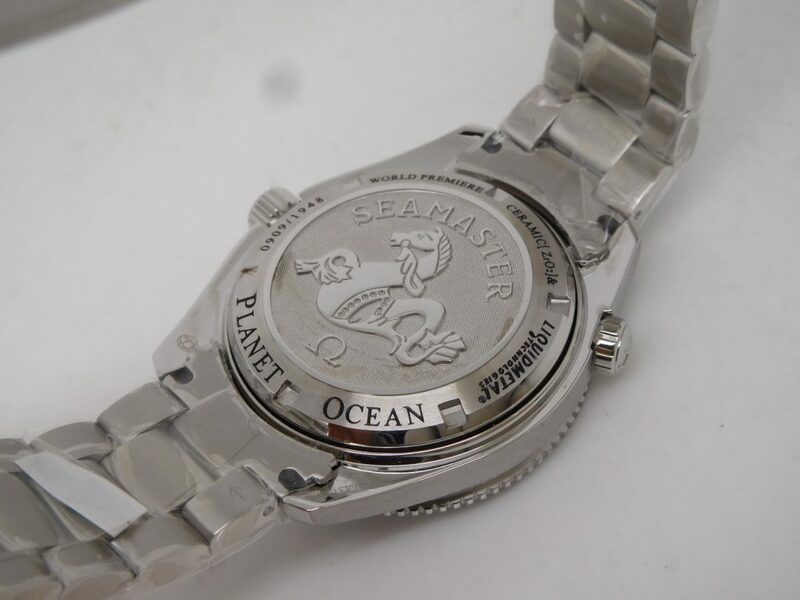 The silver rehaut has correct engravings, at 6 o’clock, there is serial number engraving on the rehaut like genuine. 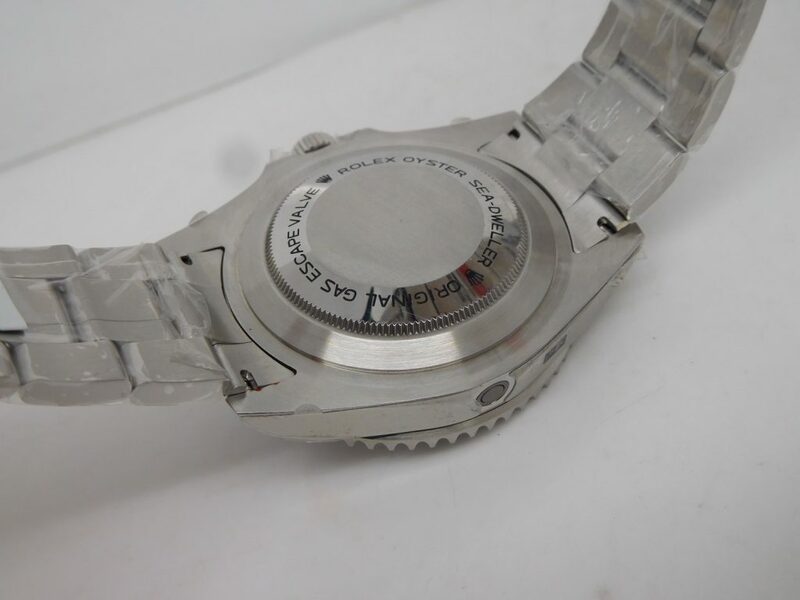 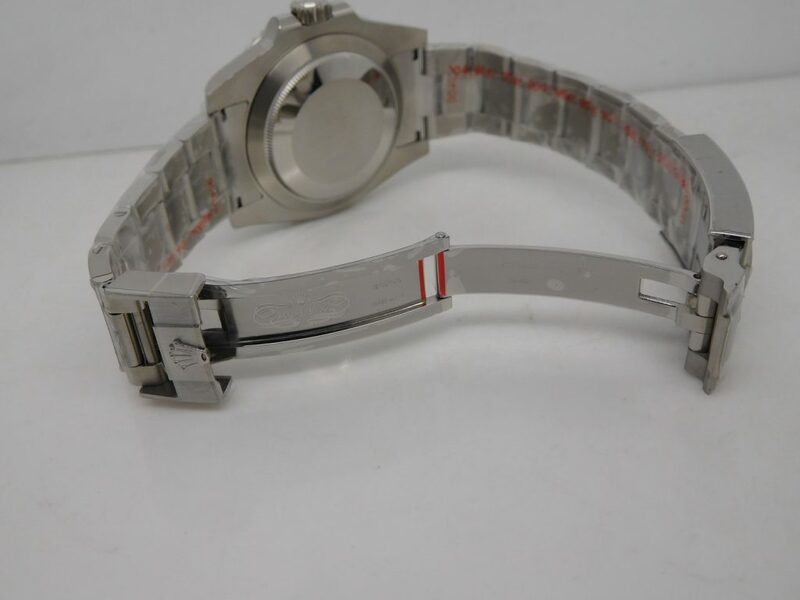 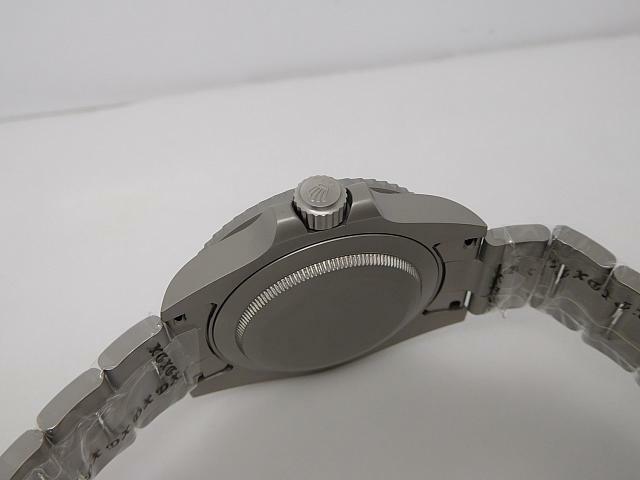 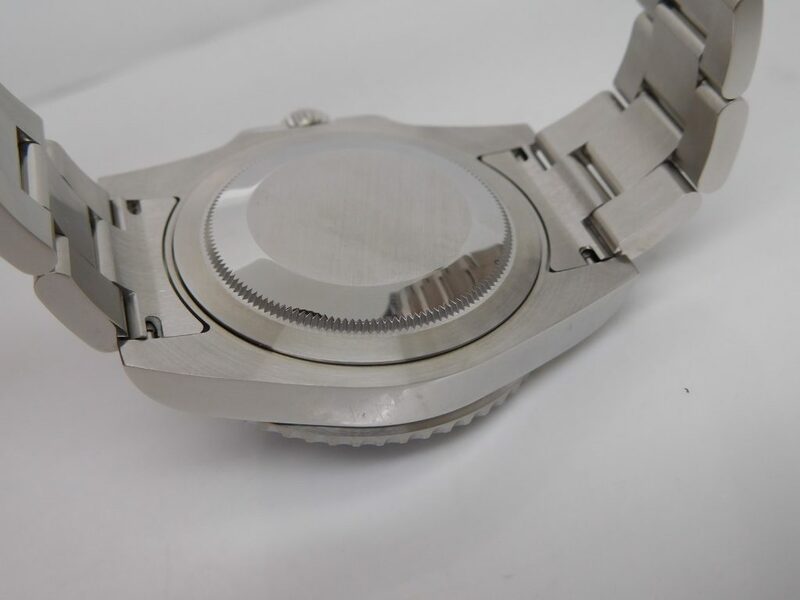 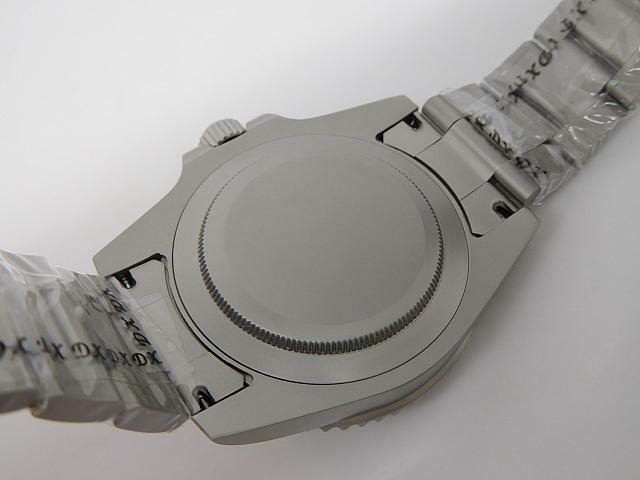 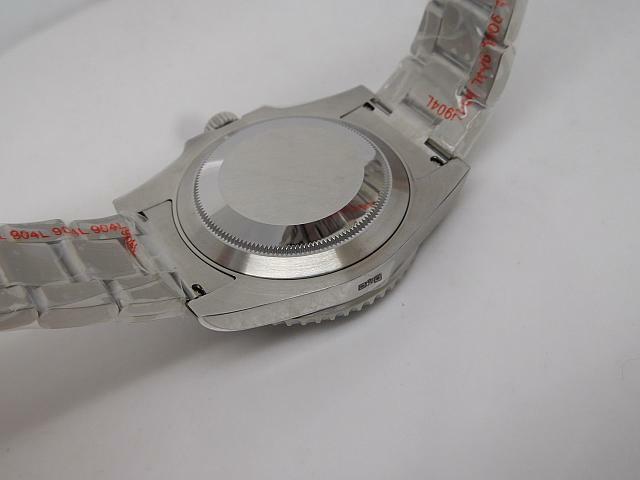 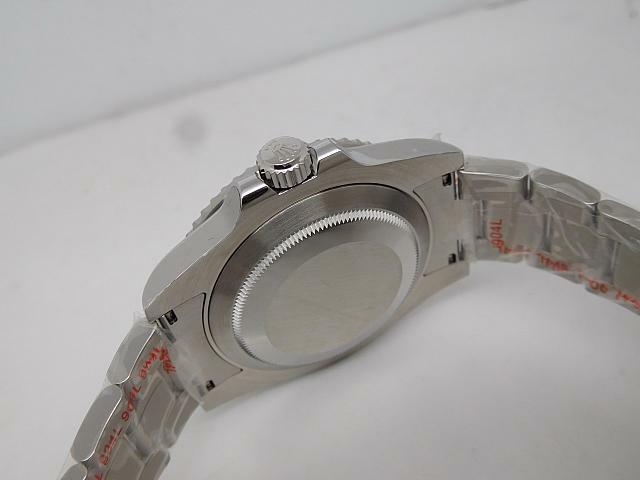 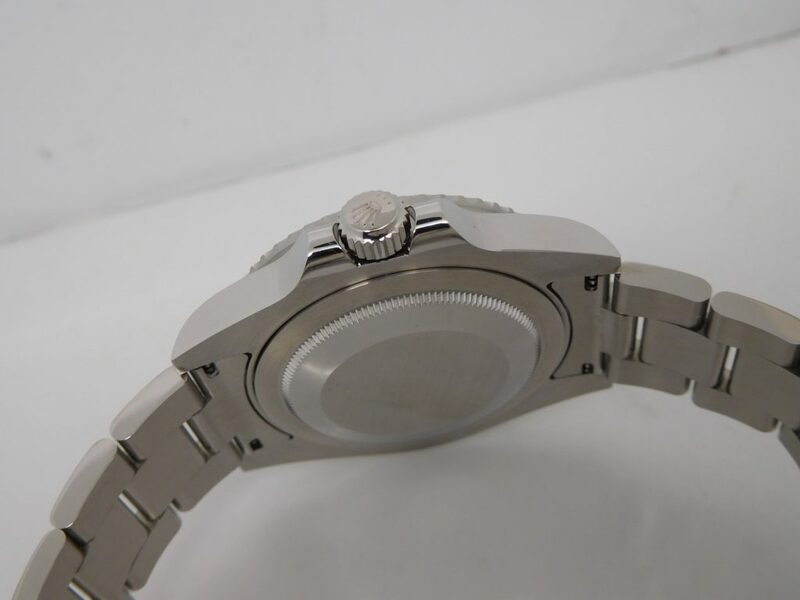 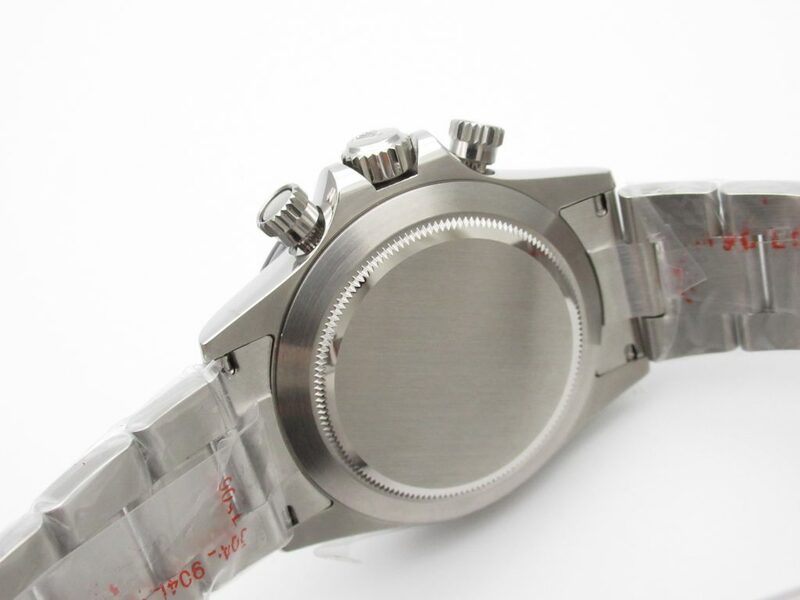 Behind the solid case back, there is a high quality movement inside, it is a super clone 3135. 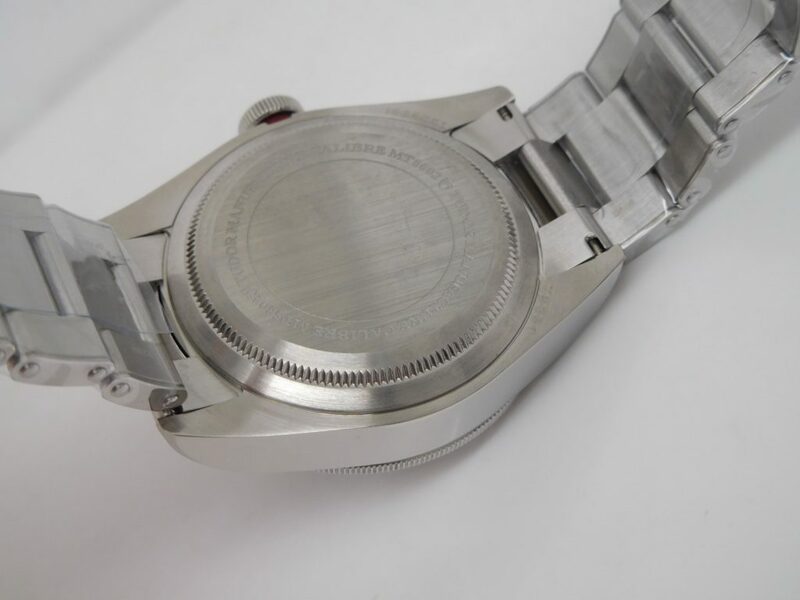 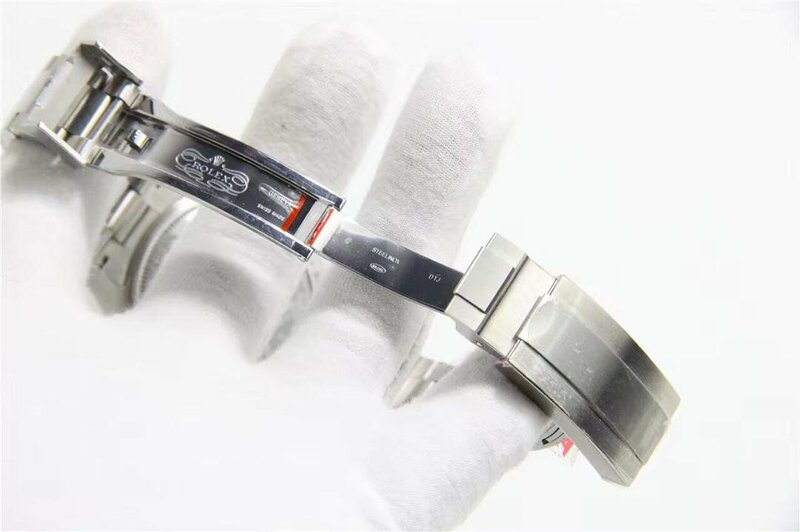 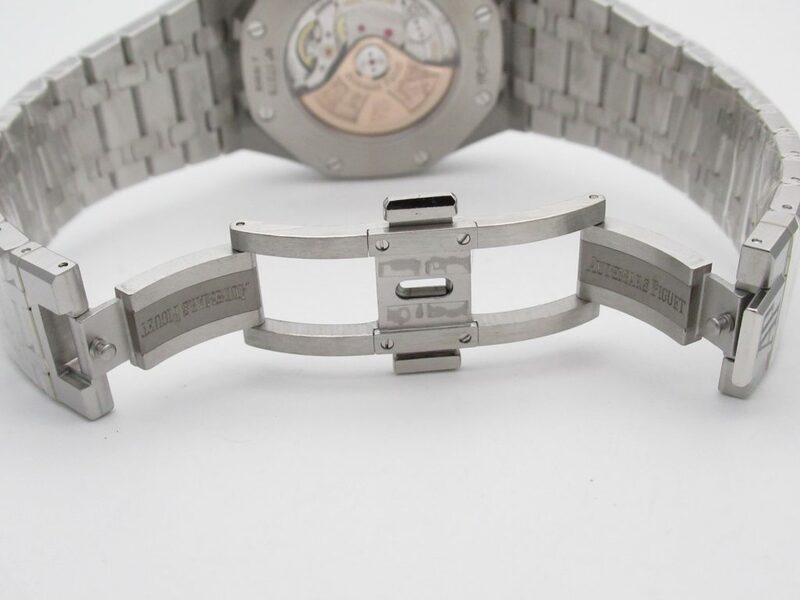 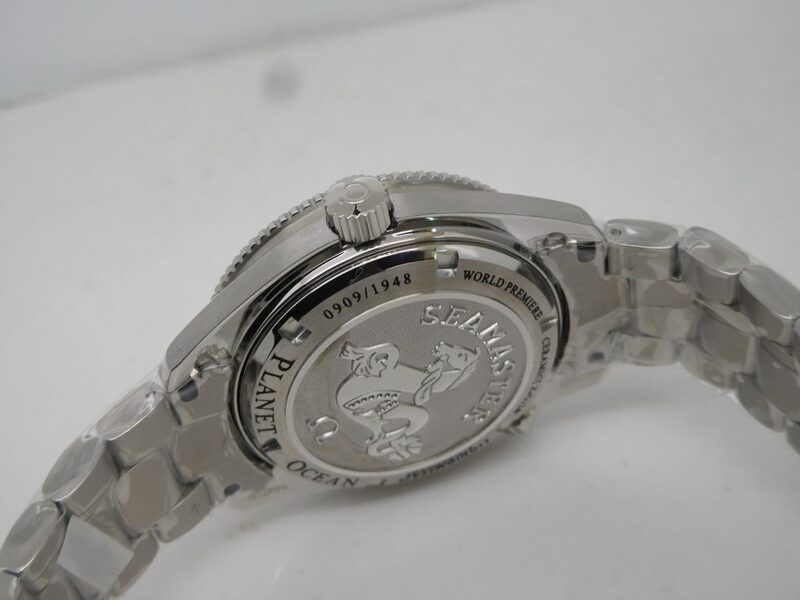 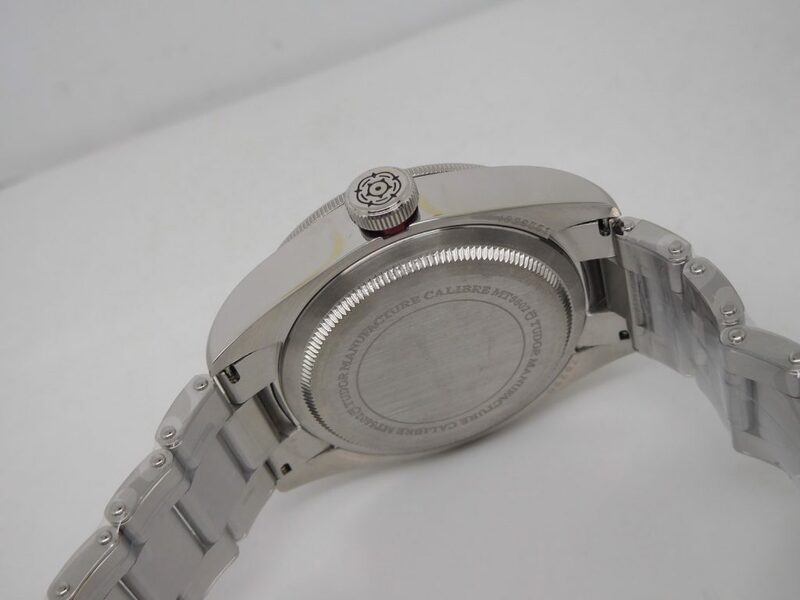 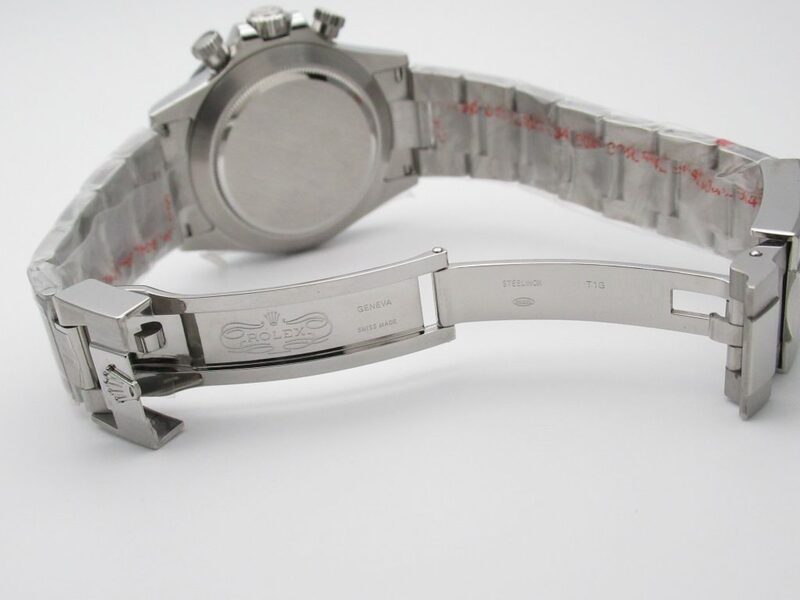 The movement has all necessary engravings on the plate, which looks the same as genuine Rolex 3135. 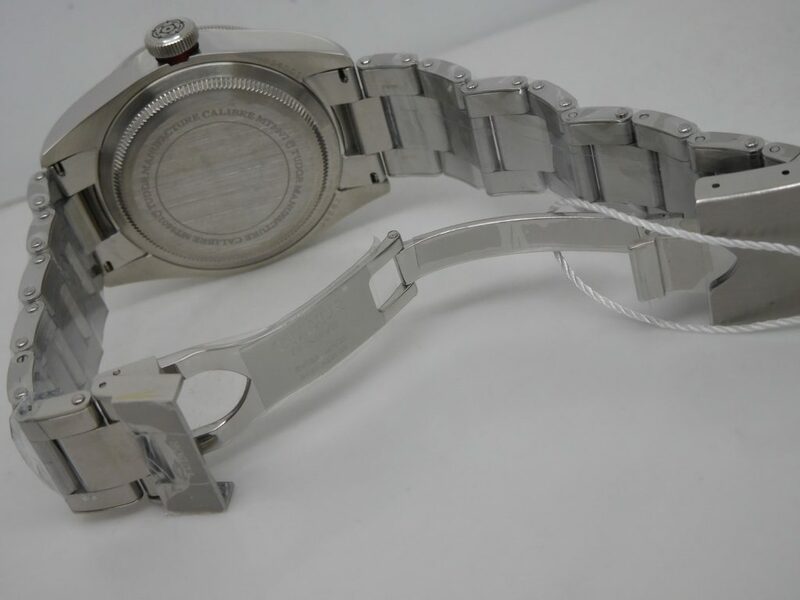 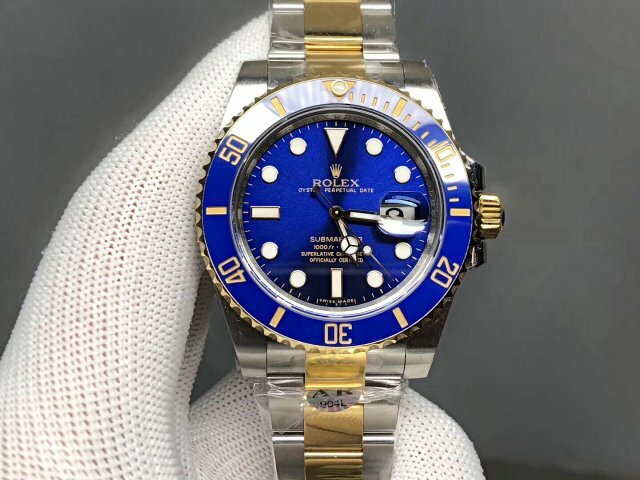 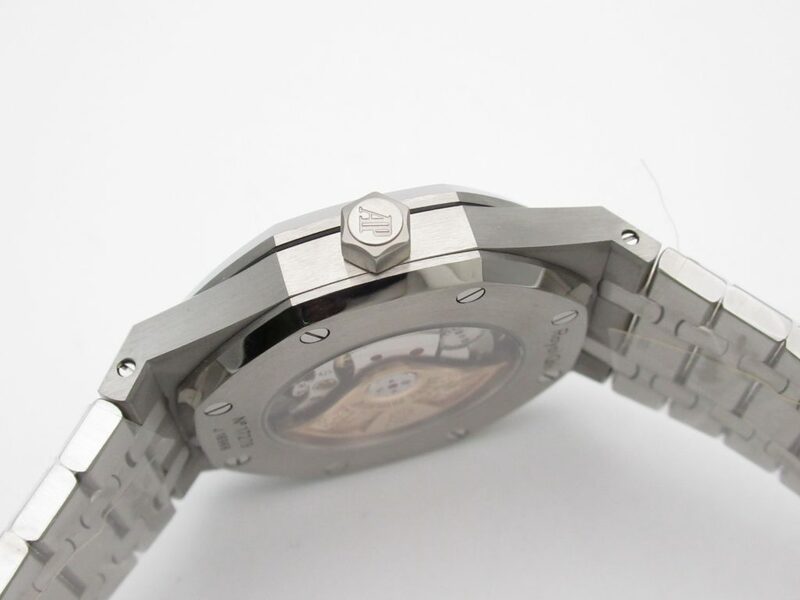 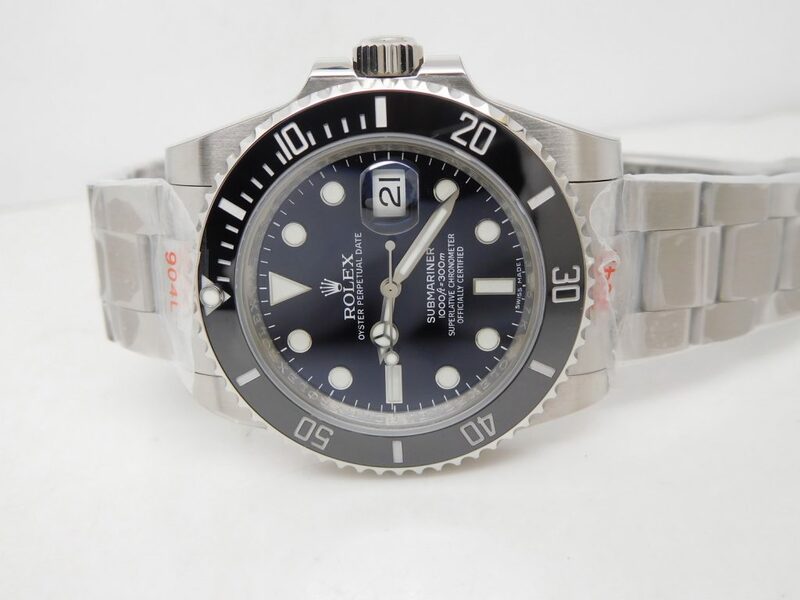 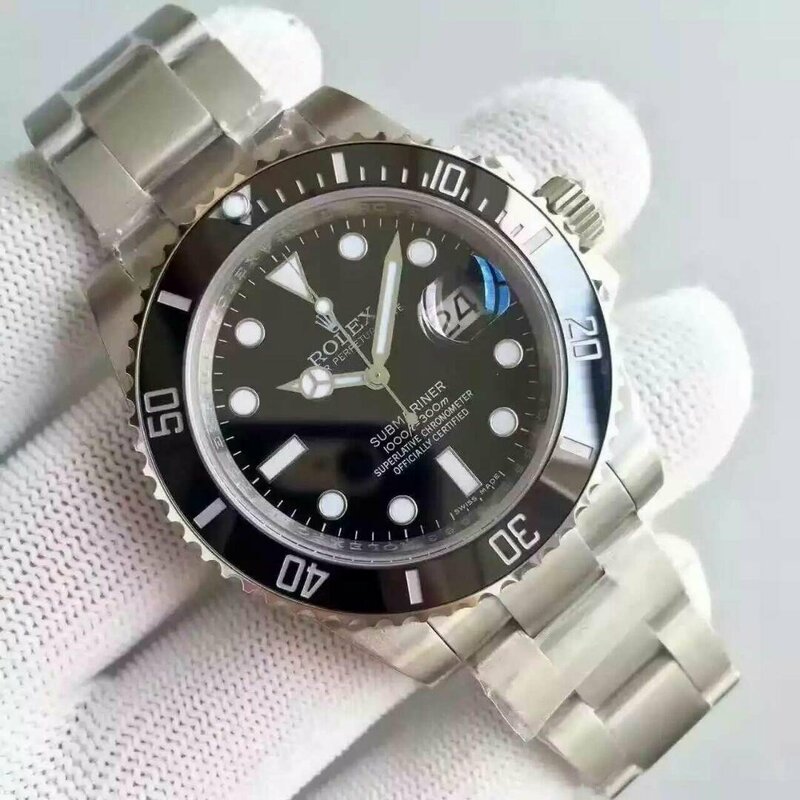 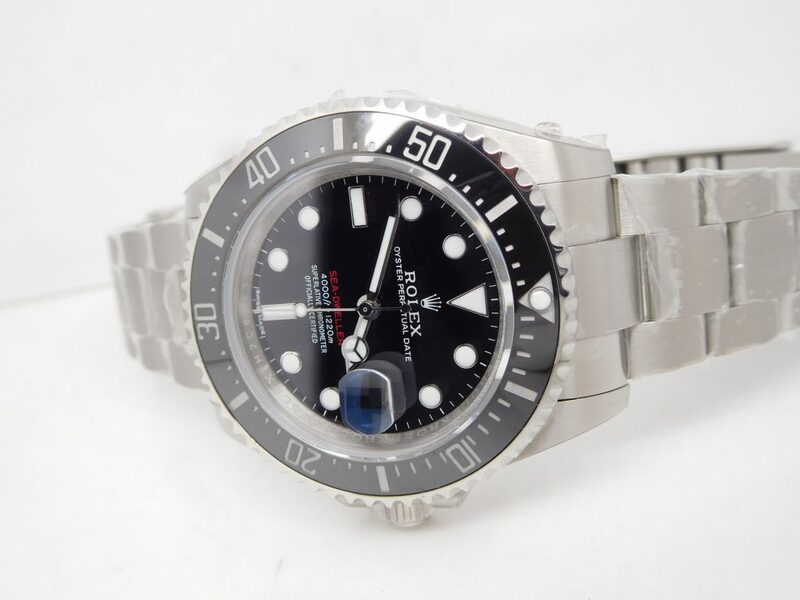 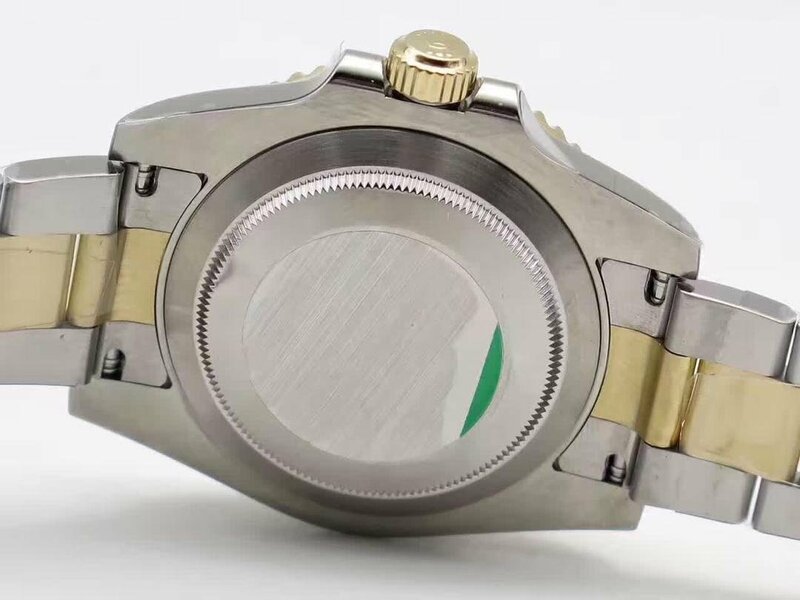 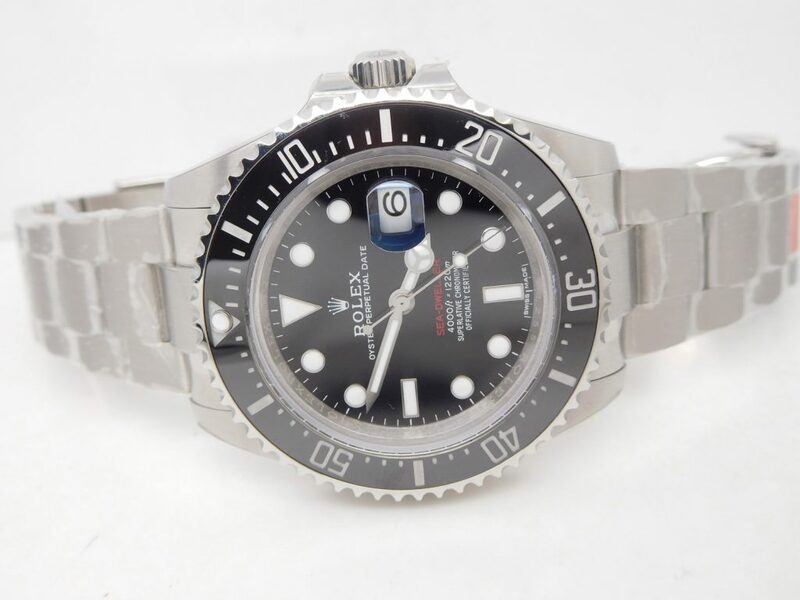 This movement has its own advantages and disadvantages, whatever, if you have ever owned a genuine Submariner watch, you will know its perfect winding feeling, which this fake Submariner will also give to you. 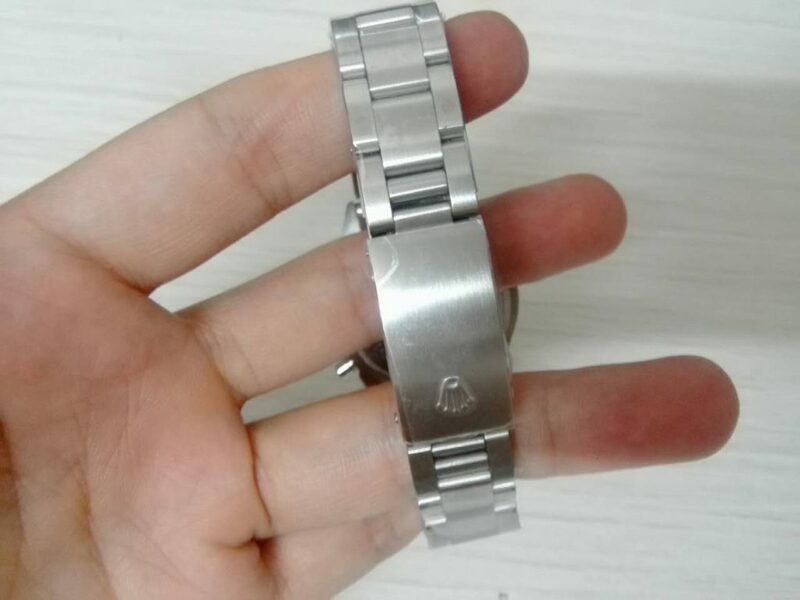 The specification of the watch. 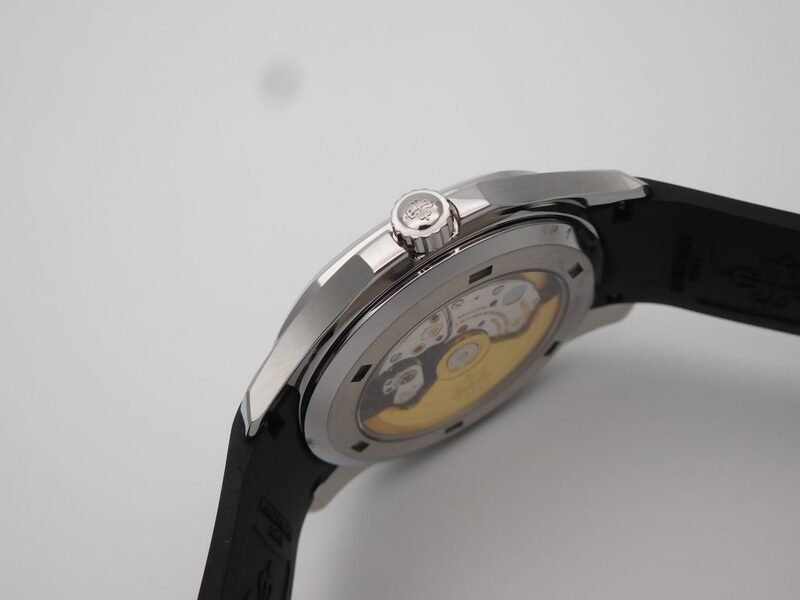 Two tone is the element that mostly represents the luxury of a watch. 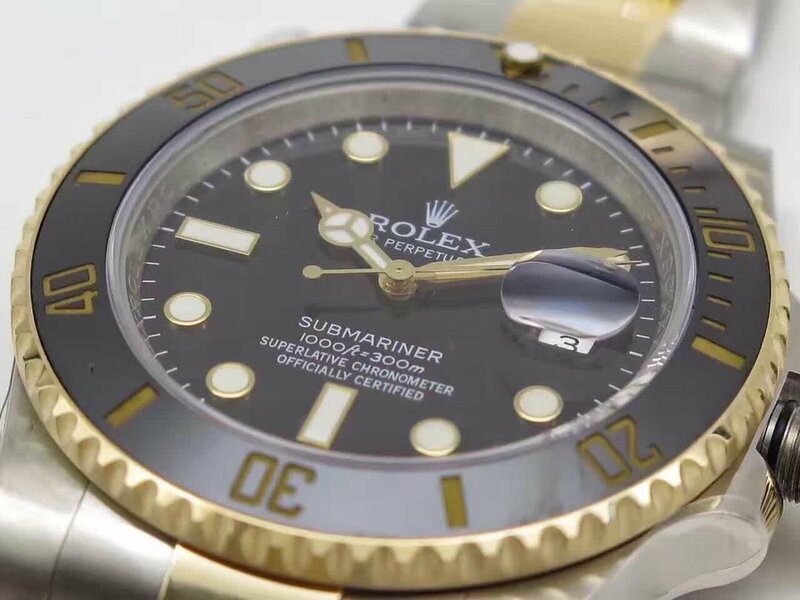 As a professional diver’s watch, Rolex is willing to uses gold and other precious metal on its Submariner series. 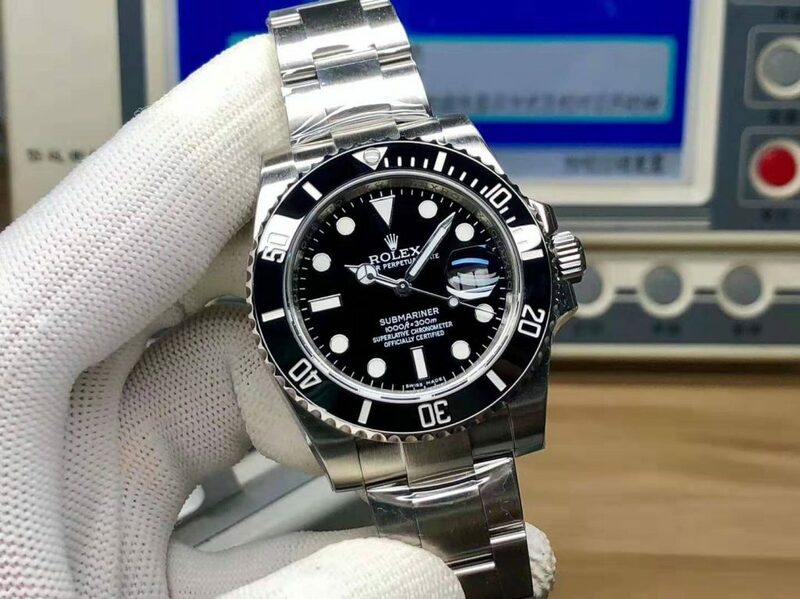 In 2017 Basel, Rolex published several new models, but I always think that those Submariner models they published before are the most classic ones, like 116610LN Black Submariner, 114060 No Date model, etc. 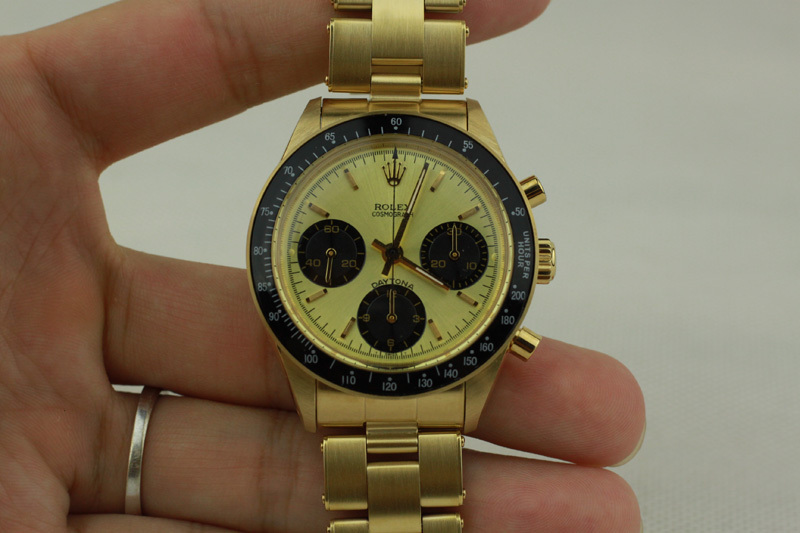 Today, the 116613 is for Rolex fans who love two tone style. 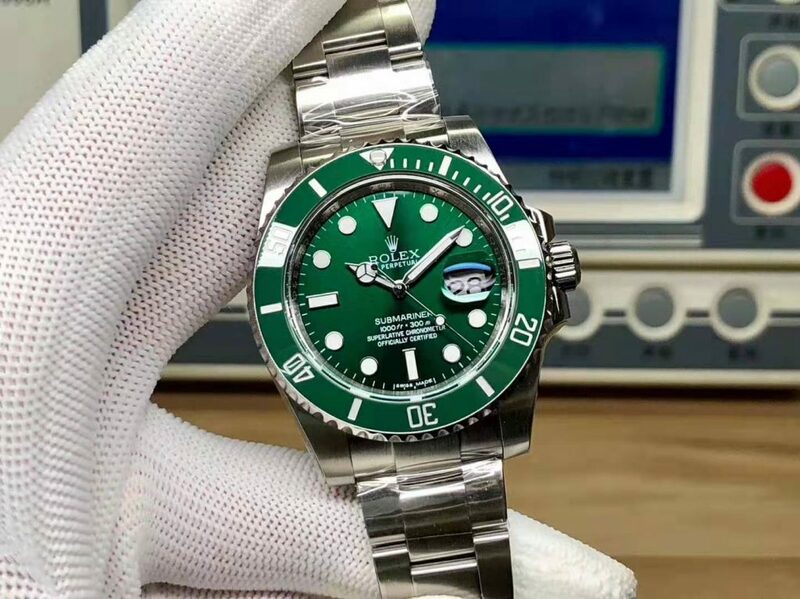 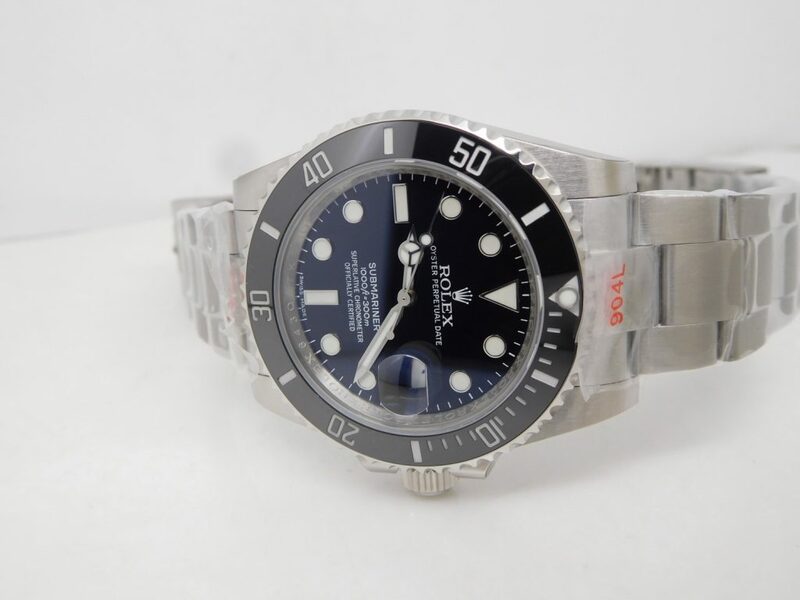 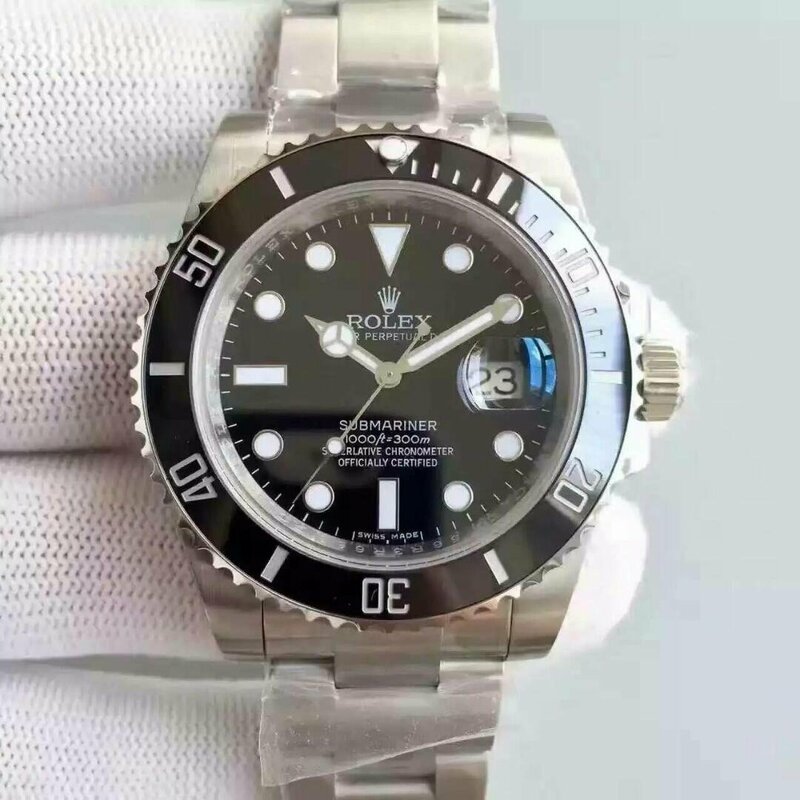 The replica Rolex Submariner 116613 is made by Noob factory, it is V7 version, absolutely the best one currently. 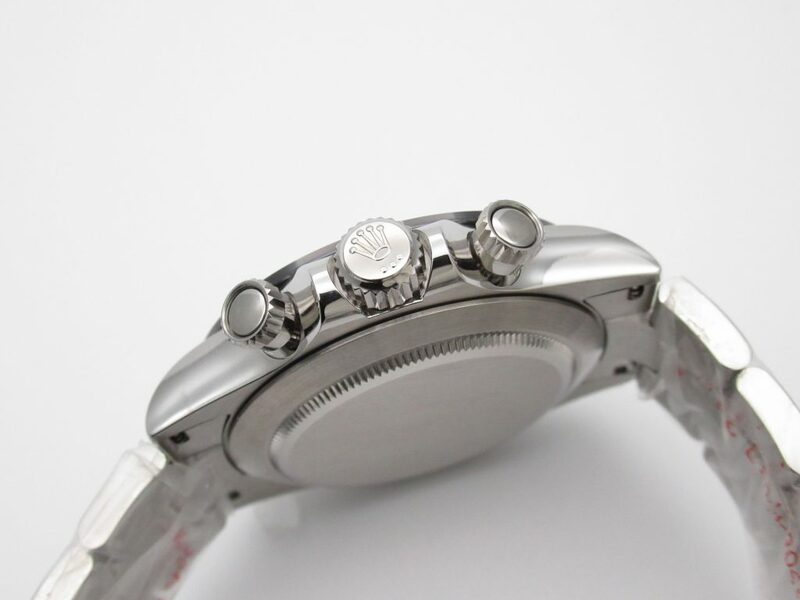 Every detail is replicated to be closer to genuine Submariner watch. 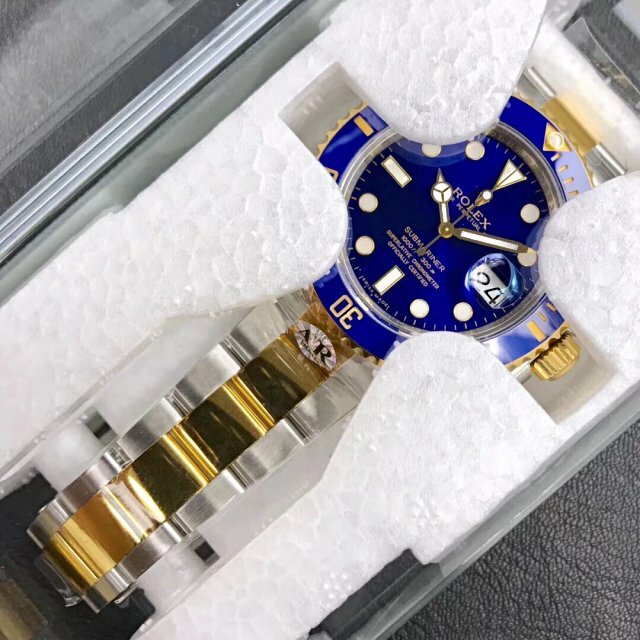 Especially the yellow gold coating on bezel and bracelet, it is 18K wrapped gold, not plated, so the gold coating will be more durable and not fade. 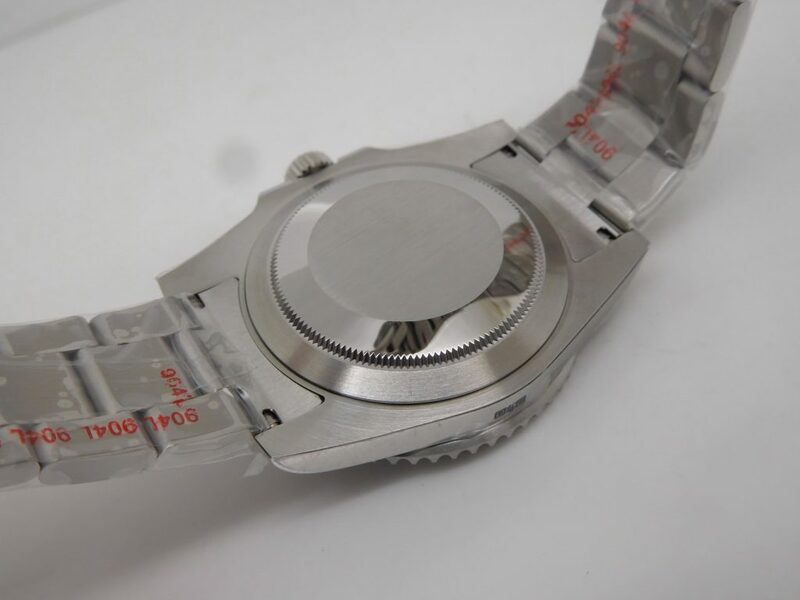 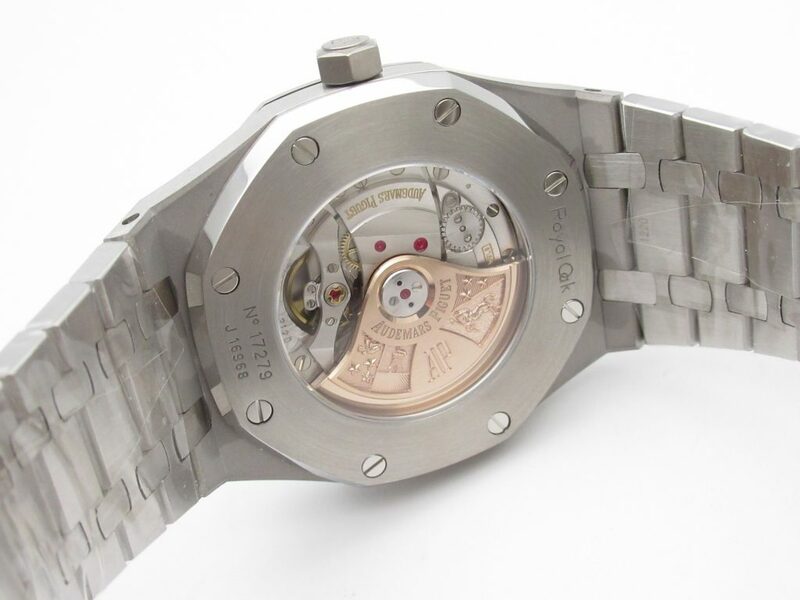 The case is measured to be 40mm in diameter, 13mm in thickness, which is the same as genuine. 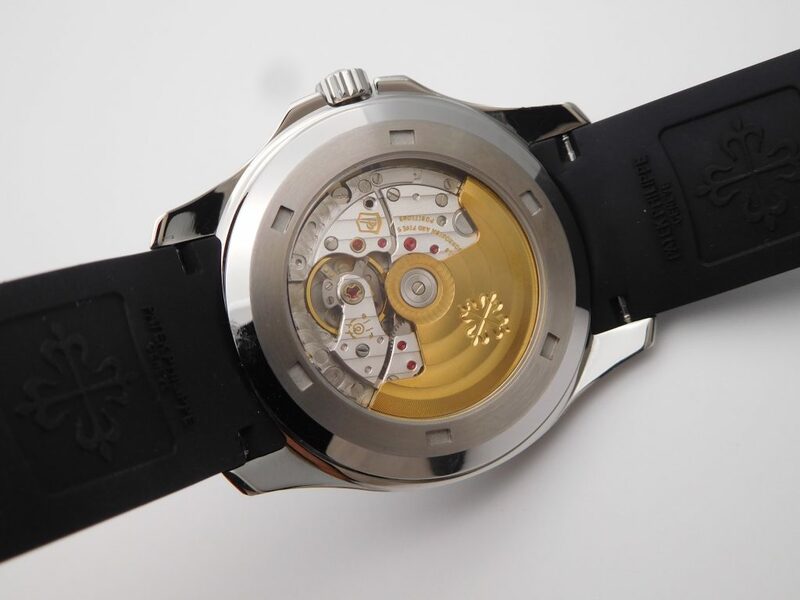 Case is brushed 316L stainless steel, while the bezel tooth and crown are 18K wrapped gold. 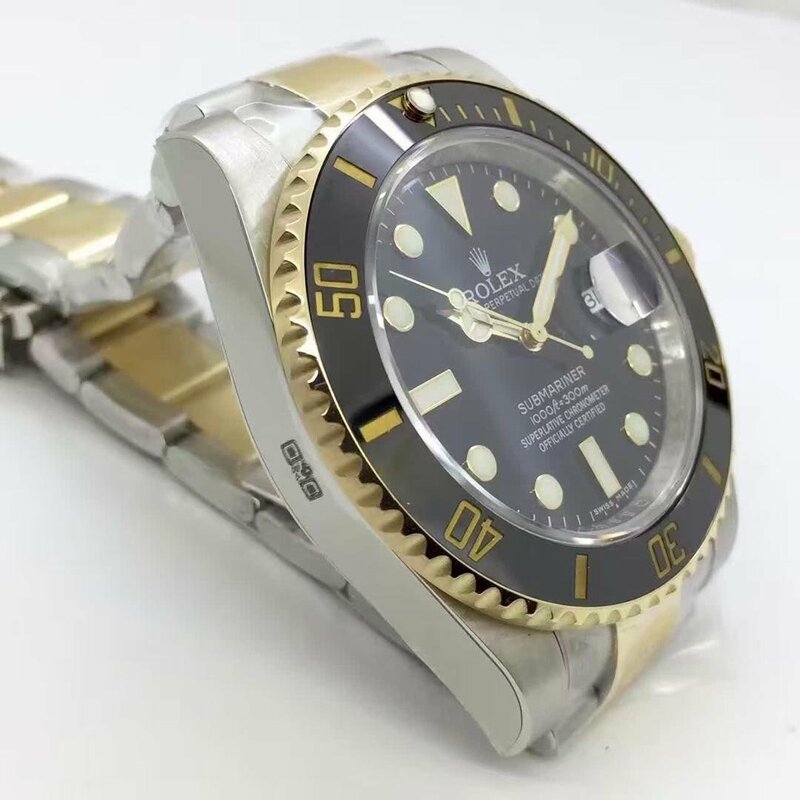 Black ceramic bezel insert features engraved yellow gold markers, the bezel is anti-clockwise rotating. 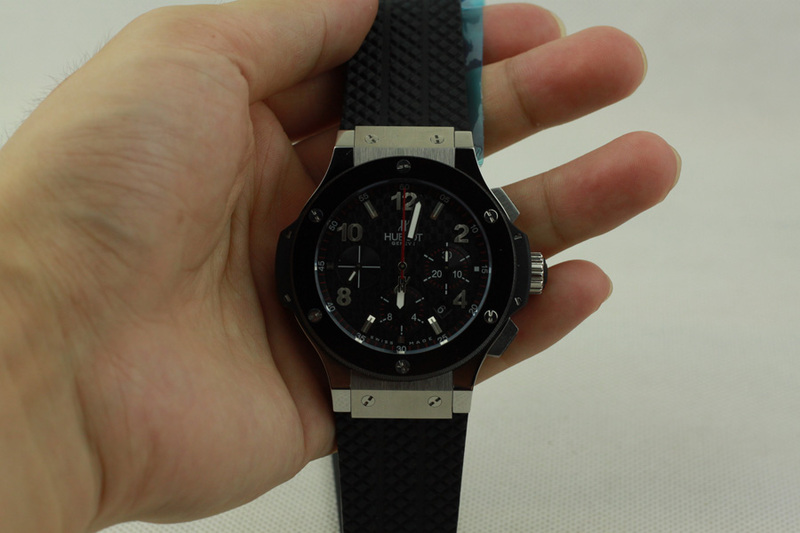 Real black ceramic is used to made the bezel insert, is is more scratch resistant than plastic. 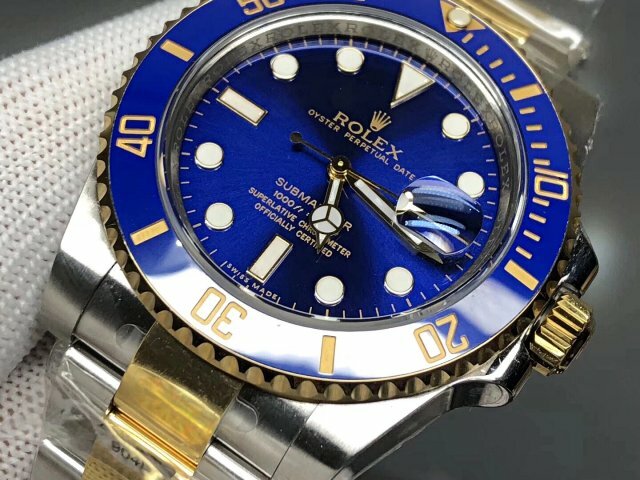 Black dial echoes with the black bezel, all hour markers feature yellow gold frame and are filled with white luminous material in the centre, plus hands, they will emit blue light in the dark. 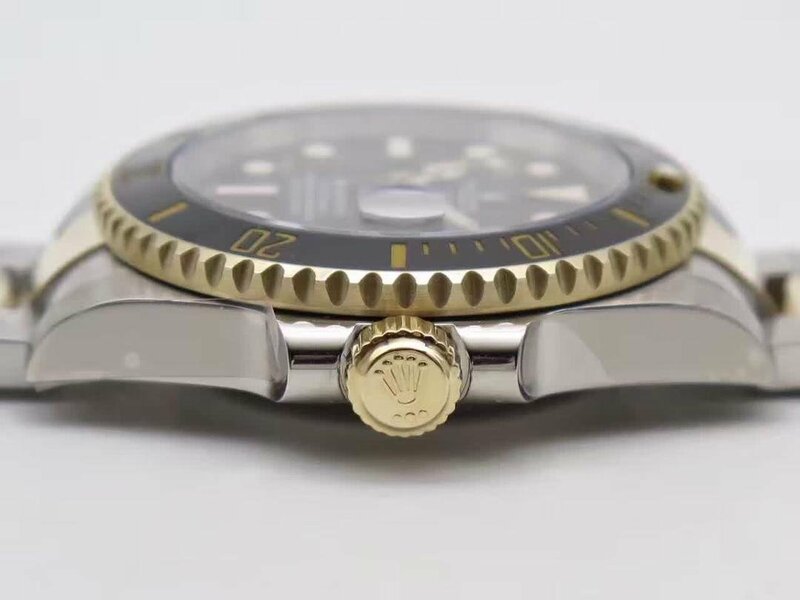 Like real Submariner, the innver bezel features correct ROLEX Rehaut. 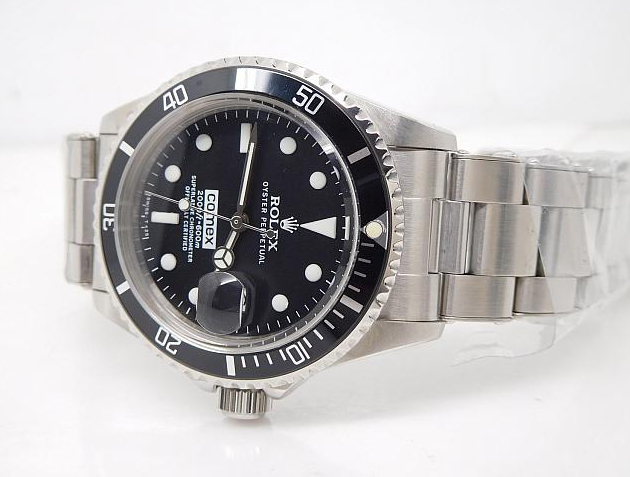 Just compared the dial lettering with real Submariner’s, there is no difference. 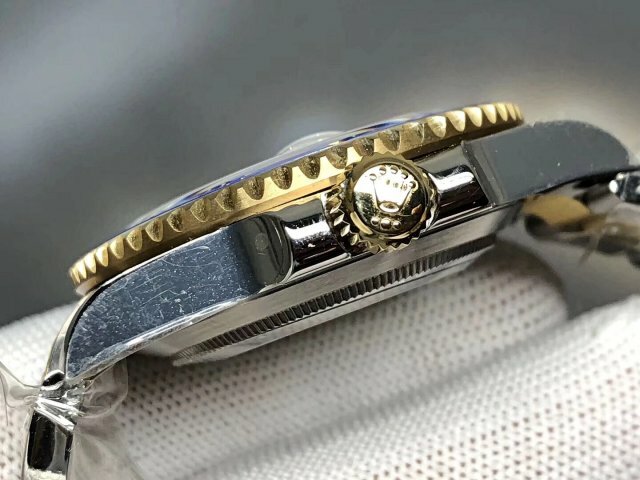 Two tone bracelet has yellow gold on middle links. 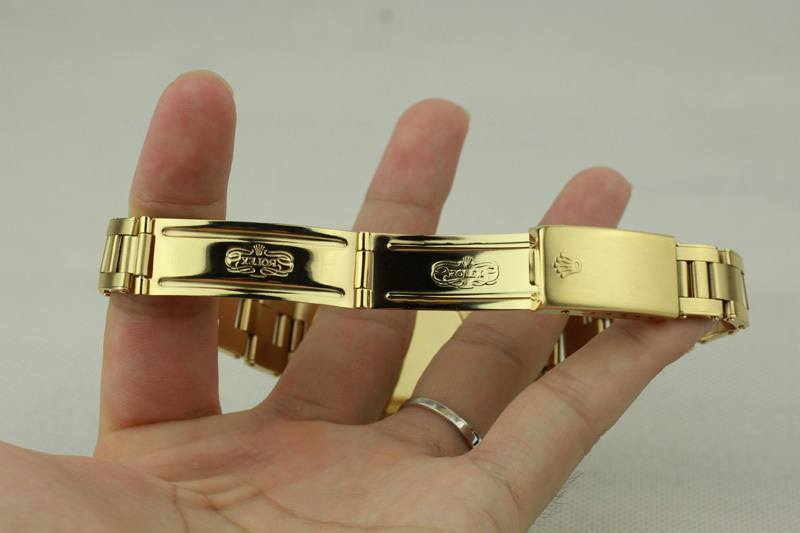 The brushing effect on bracelet gives you a high quality texture feeling. 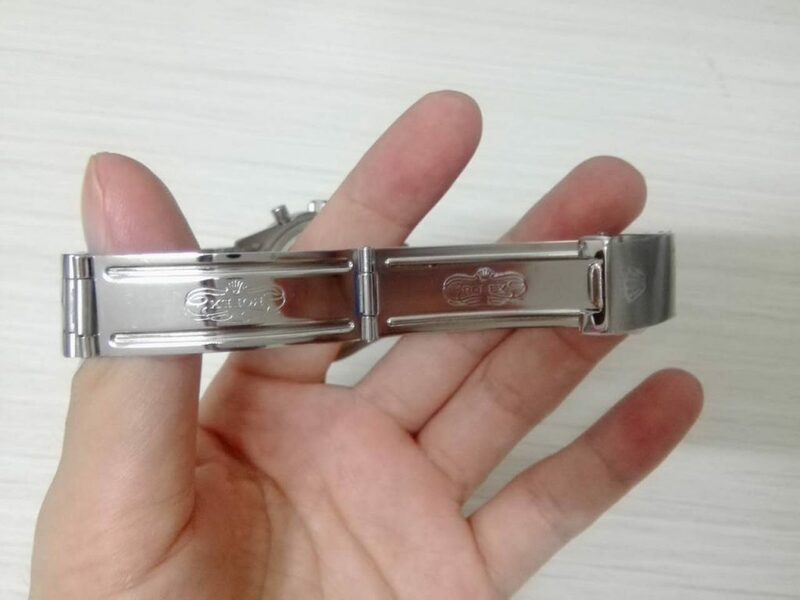 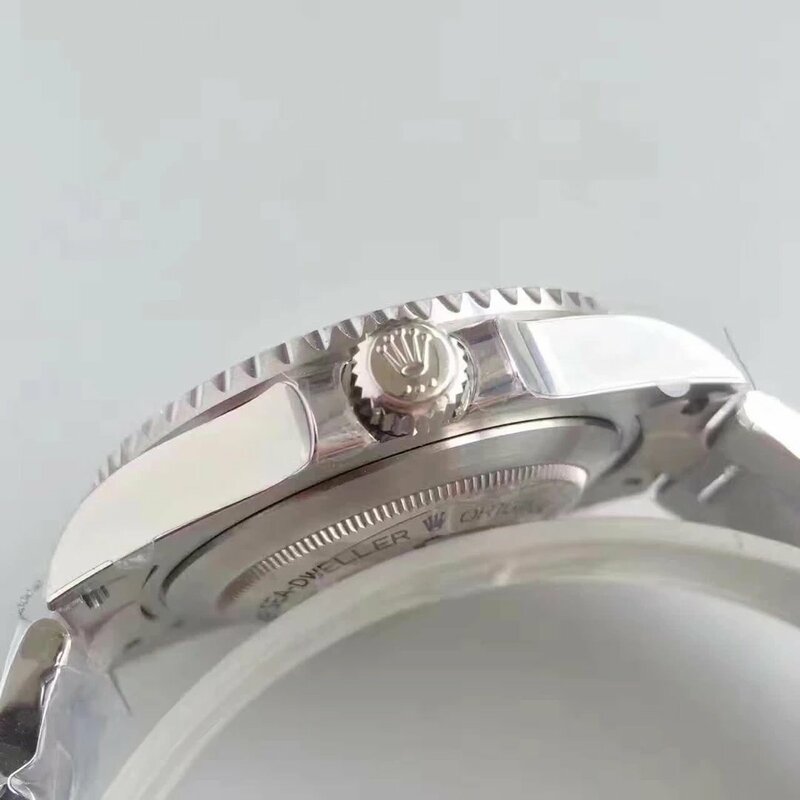 I have one thing to tell you here, it is about the clasp, check carefully, new Submariners from Rolex all have silver clasp engravings, not black on previous Submariner watches. 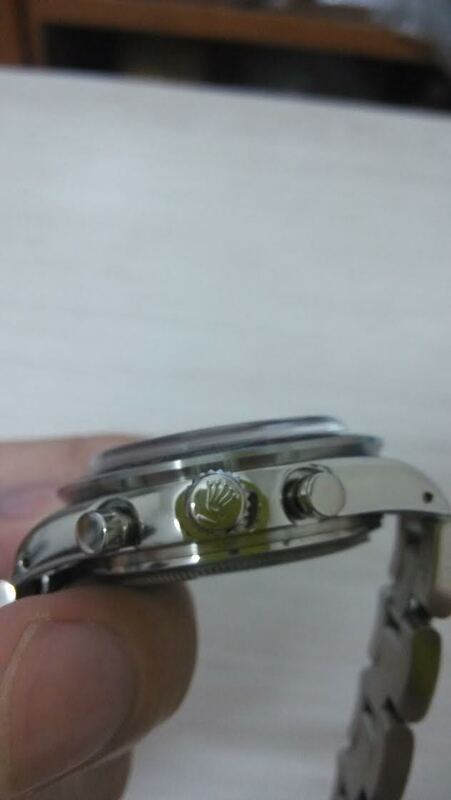 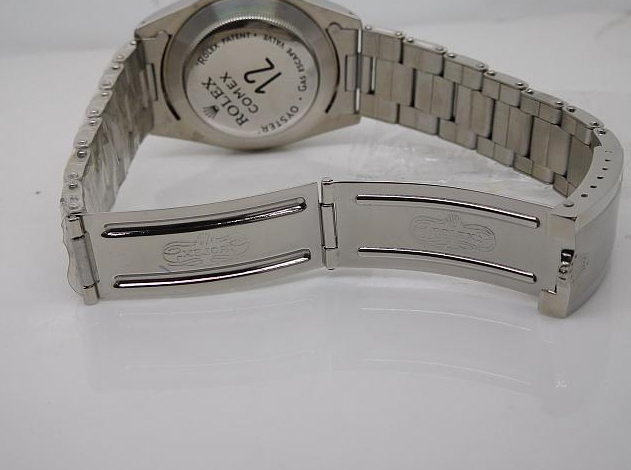 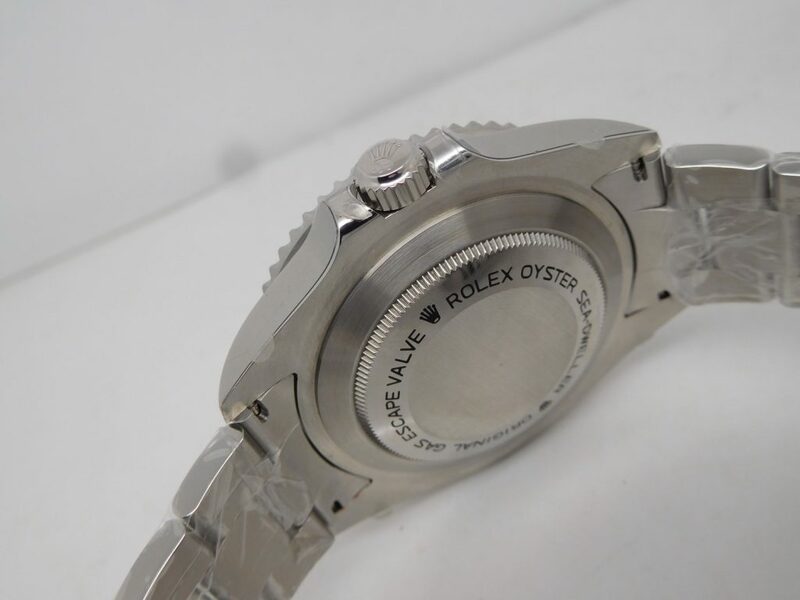 So, see photos below, the clasp engravings on this Rolex Submariner 116613 replica is correct in color. 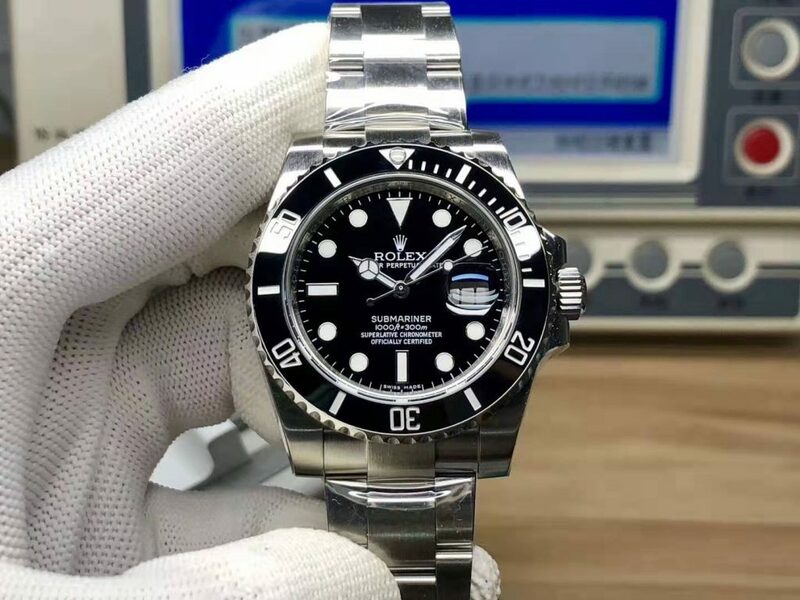 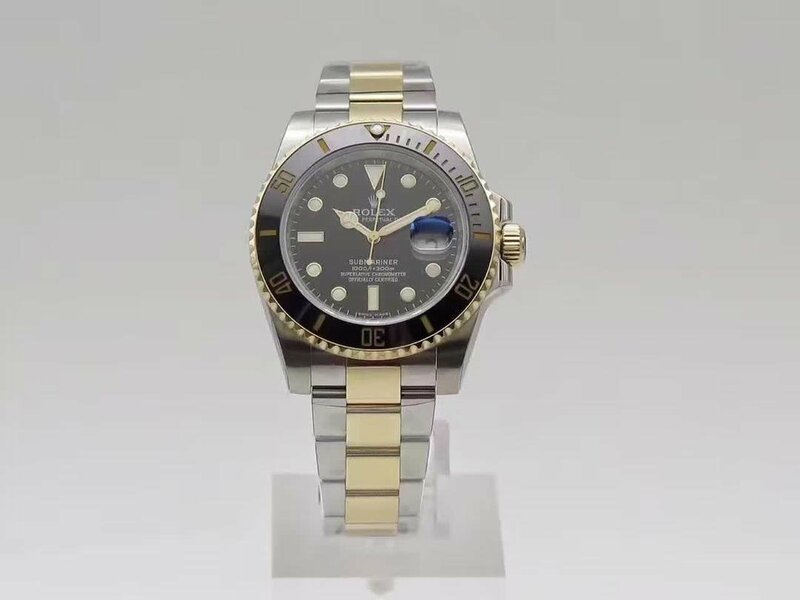 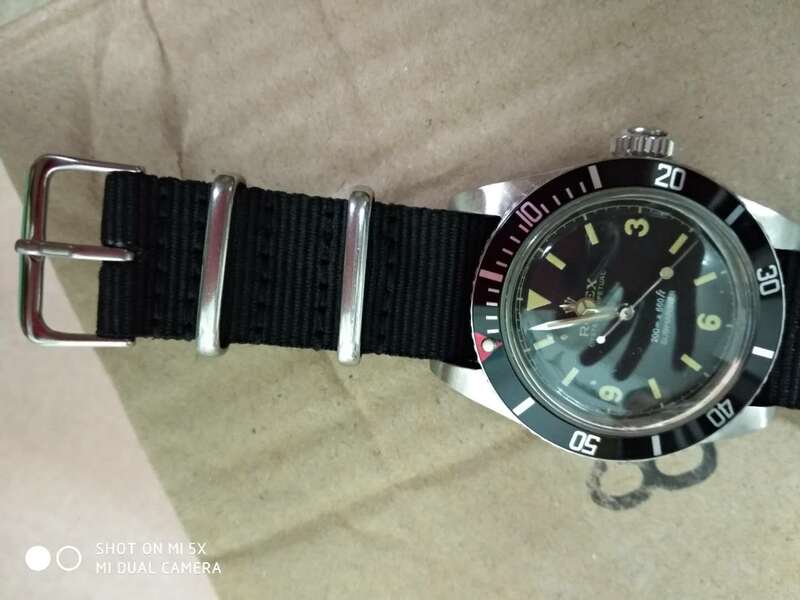 Congrats Noob factory finally makes the right Submariners replicas, and we are also very lucky to own such a high quality replica Rolex. 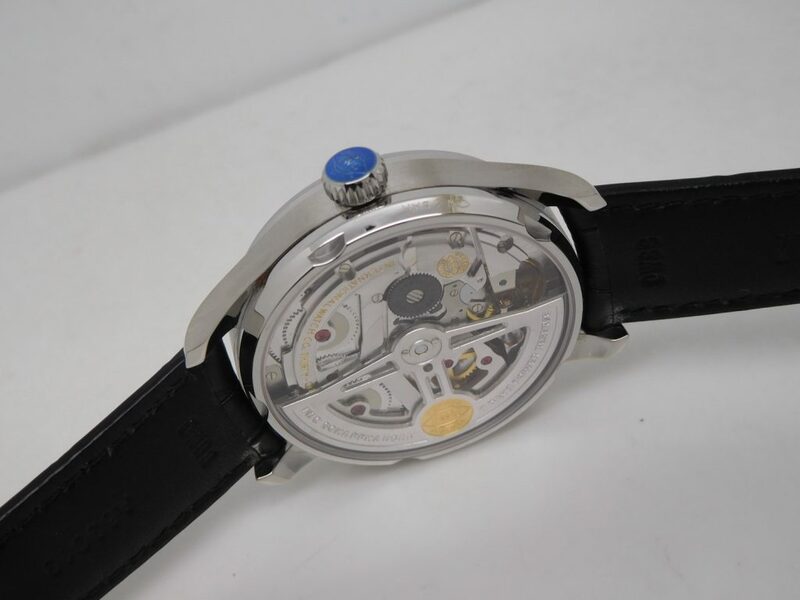 By the way, the replica is equipped with a real Swiss ETA 2836 movement, not clone. 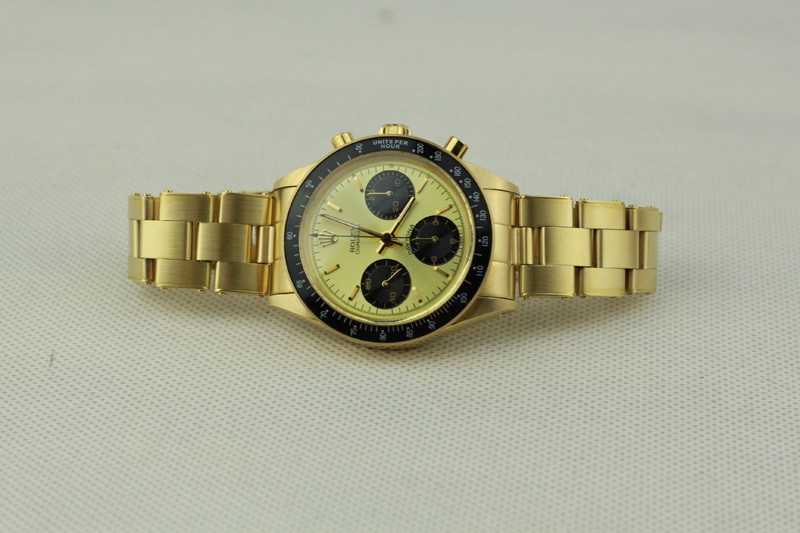 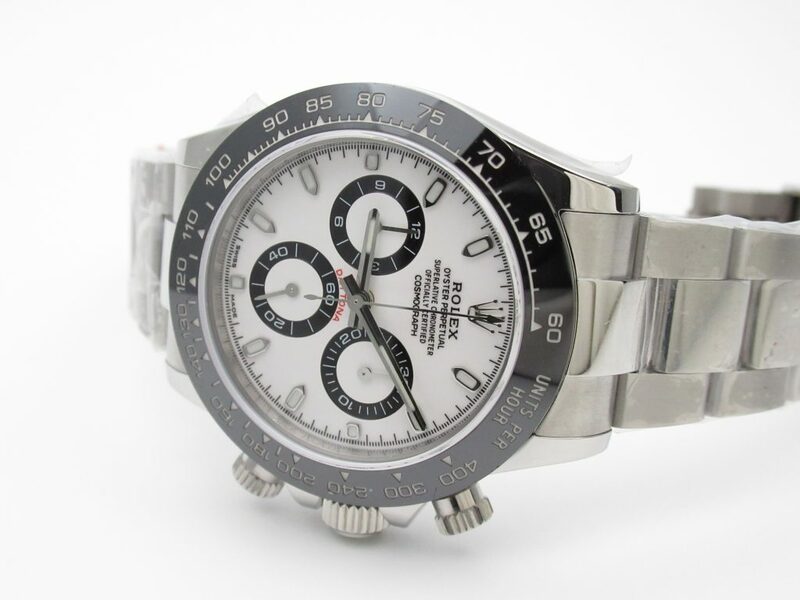 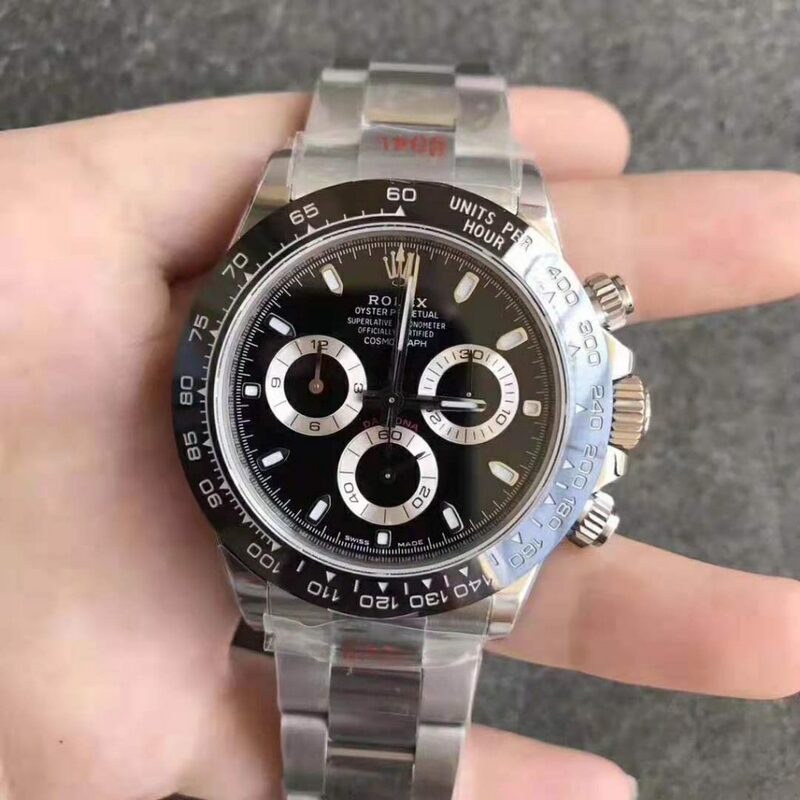 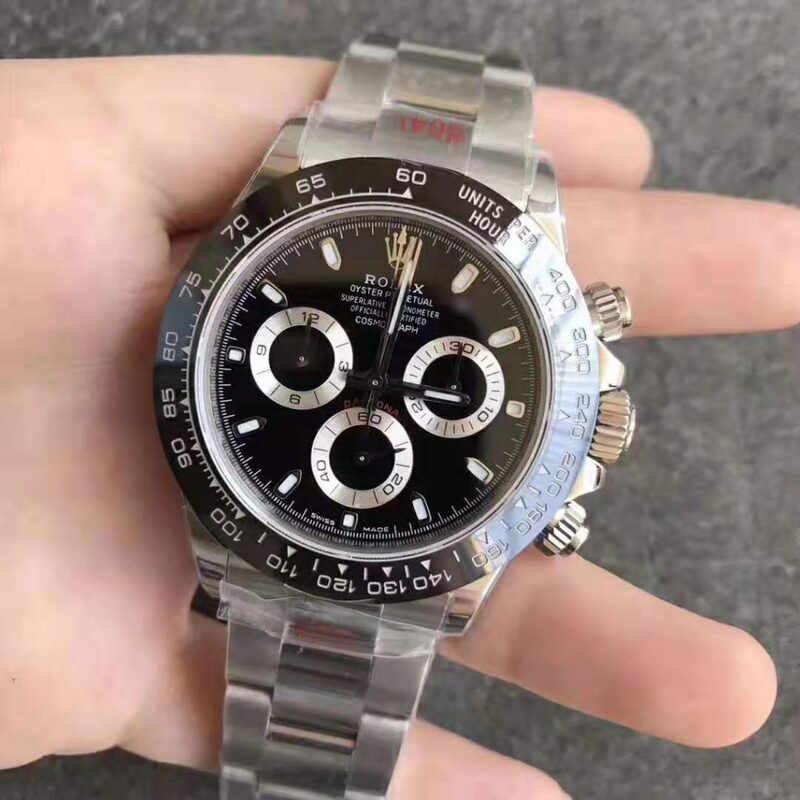 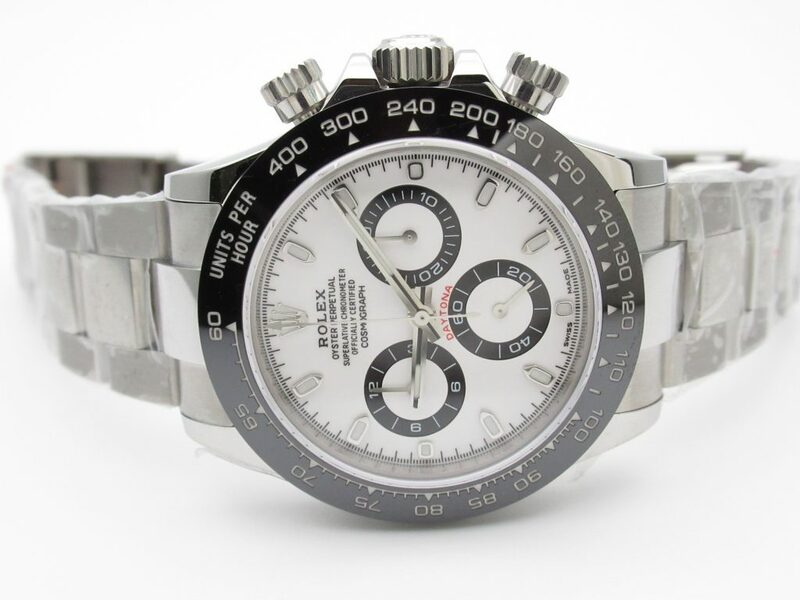 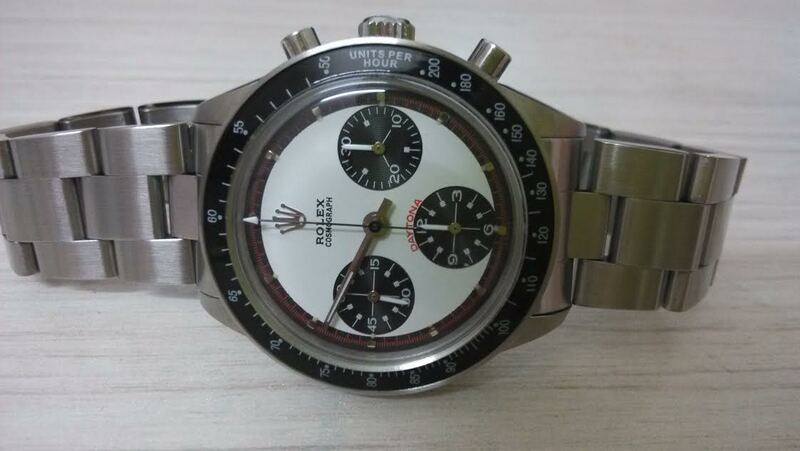 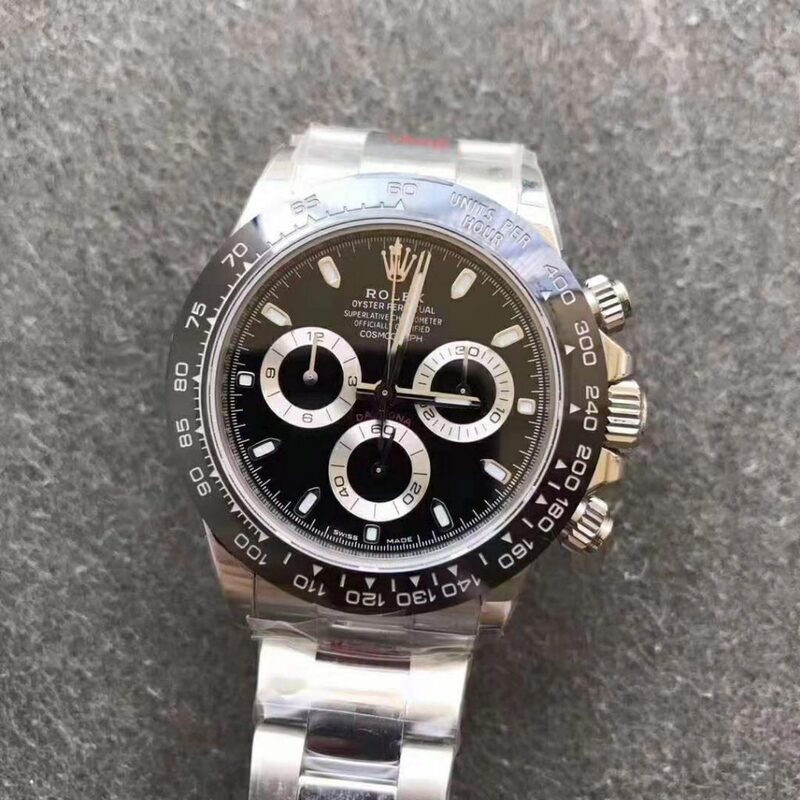 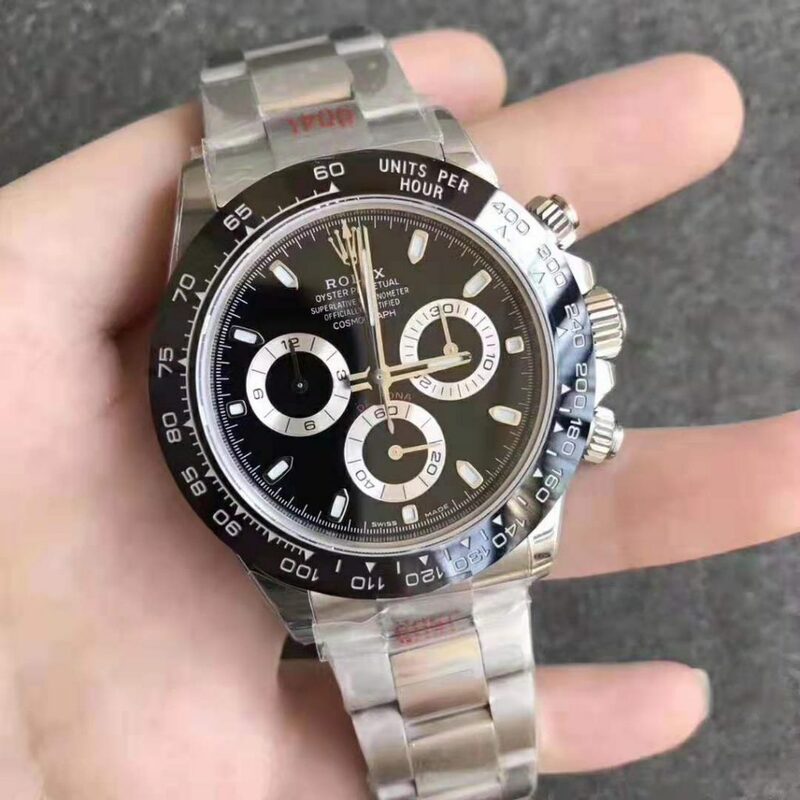 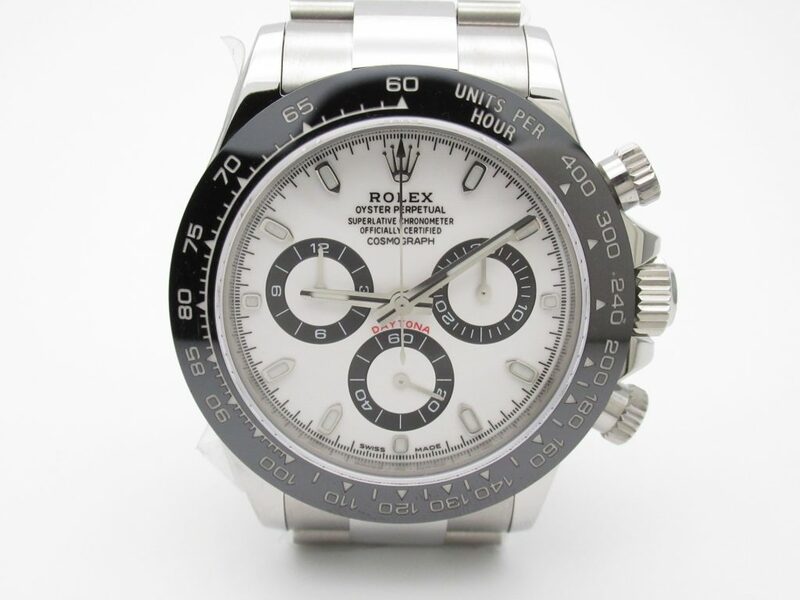 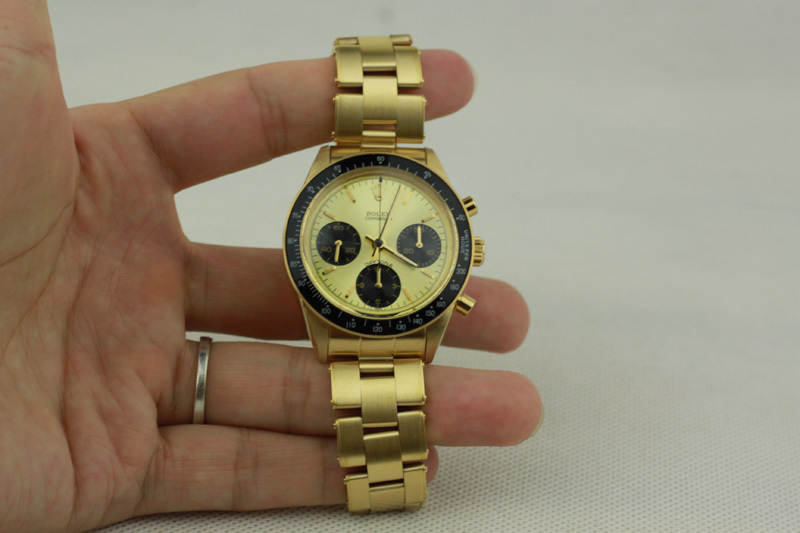 Now, everyone who bought Rolex Daytona Paul Newman watch from me before knows JK factory, it mainly produces replica watches of vintage Rolex and Panerai, but sometimes this factory also makes special watches like Pro Hunter, Bamford Submariners, etc. 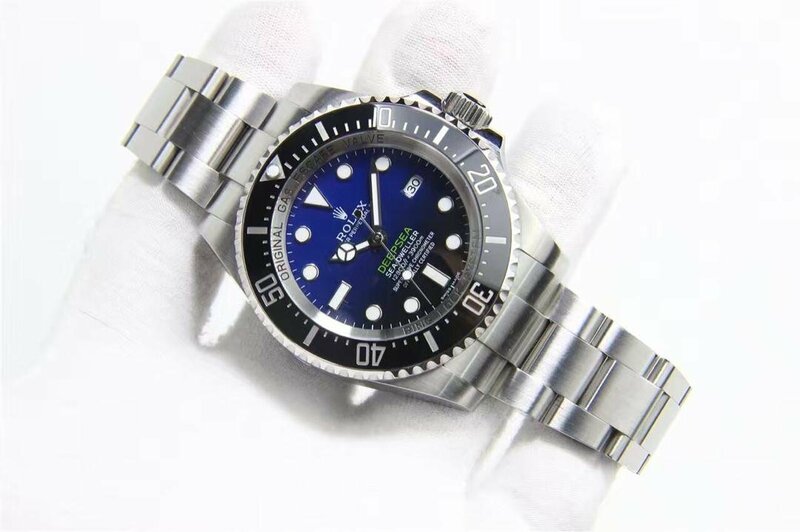 Take this Bamford Commando Rolex Submariner for example, genuine model is specially designed by Bamford company, it uses Submariner name, but has its own features. 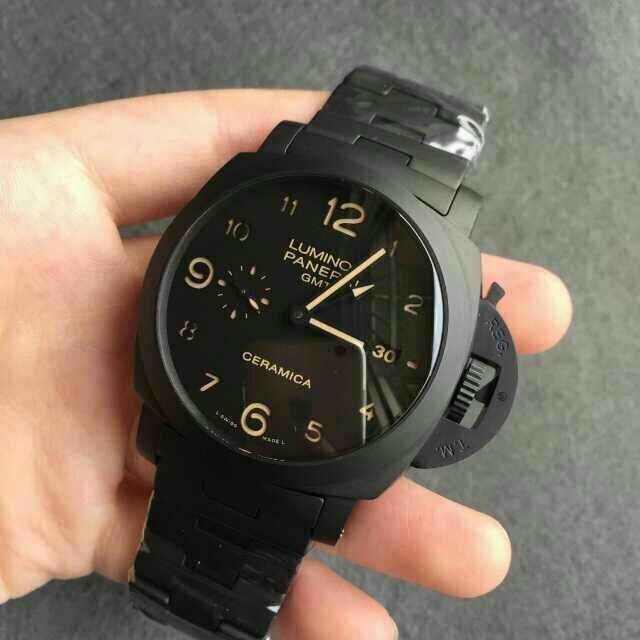 I like the style, it is military black, looks very tough, and the name “COMMANDO”, it exactly describes the tough style of the replica watch. 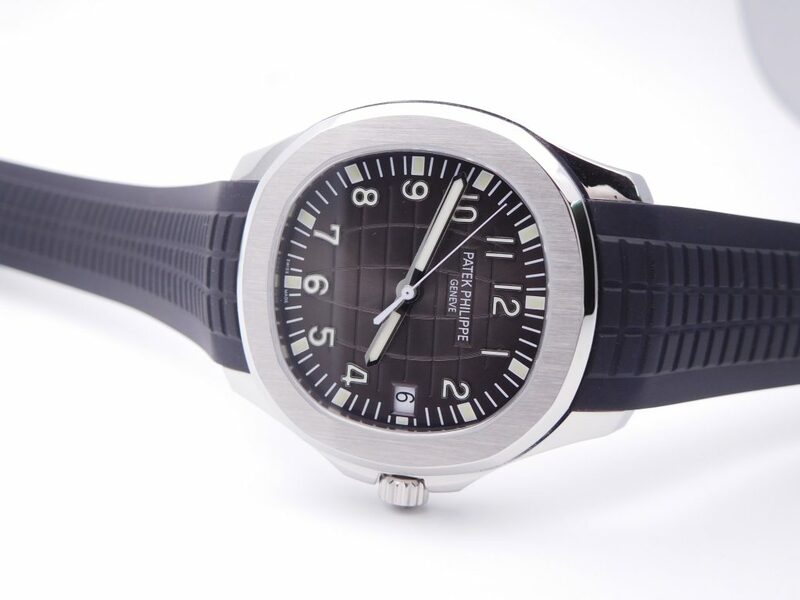 The genuine watch claims 300m water resistance, while the replica has been tested by factory to be 30m waterproof. 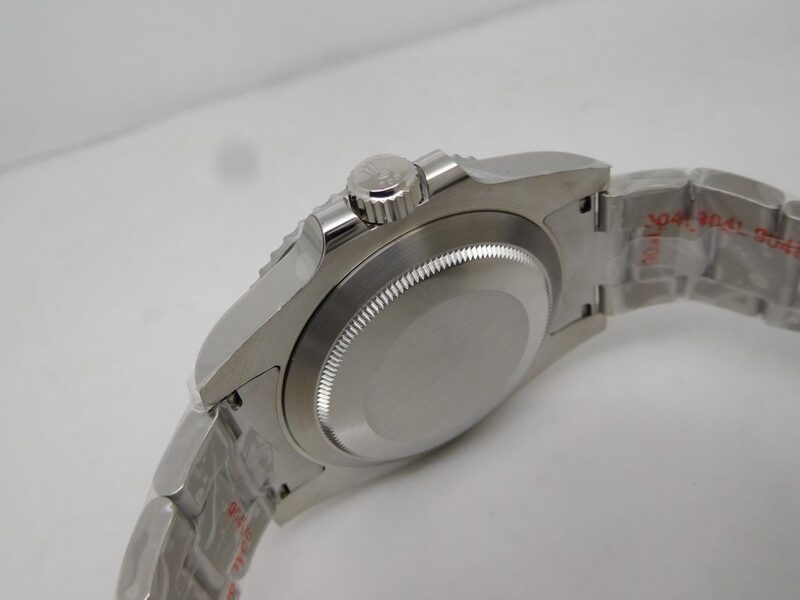 The case is brushed stainless steel, measured to be 40mm in case diameter, absolutely not including the crown. 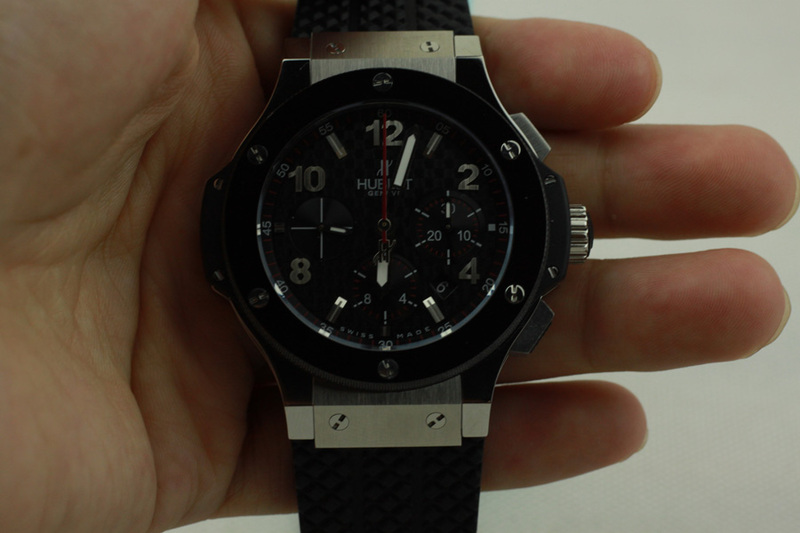 The case thickness is 13mm, black ceramic bezel insert with a red triangle at 12 o’clock. 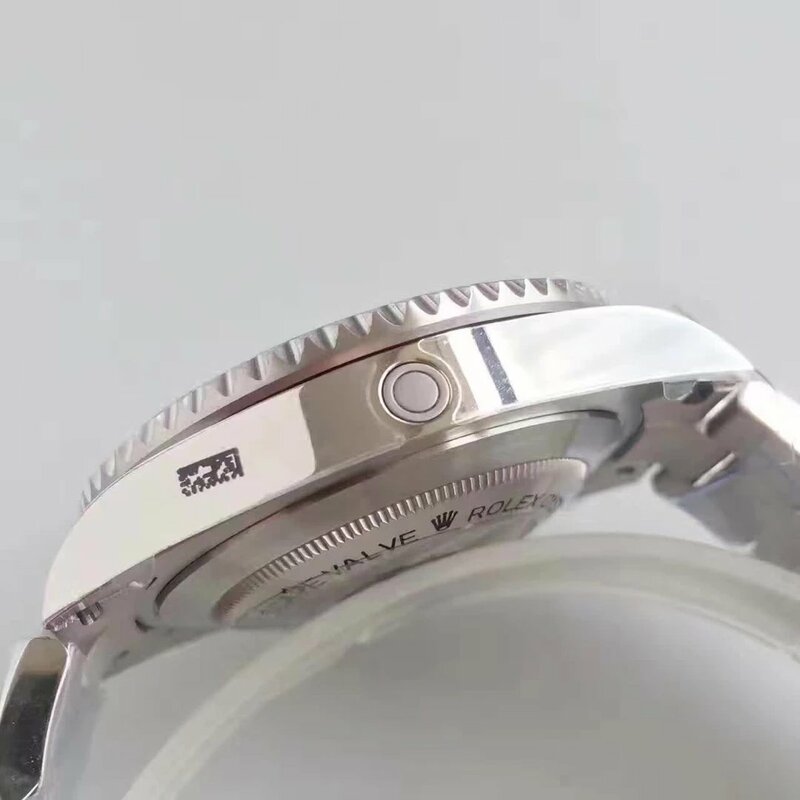 The bezel is diving style and uni-directional. 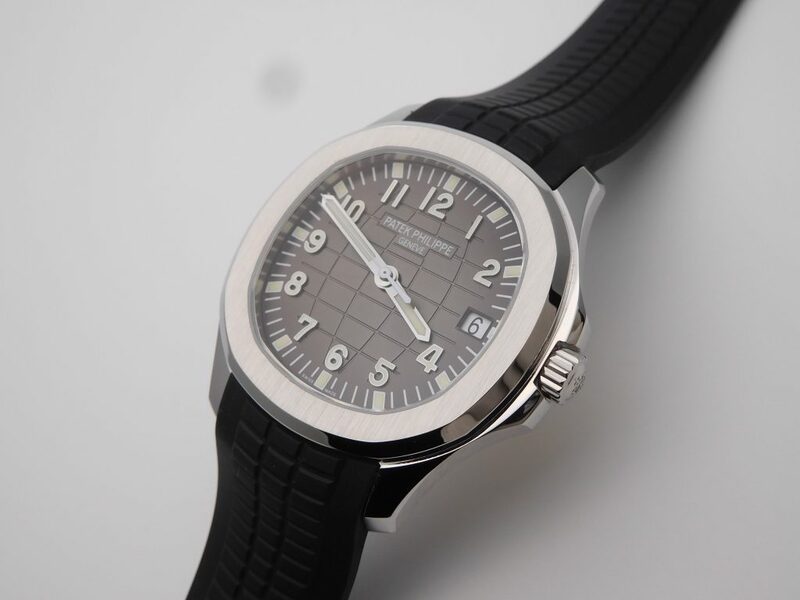 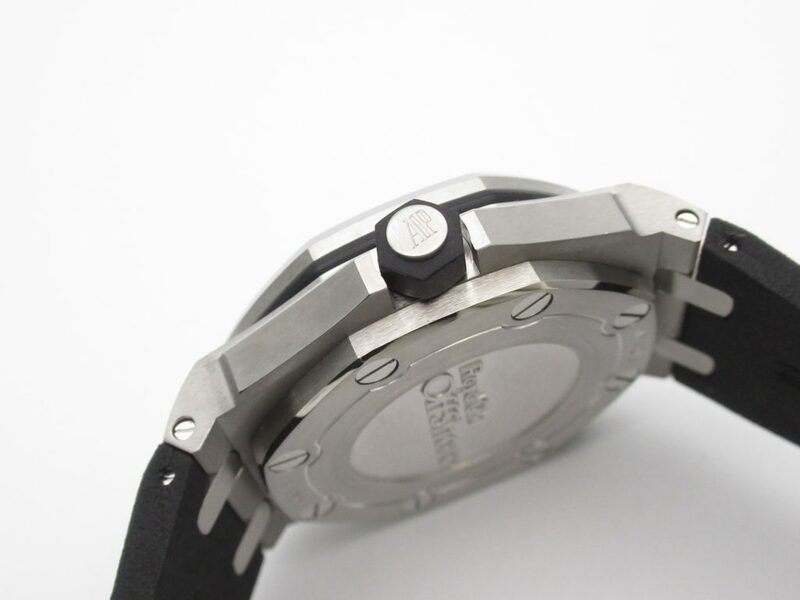 Black diving scales on bezel form a high contrast with the white hour markers. 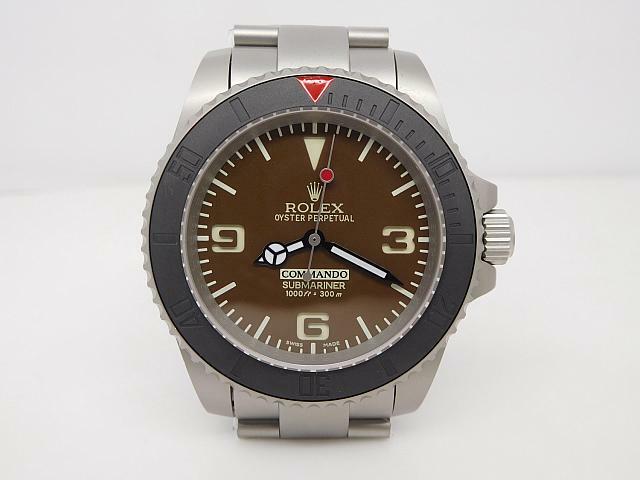 Brown dial has some iconic features belonged to Submariner, such as the bezel-style hour and minute hands. 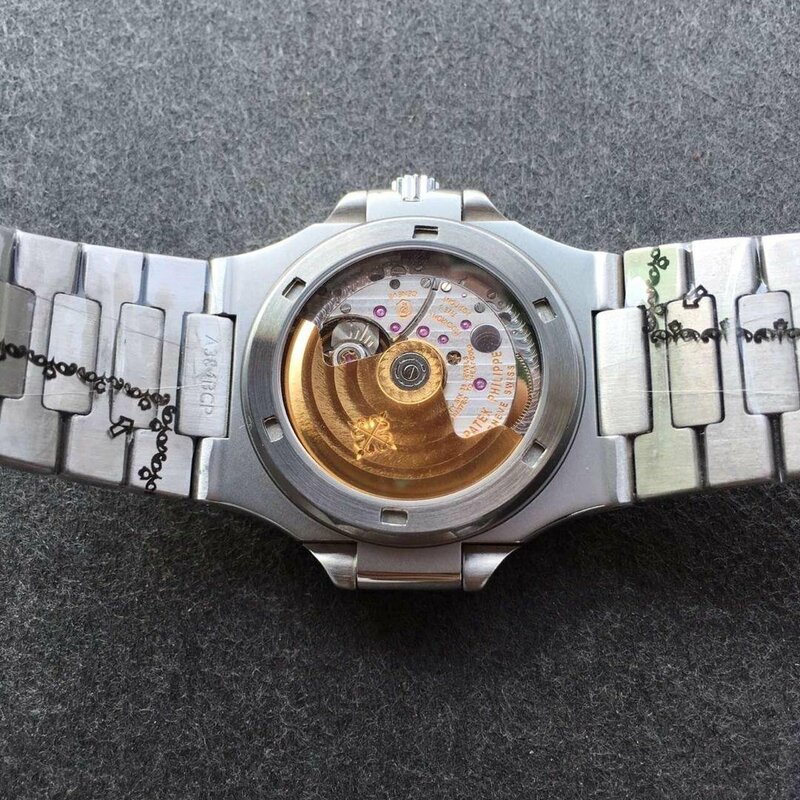 Arabic 3-6-9 hour markers and the reverse triangle mark are skeletonized, the disc on the bottom is applied white luminescence, so the four markers above will emit green light in dark place. 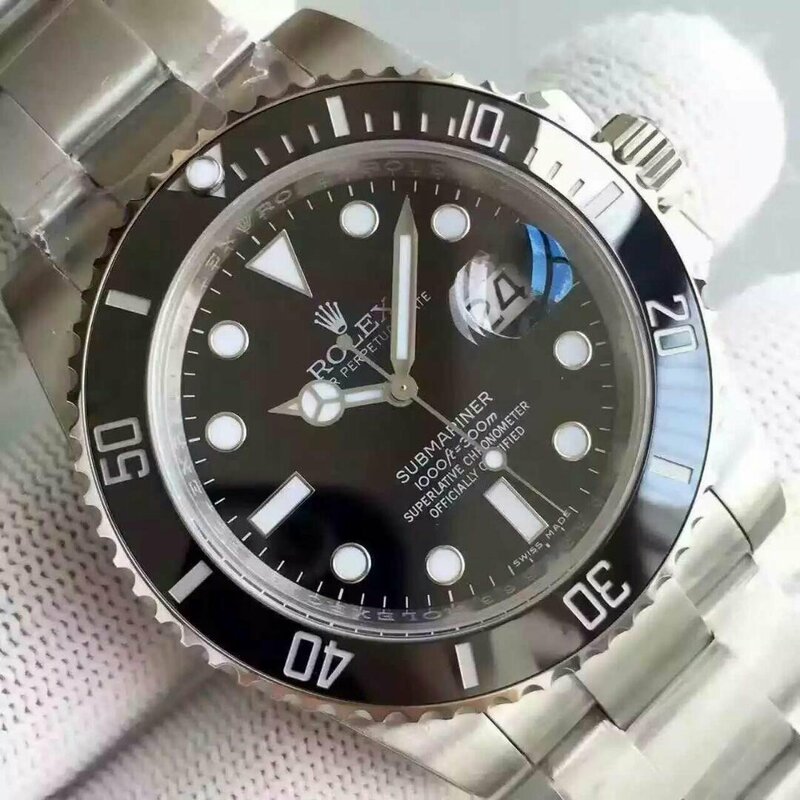 Second hand features a round red dot. 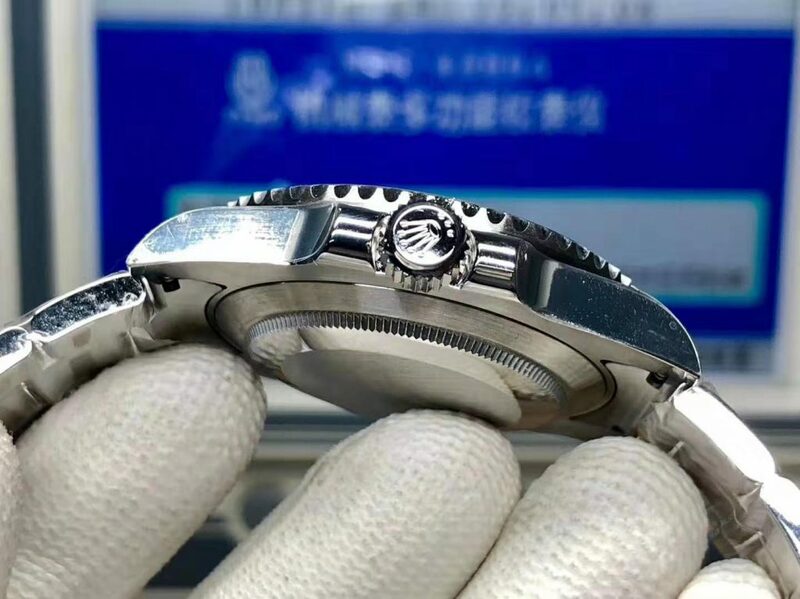 The Rolex Bamford Commando Submariner replica is equipped with an Asian clone ETA 2836-2 movement, which has 25 jewels and 28800bph. 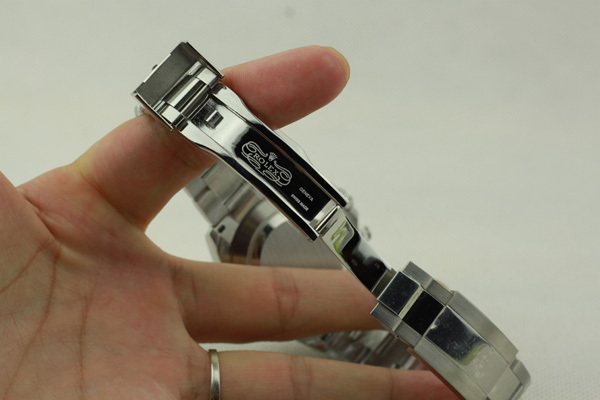 If you guys want to buy a genuine ETA model, I can ask the factory to install a real ETA 2836-2 movement for you. 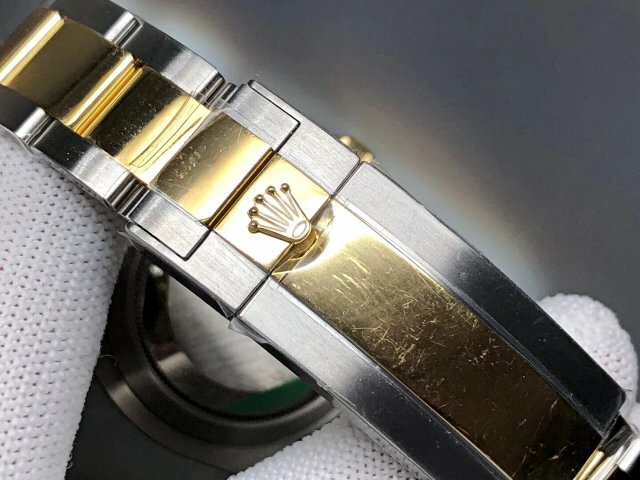 In past a few months, every one has focused their attention on the 2017 BaselWorld watch exibition, so was I. 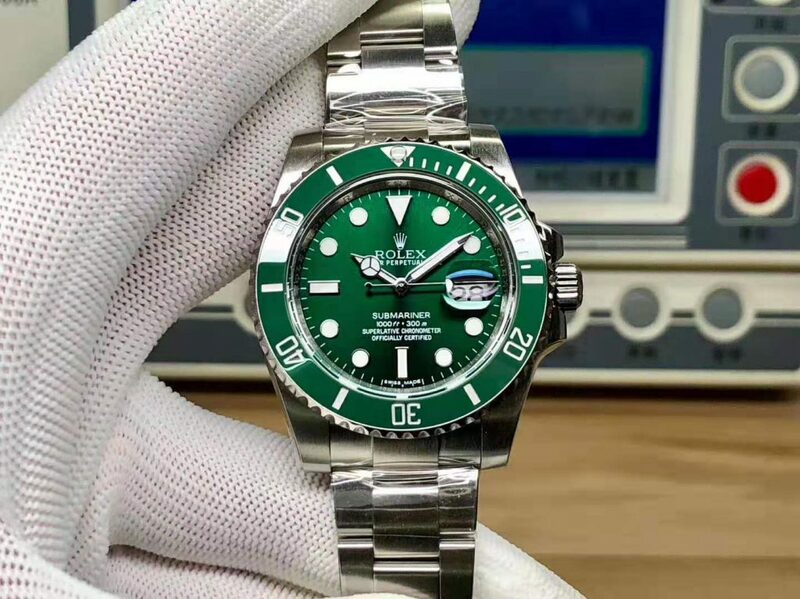 Every year a lot of Swiss brands would publish a lot of new models, which were made with new breakthrough watch-making technology, especially Rolex, they will bring some surprising gifts to you guys in Basel every year. 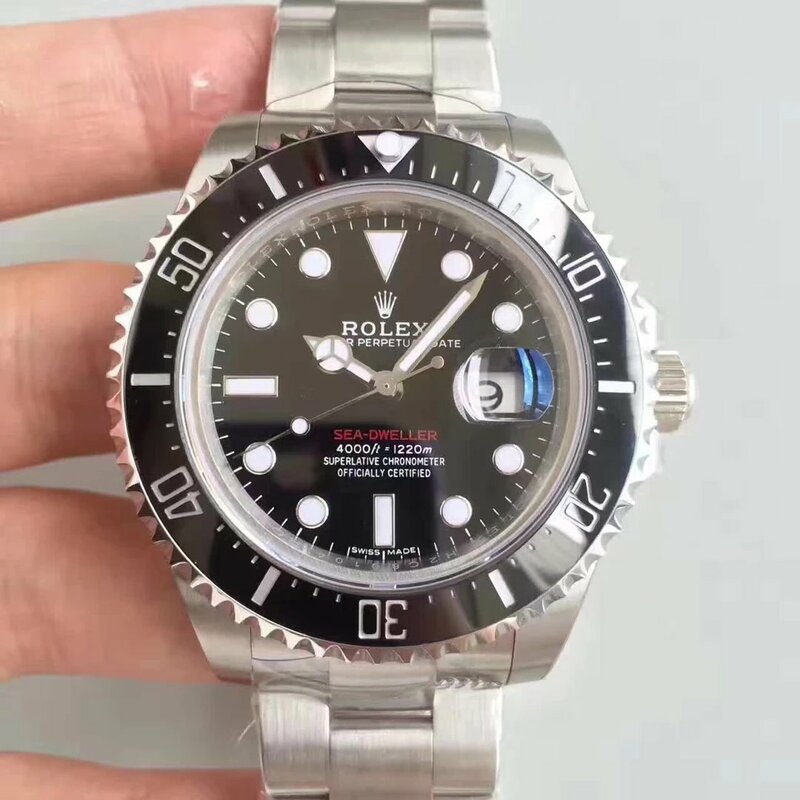 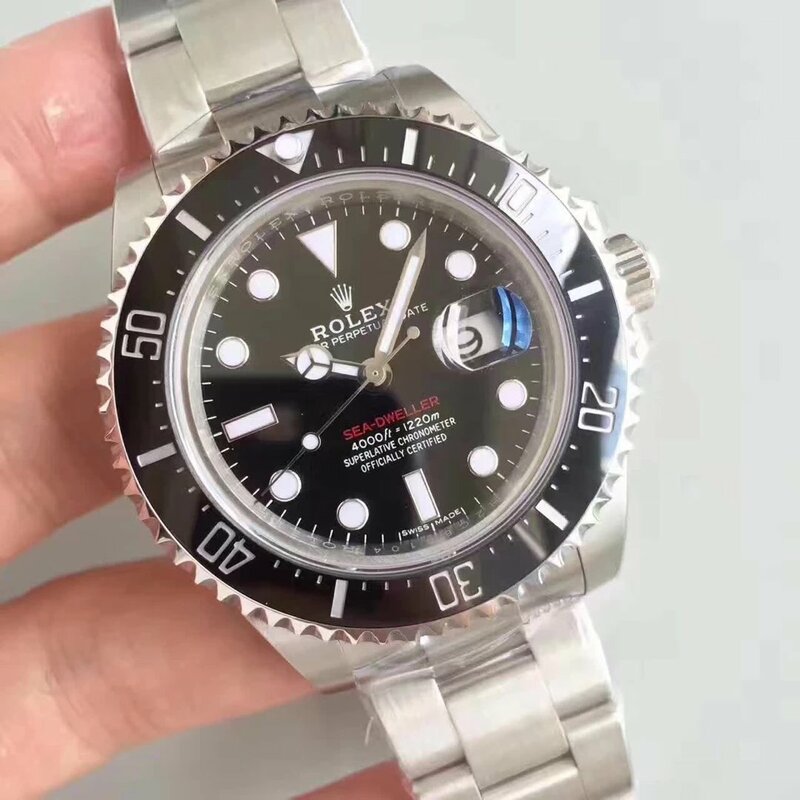 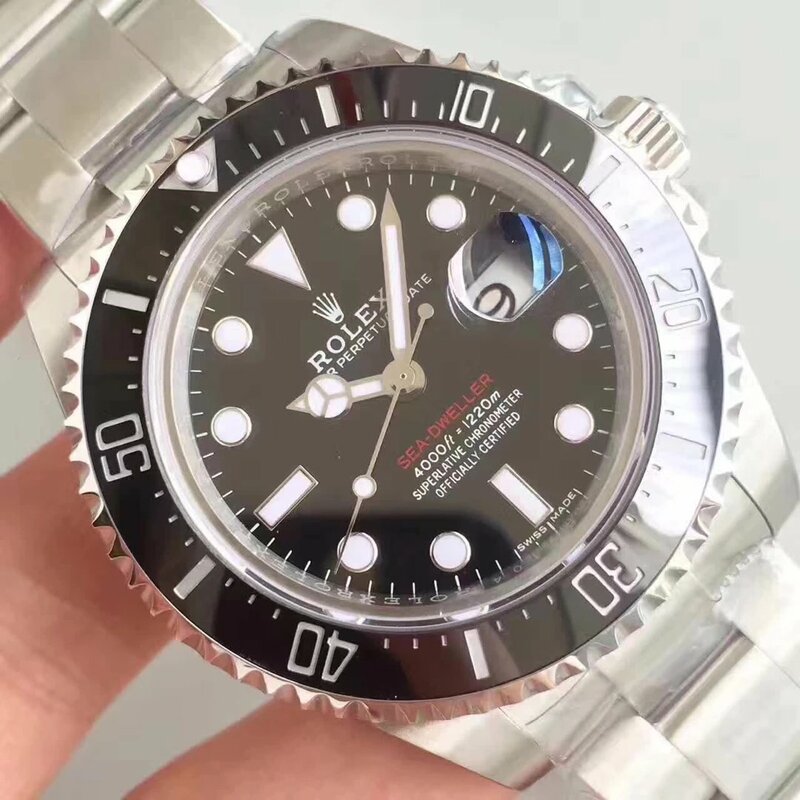 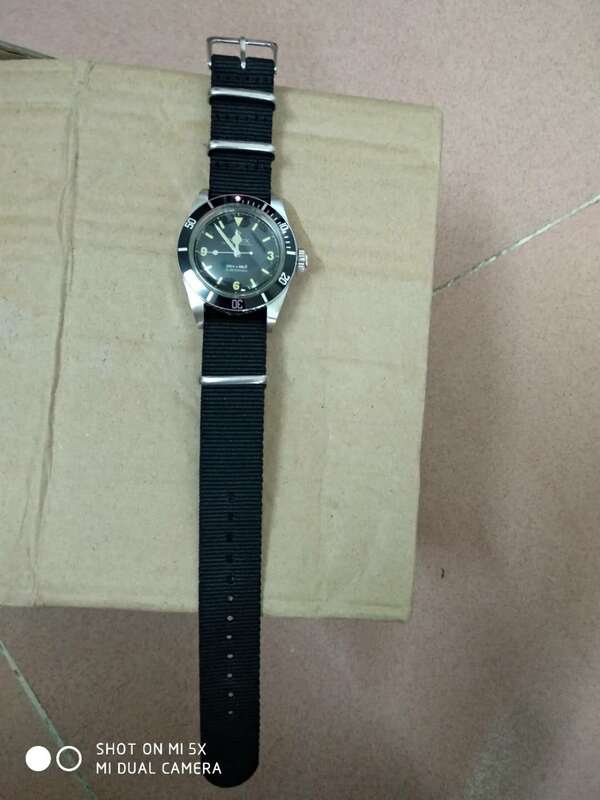 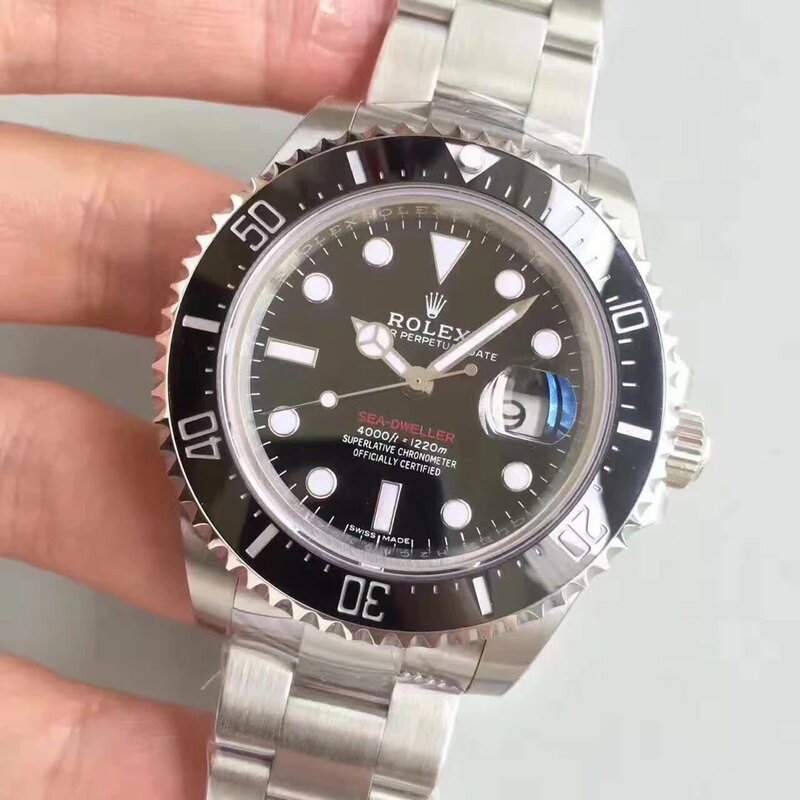 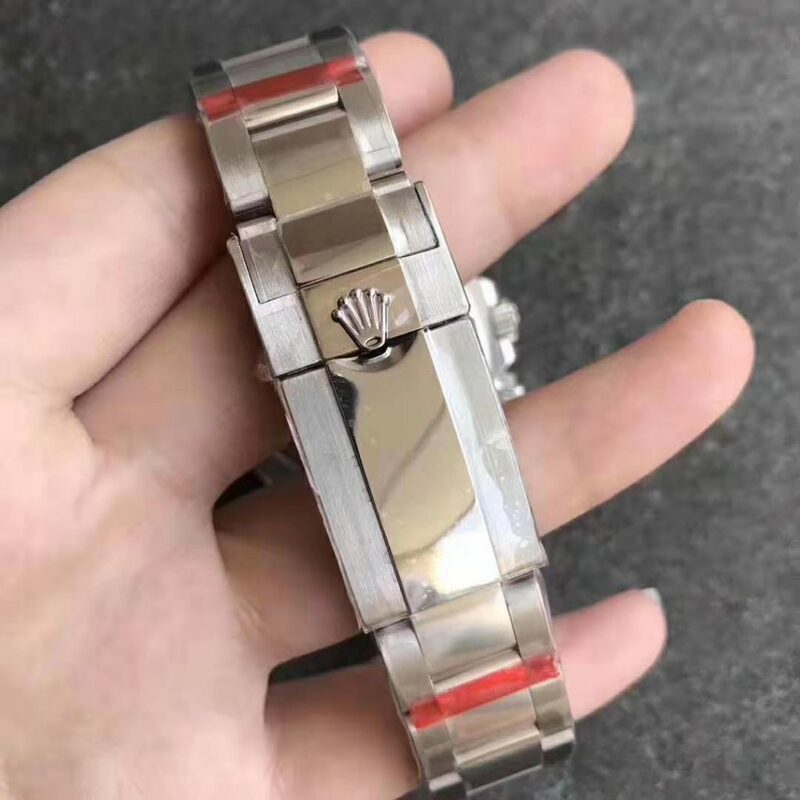 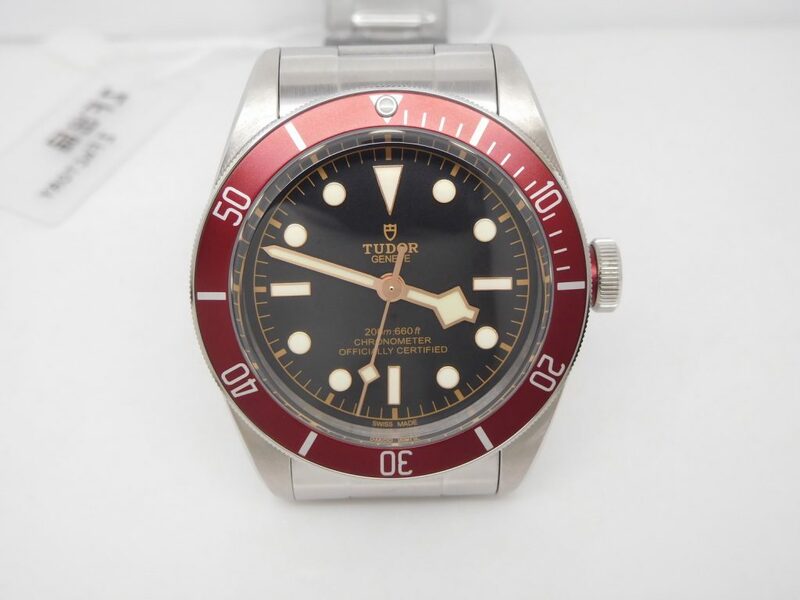 This time, I will introduce a monster to you, it is the most professional diving watch series of Rolex, yes, it is Sea-Dweller, look at the red lettering on black dial, red “SEA-DWELLER”, very obvious. 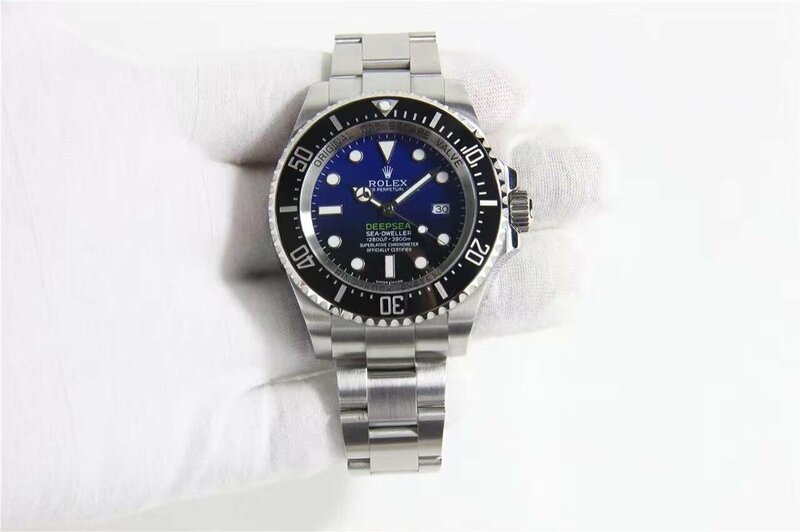 We all know Sea-Dweller is famous for their superior waterproof performance because it is specially made for professional divers. 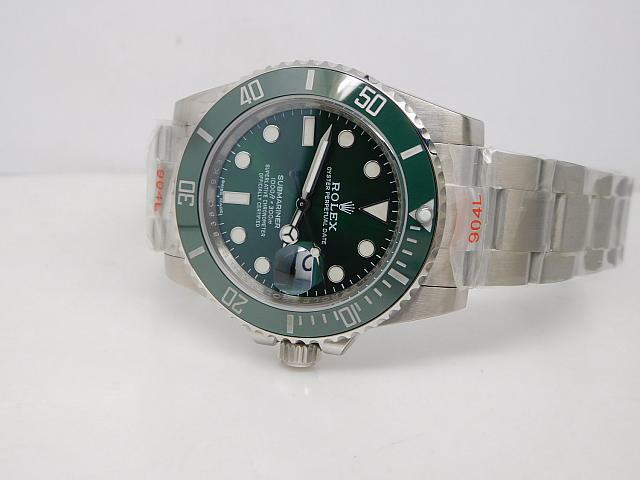 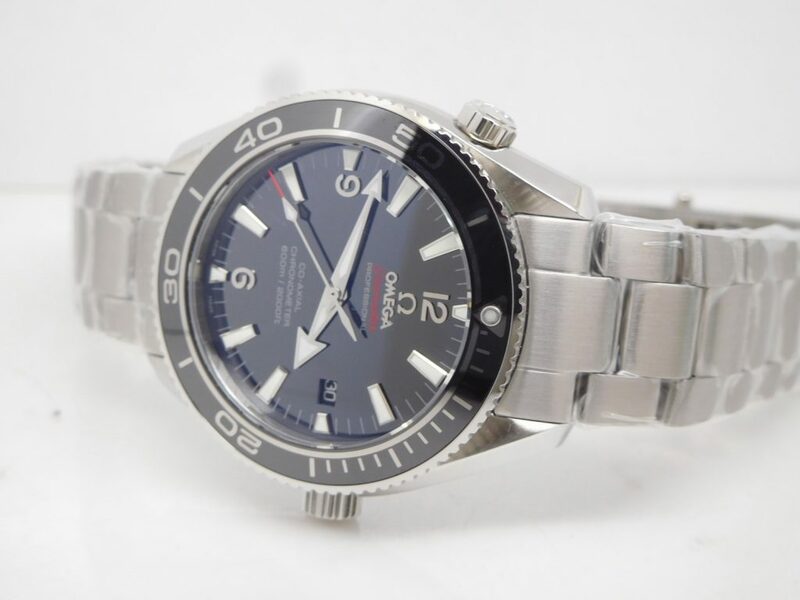 However, this new Sea-Dweller is also very good for you guys who may be not expert divers. 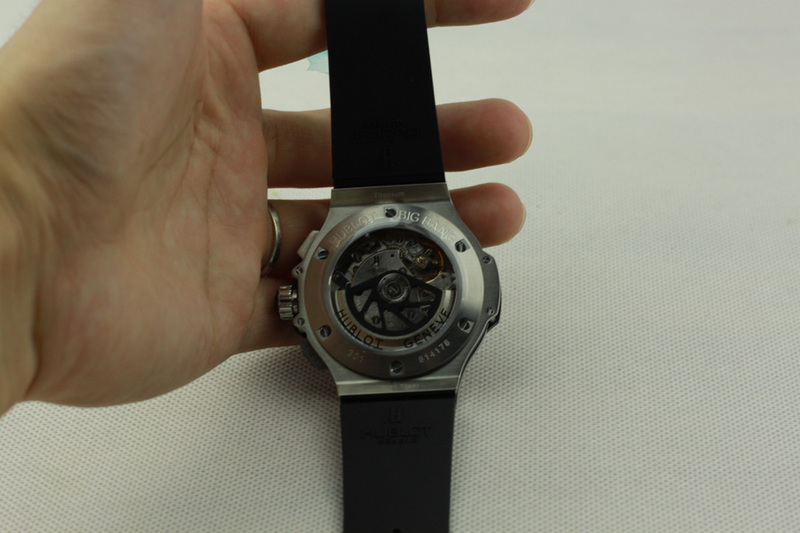 43mm in case diameter, not big and just like the size of Black Submariner, it will be under control of your wrist. 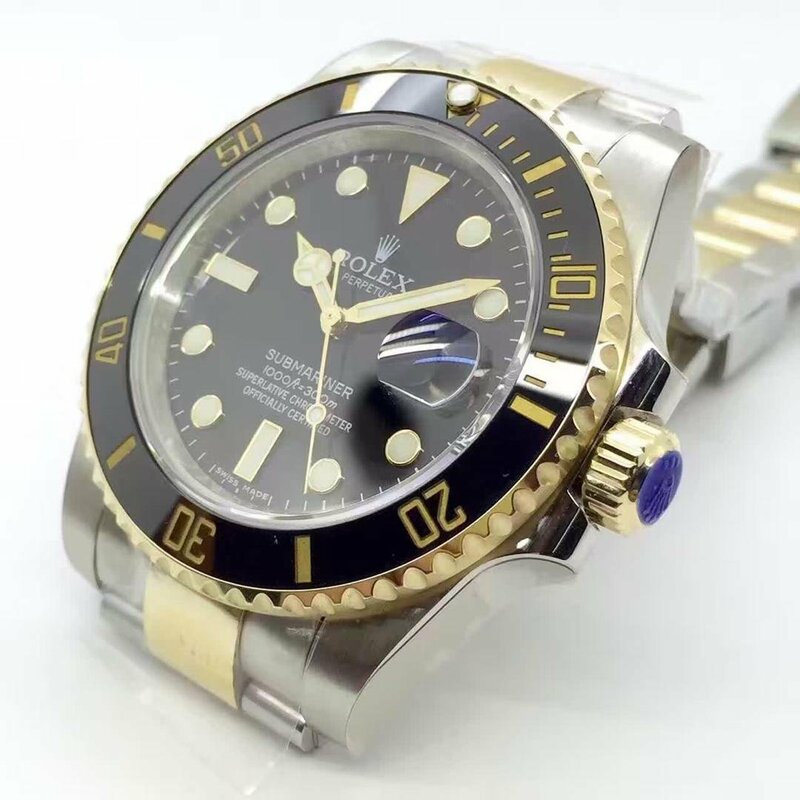 And the new Sea-Dweller 126600 is very similar to Submariner because of its Cyclops. 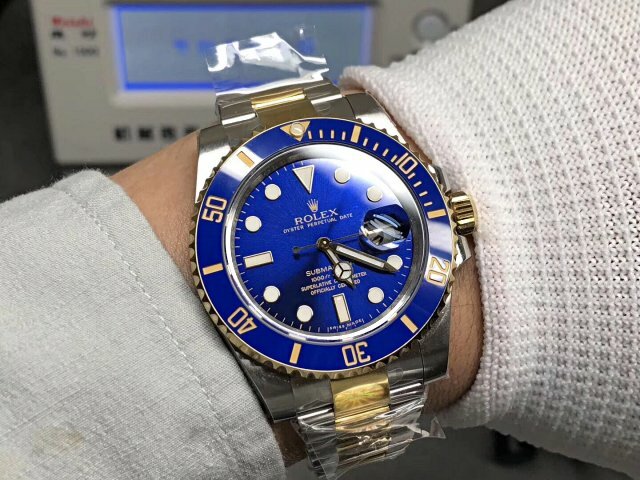 I can not find such a feature on previous Sea-Dweller models. 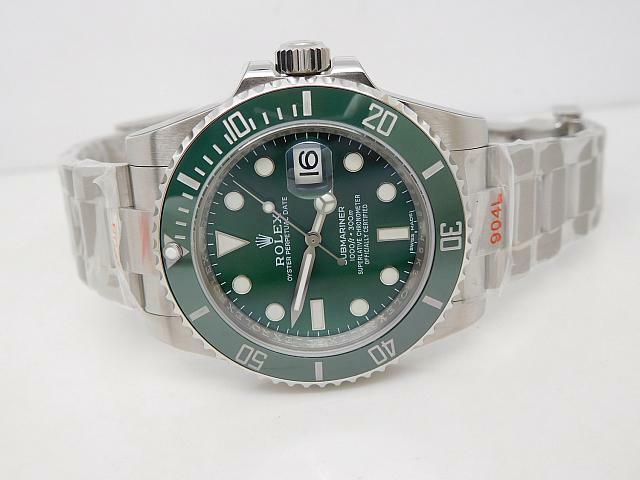 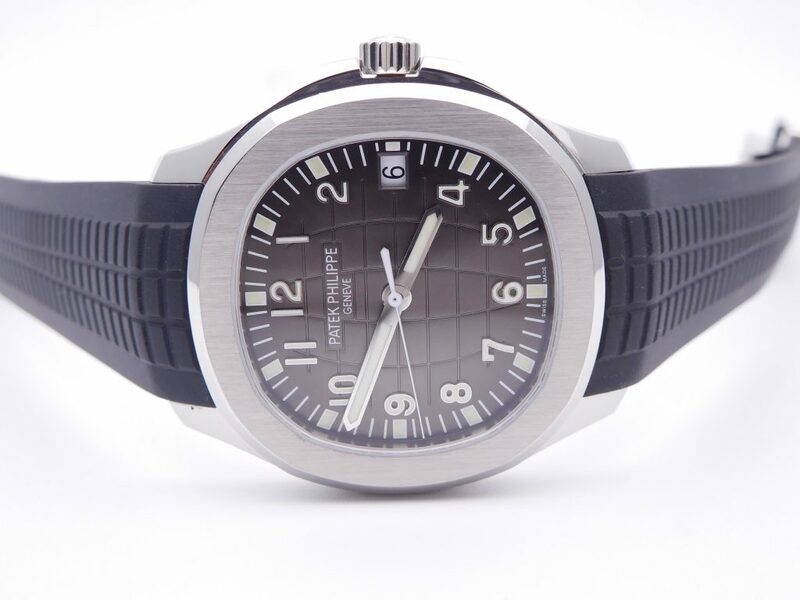 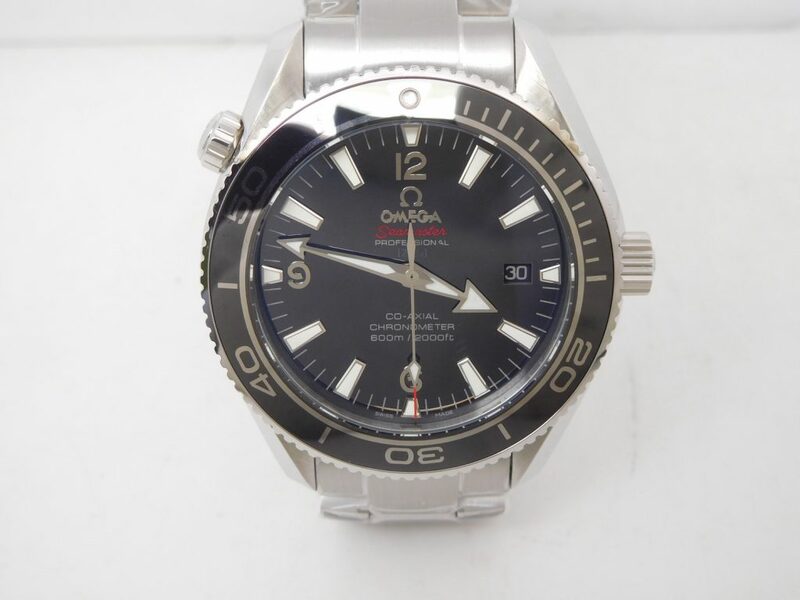 So this watch will be a good choice for watch fans who like a Submariner-style Sea-Dweller professional diver’s watch. 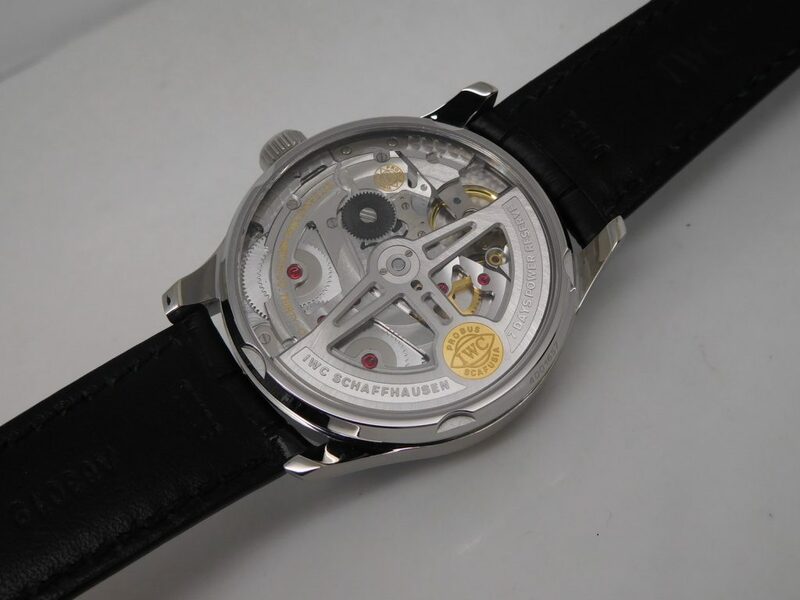 It is already not a secret that our fake watch factories will go to Basel watch exibition, why did they go there? 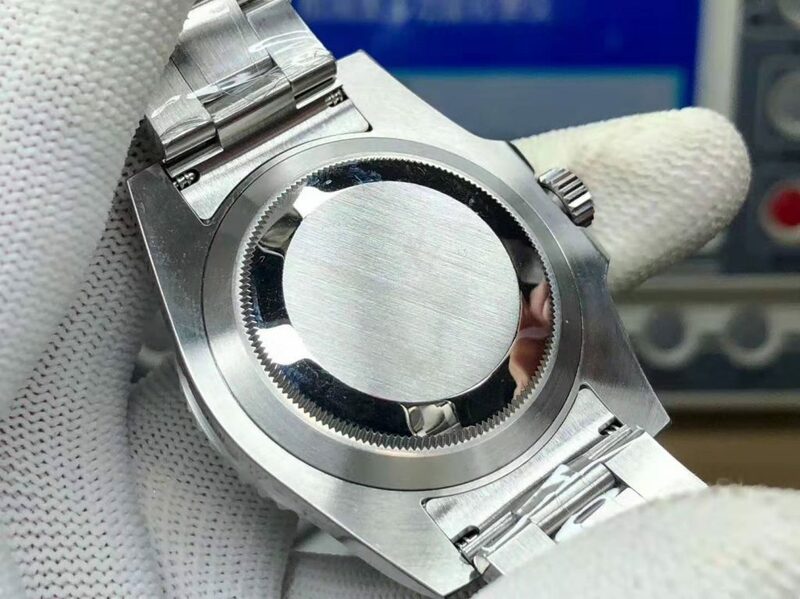 Not only they love watches, but they also wanted to buy some so could manufacture the latest replicas of these new watches. 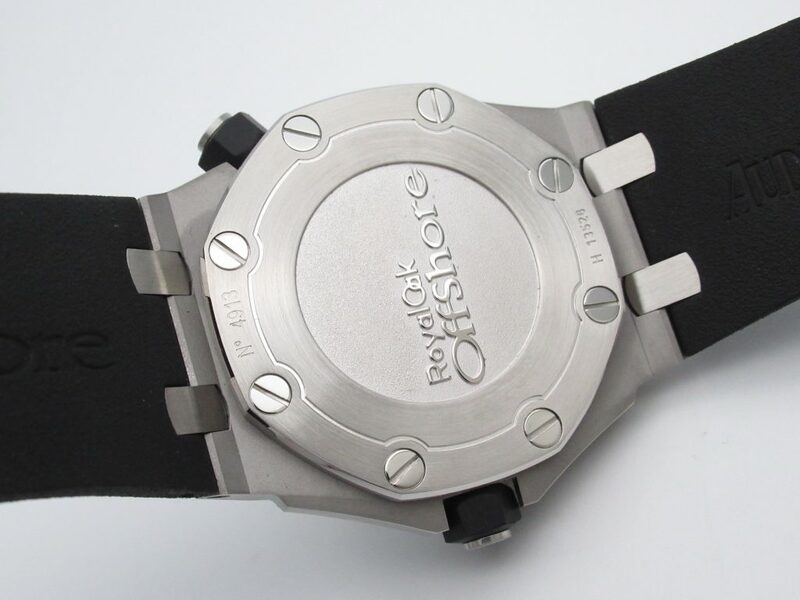 The main reason is that they want to do business and earn a lot of money. 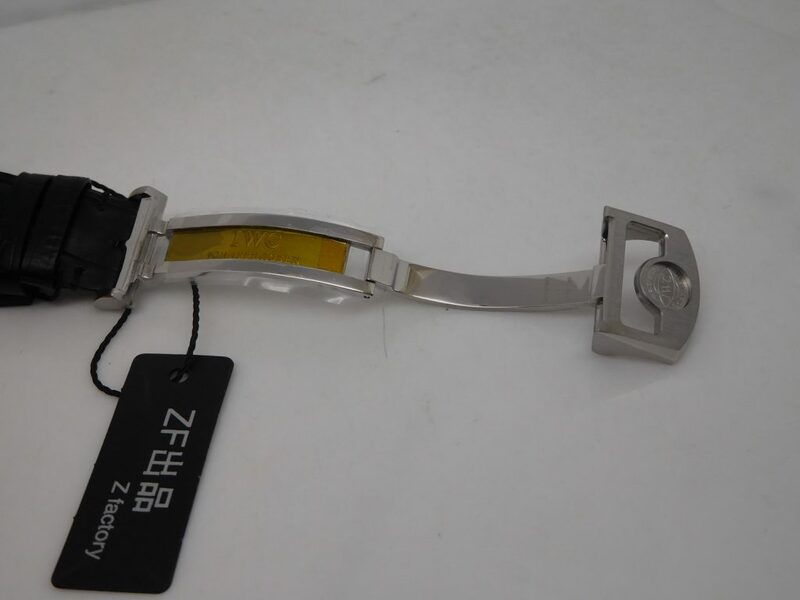 By the way, some factory managers really did well in this area. 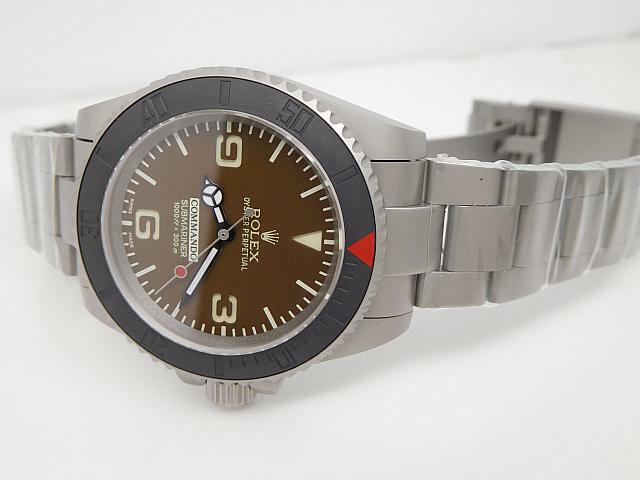 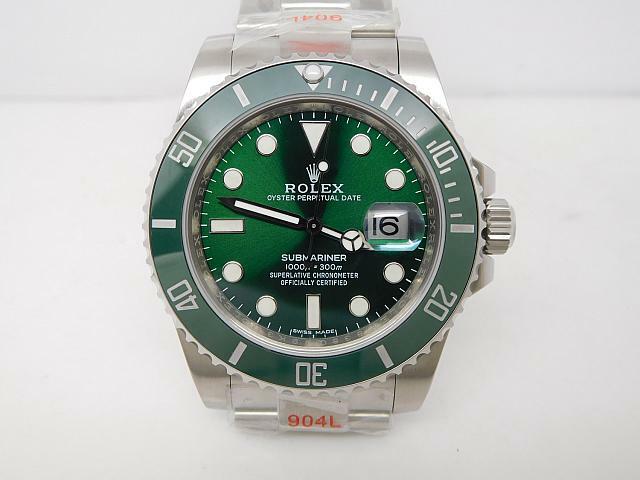 Such as BP, which made this replica Rolex Sea-Dweller 126600. 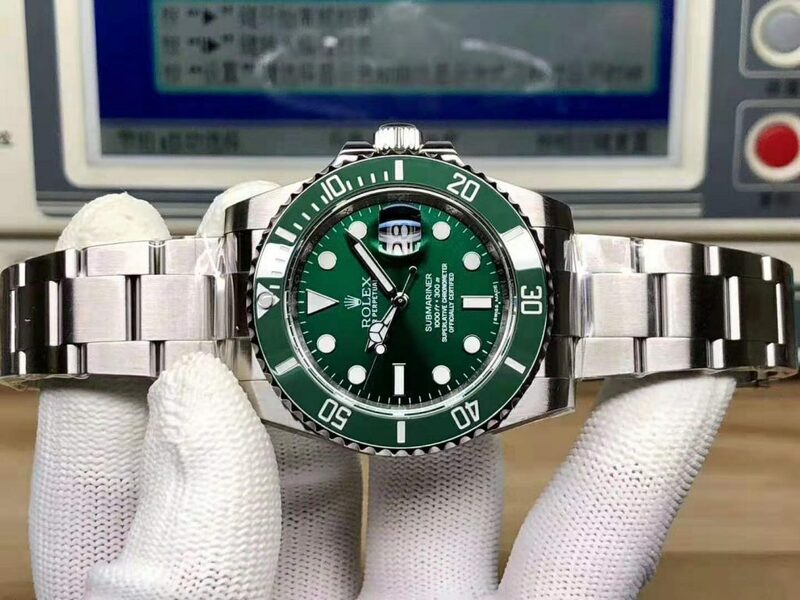 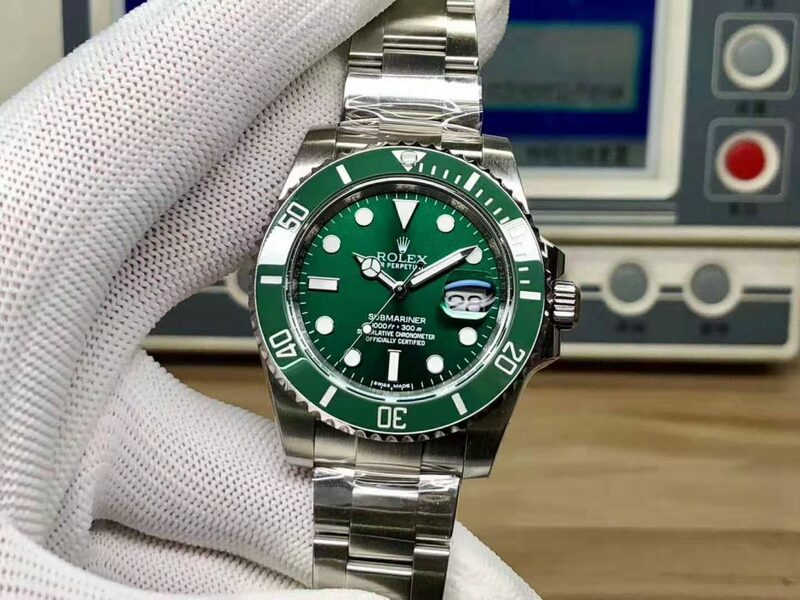 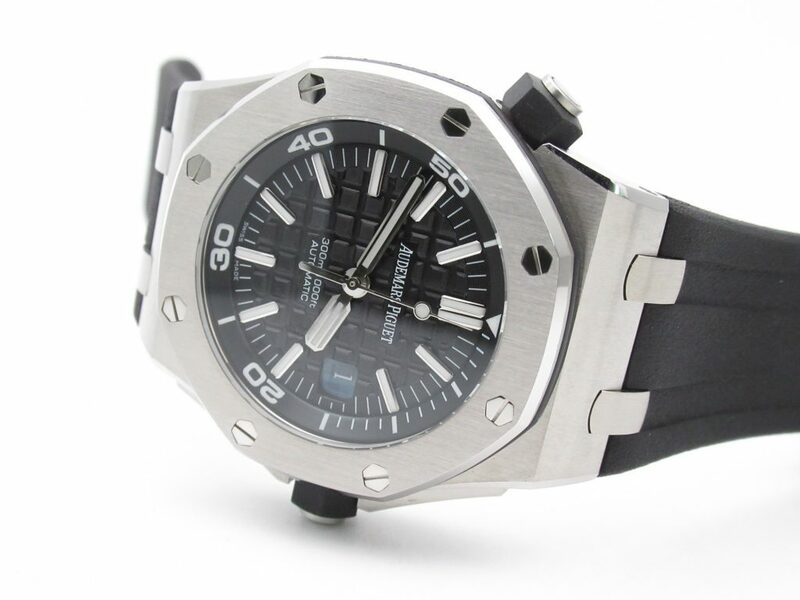 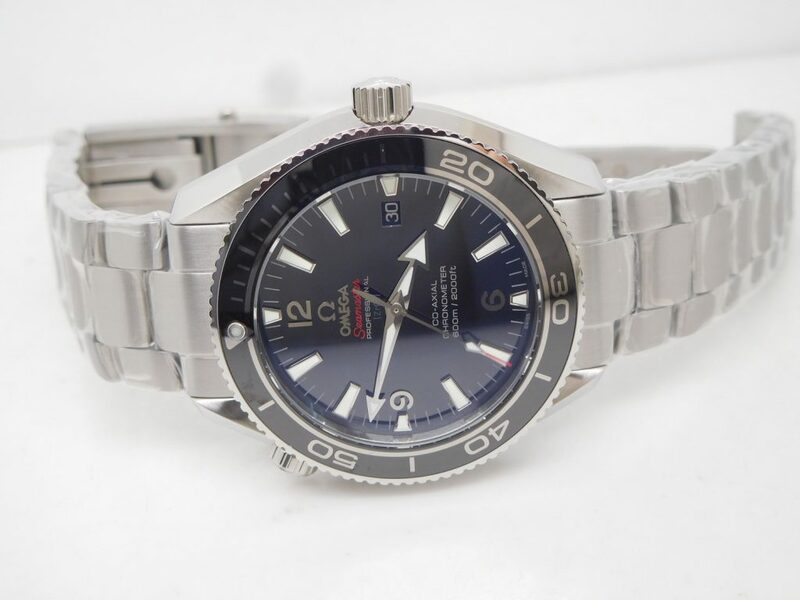 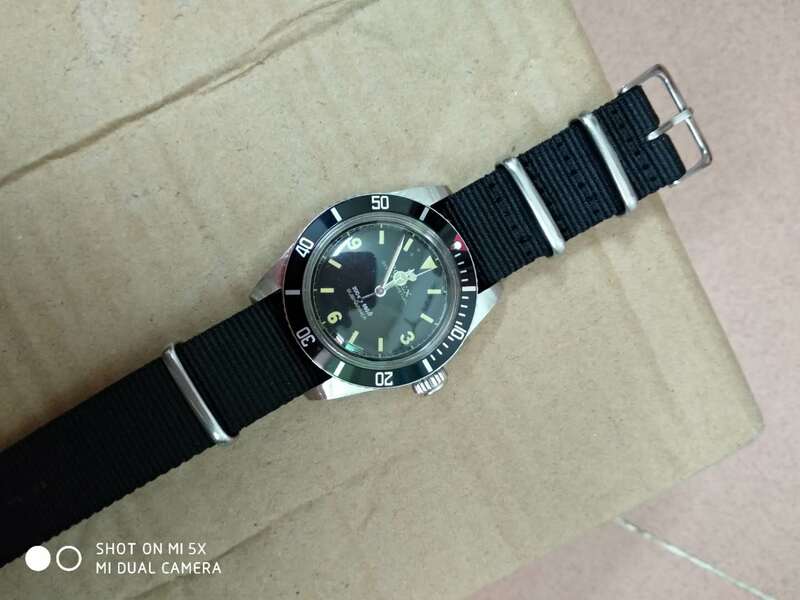 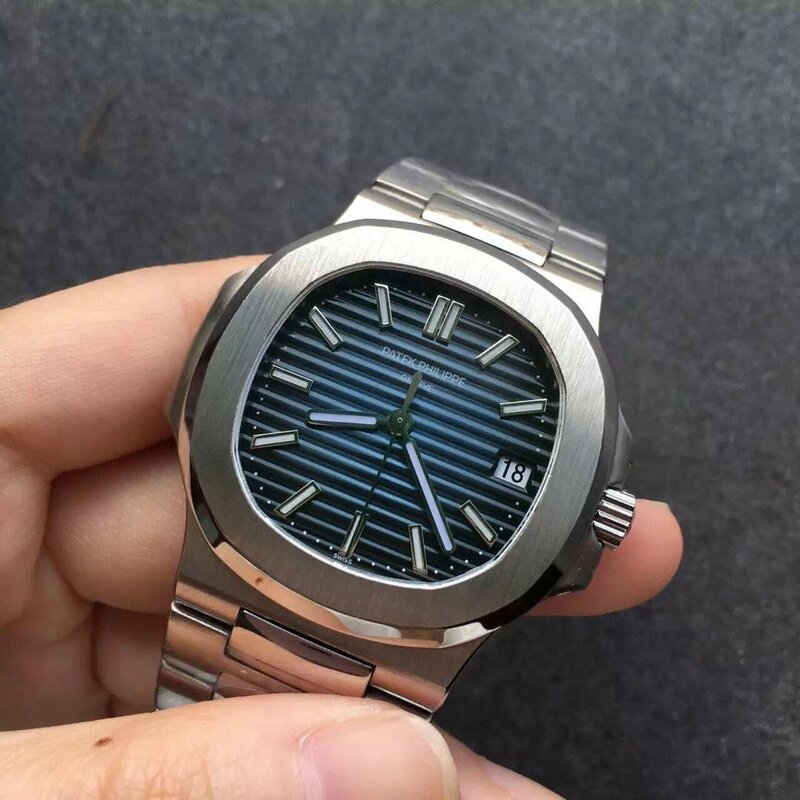 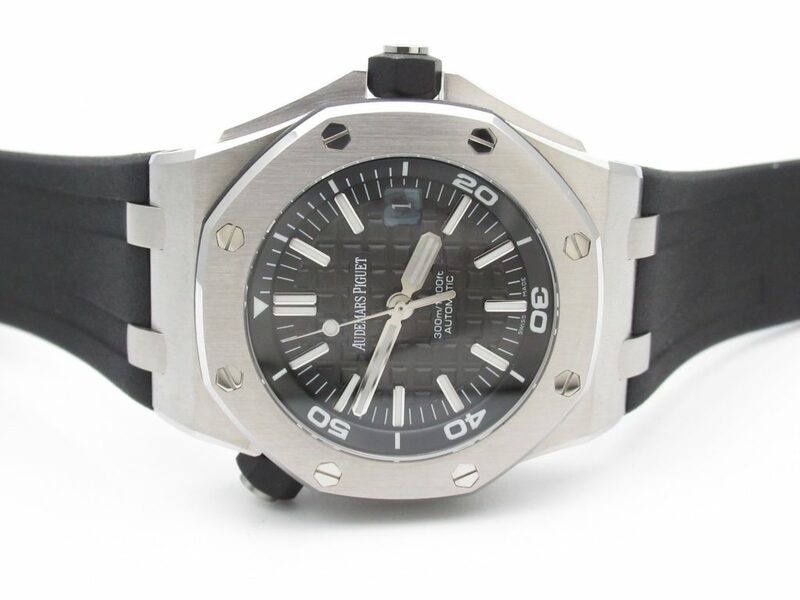 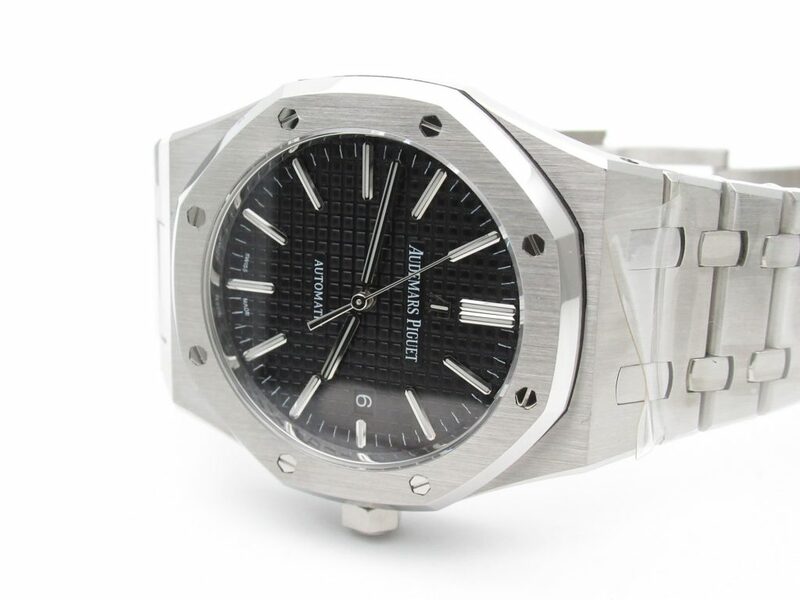 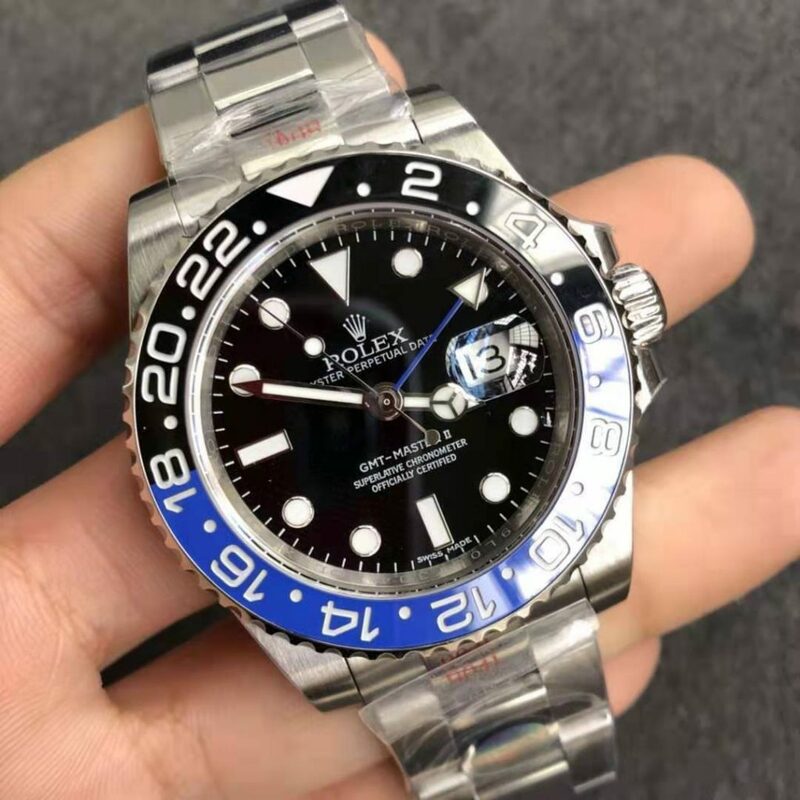 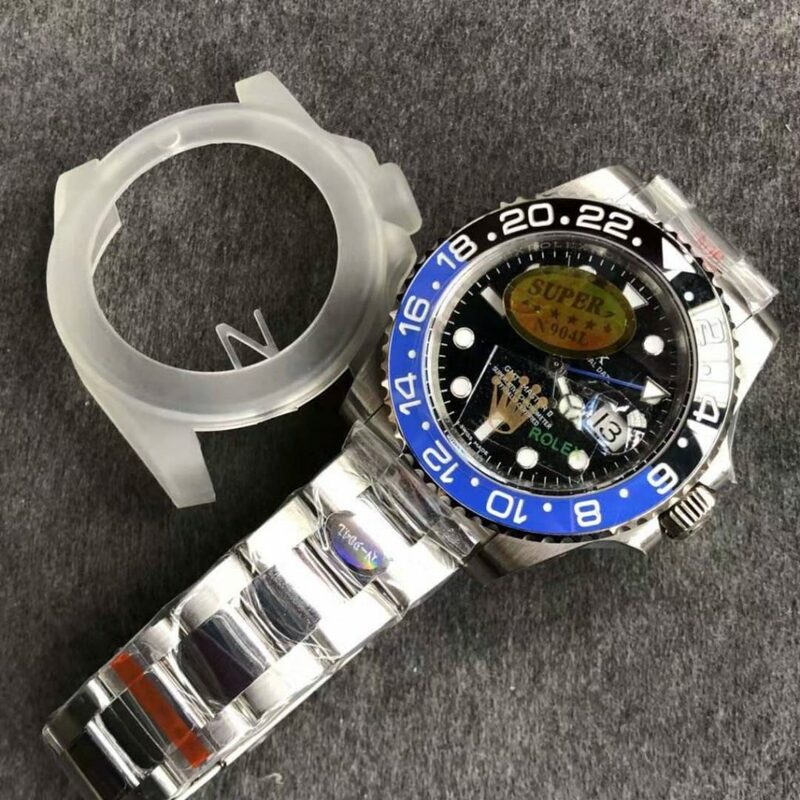 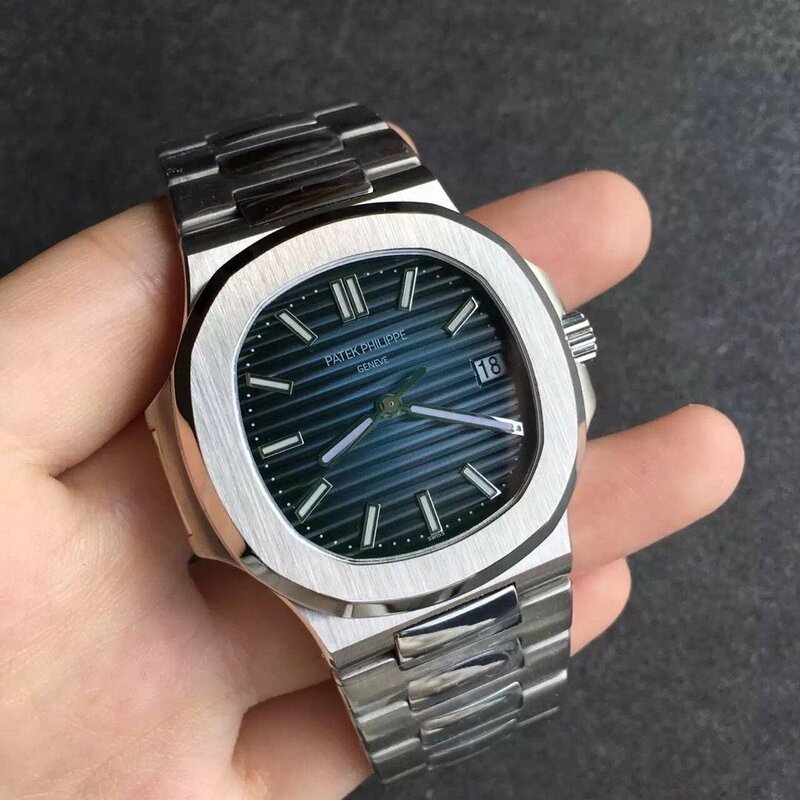 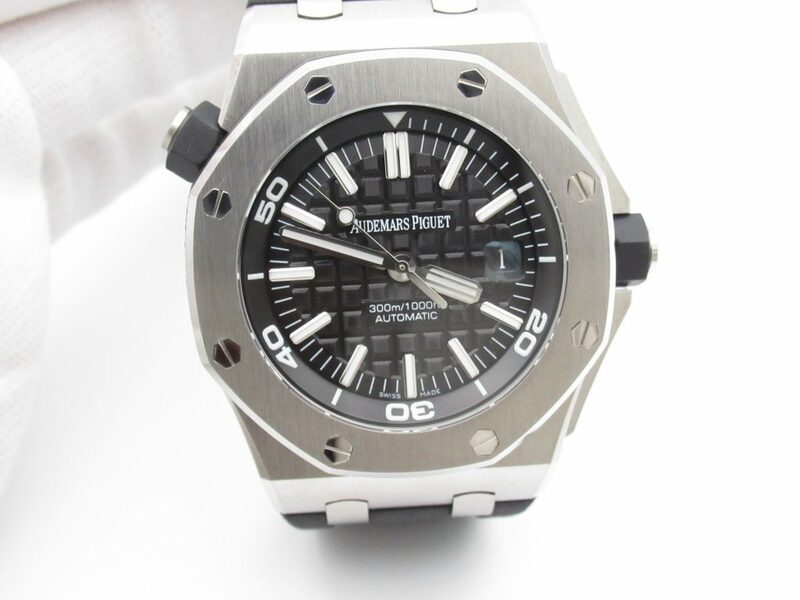 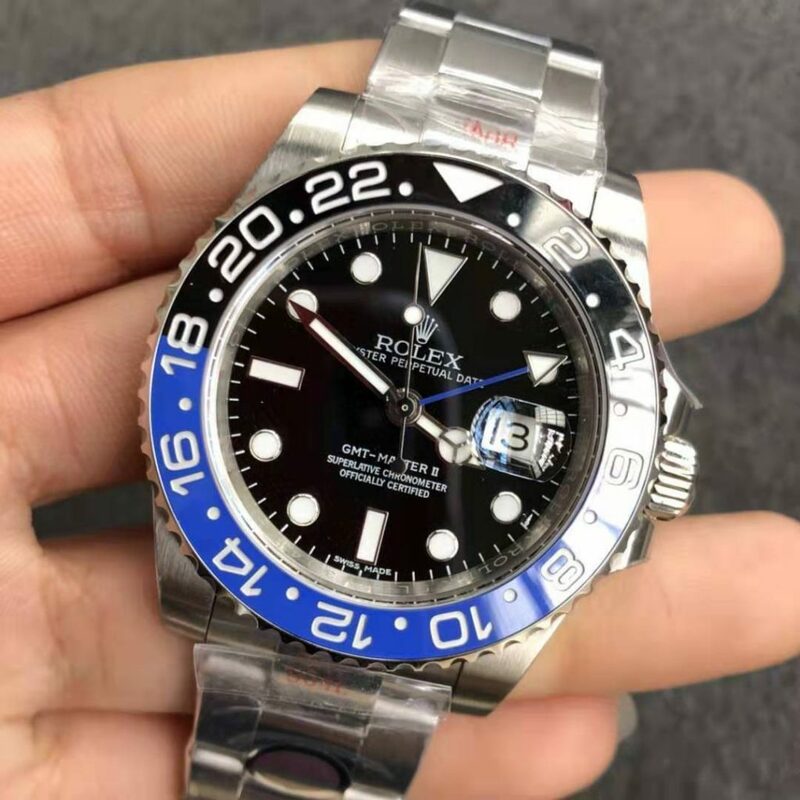 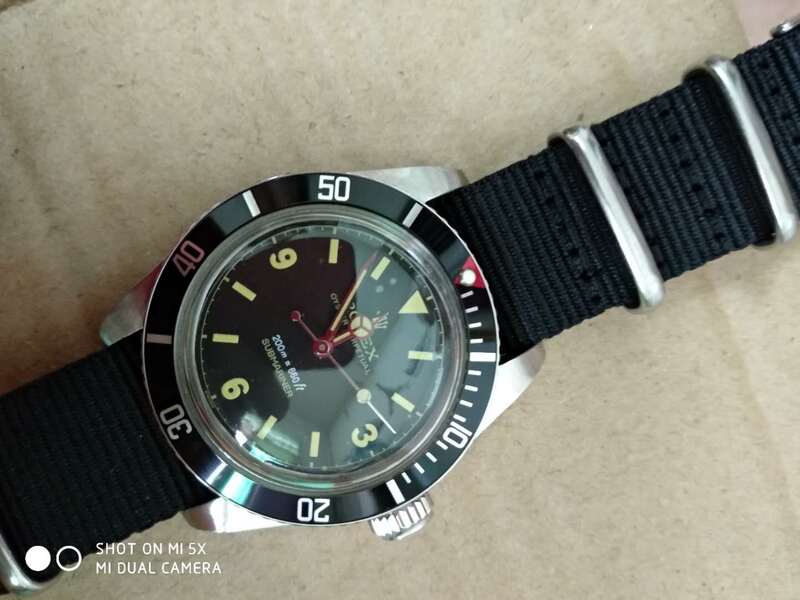 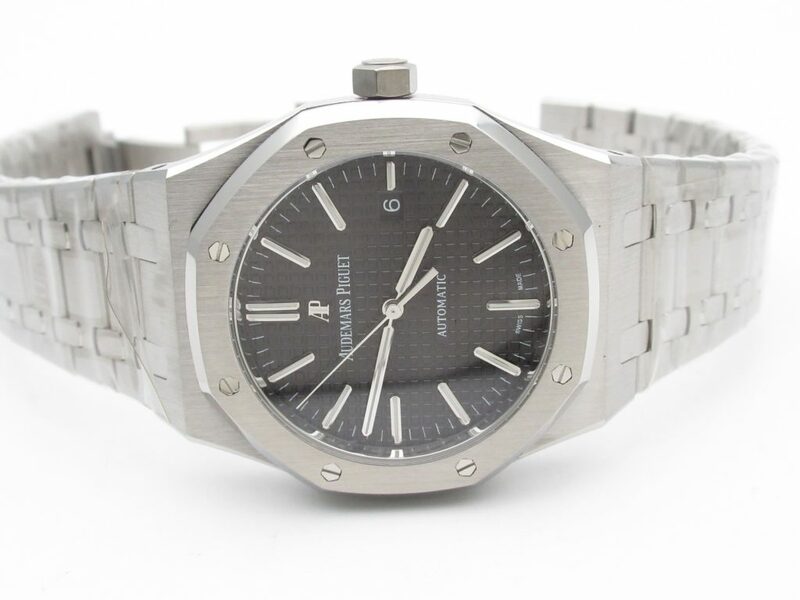 According to my knowledge, BP is the first factory to publish this Sea-Dweller replica watch, and the watch quality is top, with a very considerable price, I think it is worth for you to get this replica watch. 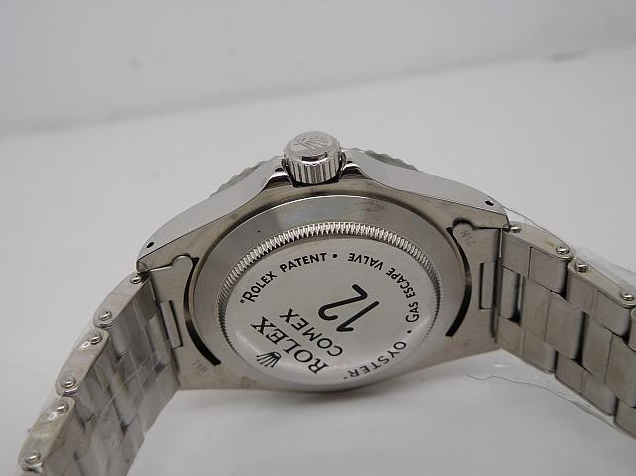 Let us talk movement first, it is genuine ETA 2836. 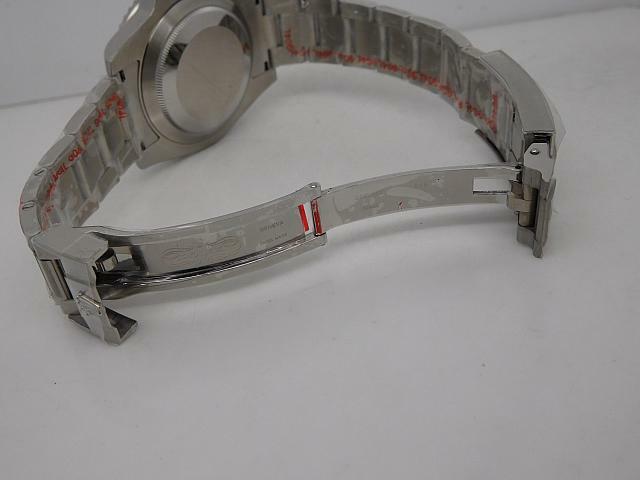 Beating at rate of 28800BPH. 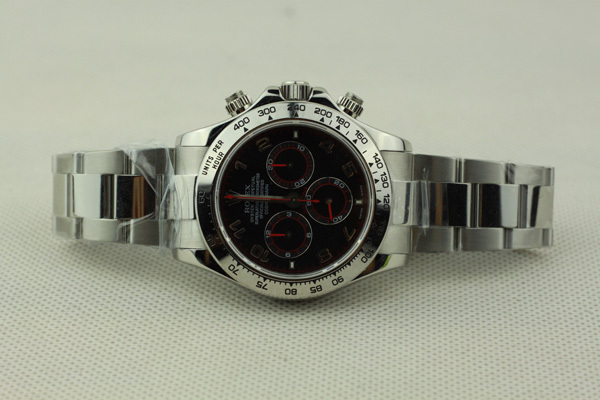 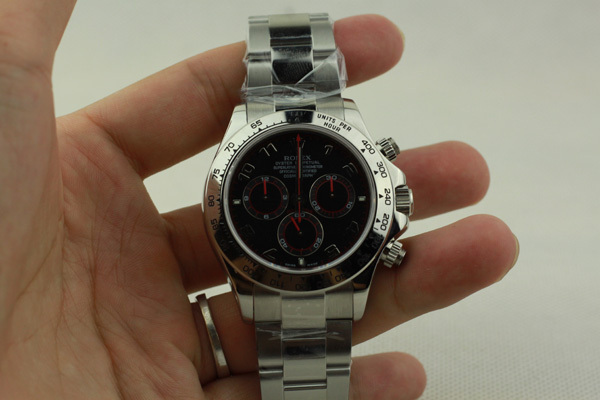 An Asian clone 2836 or 2813 is also available, and the replica with such clone movement is much cheaper. 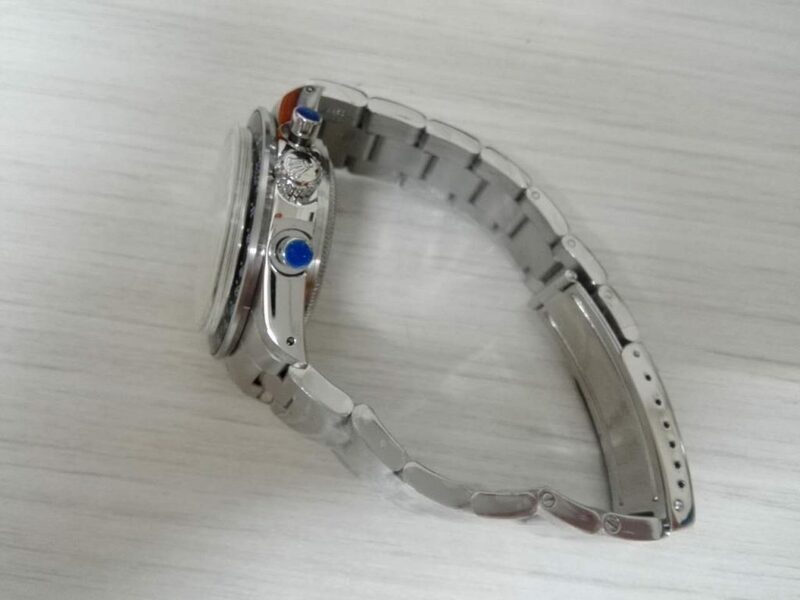 However, if I were you, I will choose a genuine ETA version, because it works more accurate and the watch will serve you longer time. 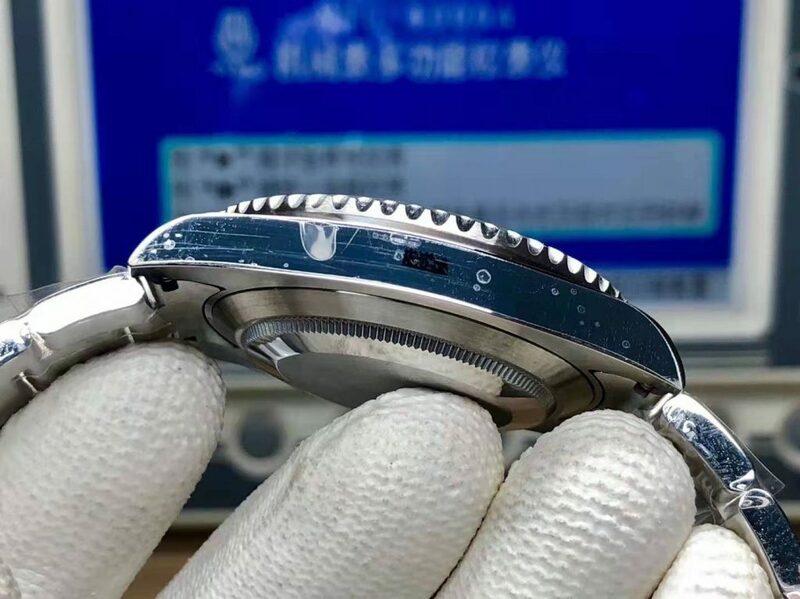 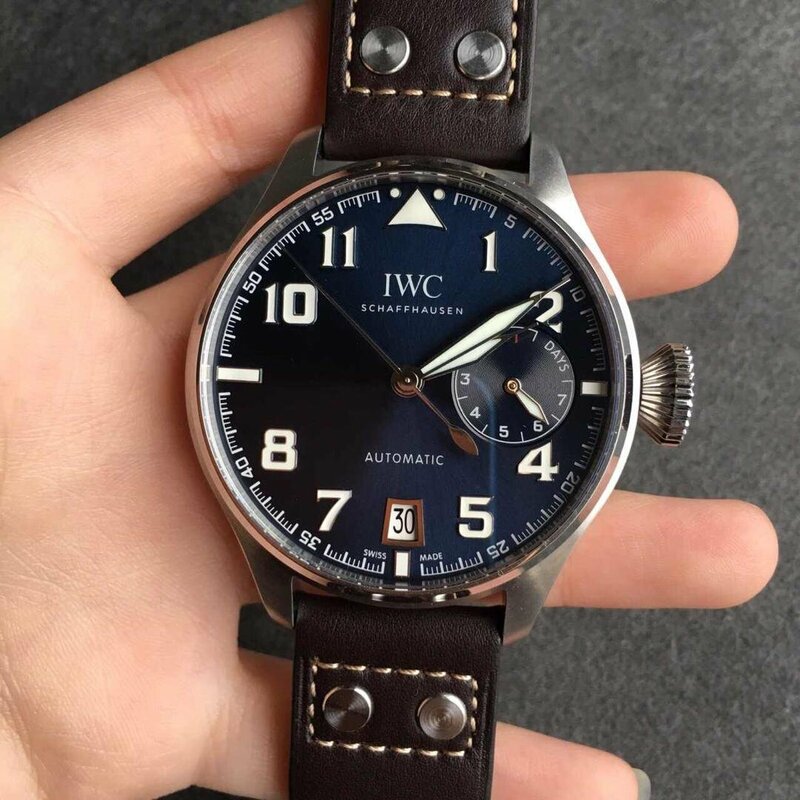 In these days, I was really tired and have not much time to write something new about replica watches, actually at the beginning of 2017, those factories seem not to release striking new models, I guess they are waiting for genuine new watches that will be published in BaselWorld. 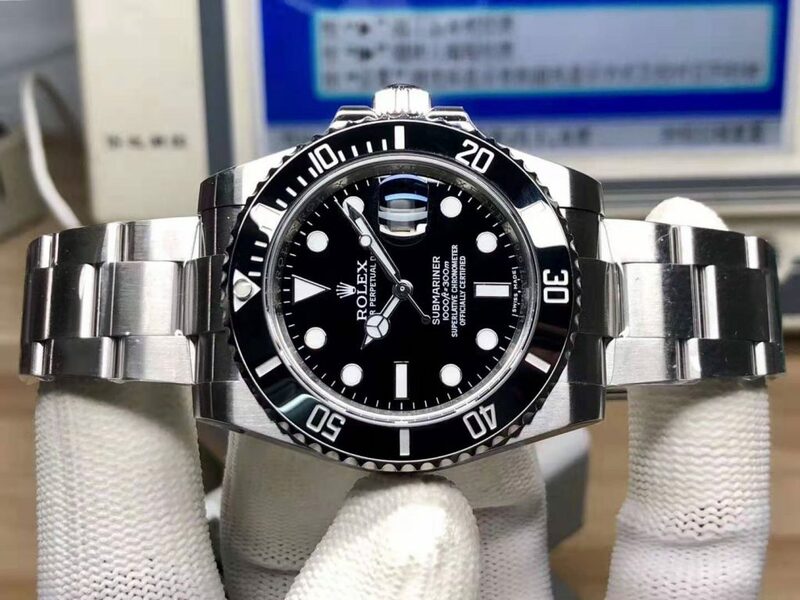 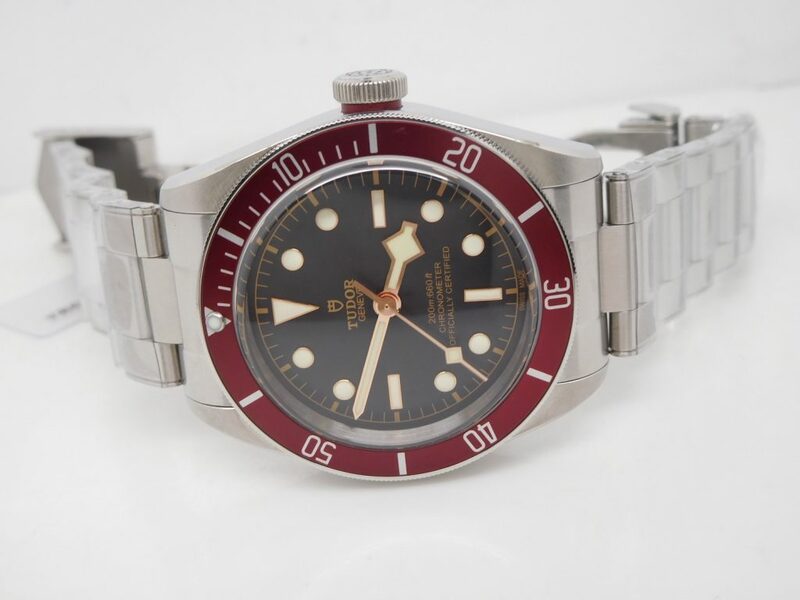 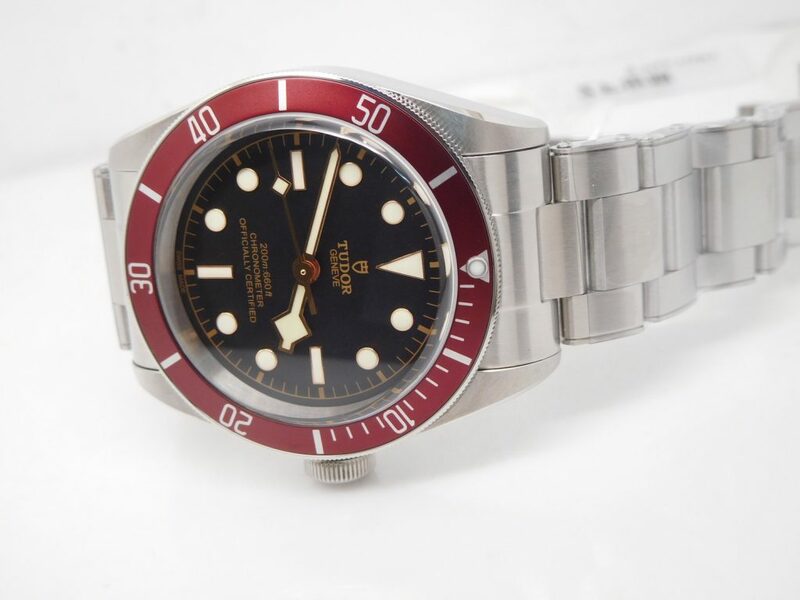 However, some factories, such as BP, are still bringing new surprise to us, this time, BP factory released a series of vintage Rolex Submariner replicas, this one Comex 1680 is one of them. 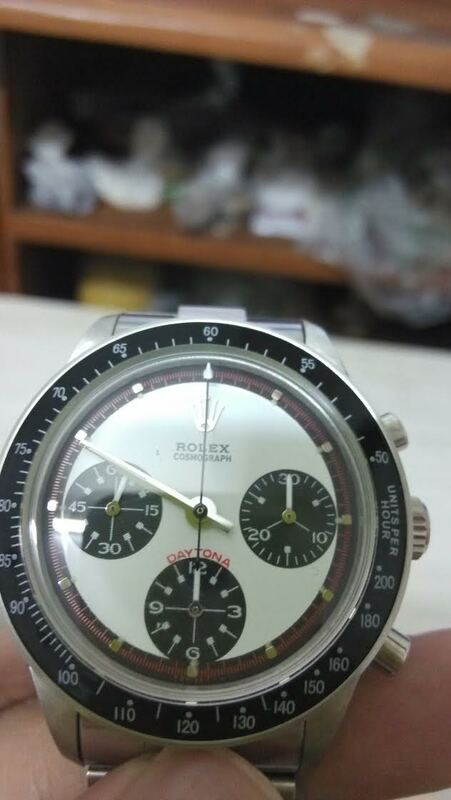 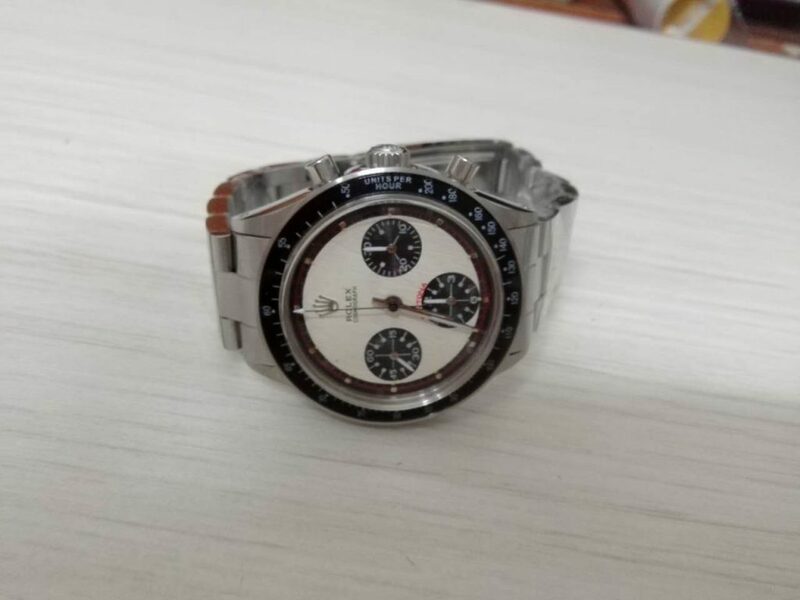 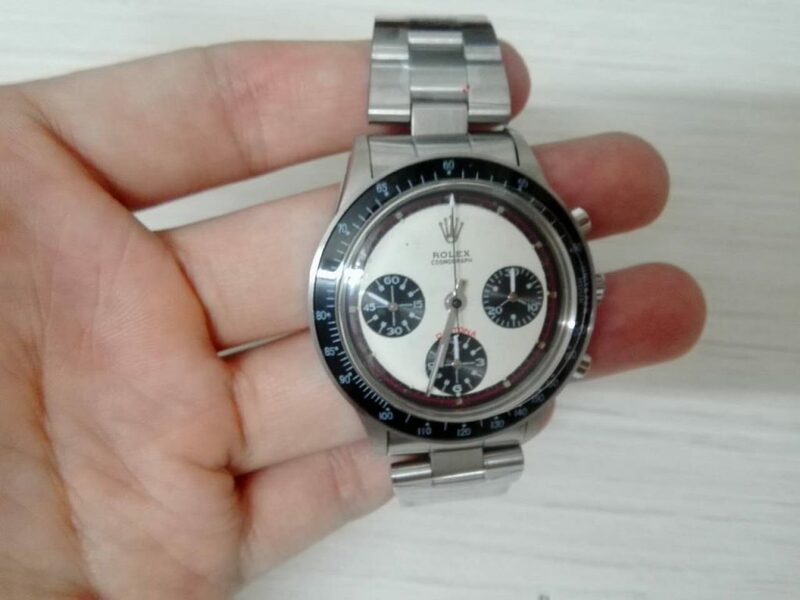 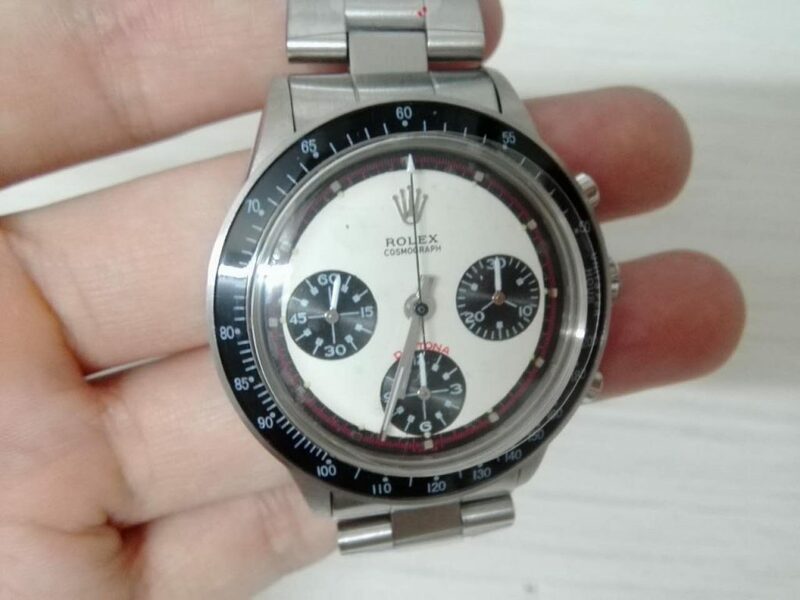 Actually I remembered such type of vintage Rolex replicas were manufactured by another unknown factory, a factory that made the famous vintage Paul Newman Daytona replica, this time, not only BP made Paul Newman Daytona, it also produced this Comex Submariner. 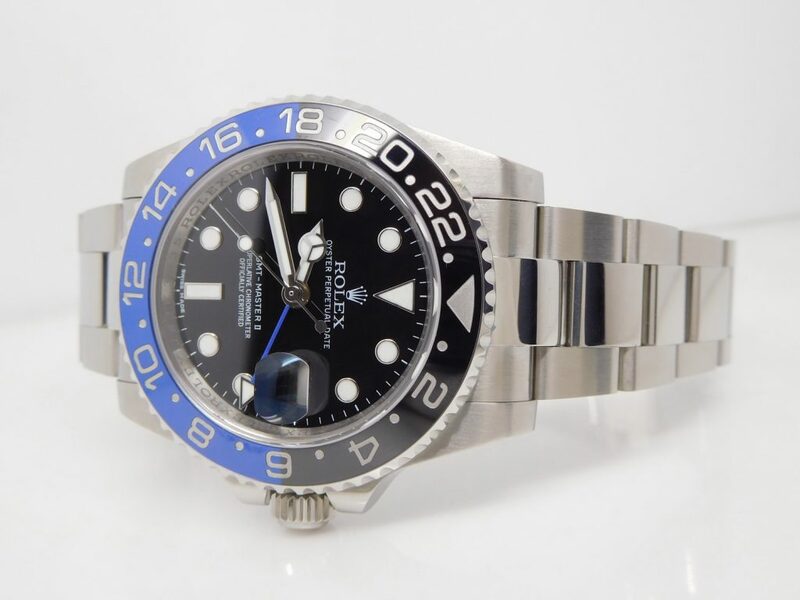 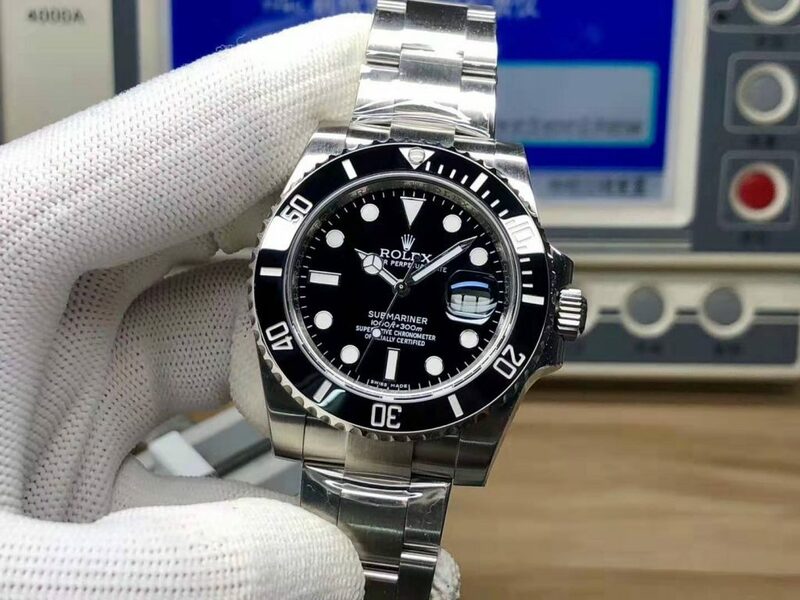 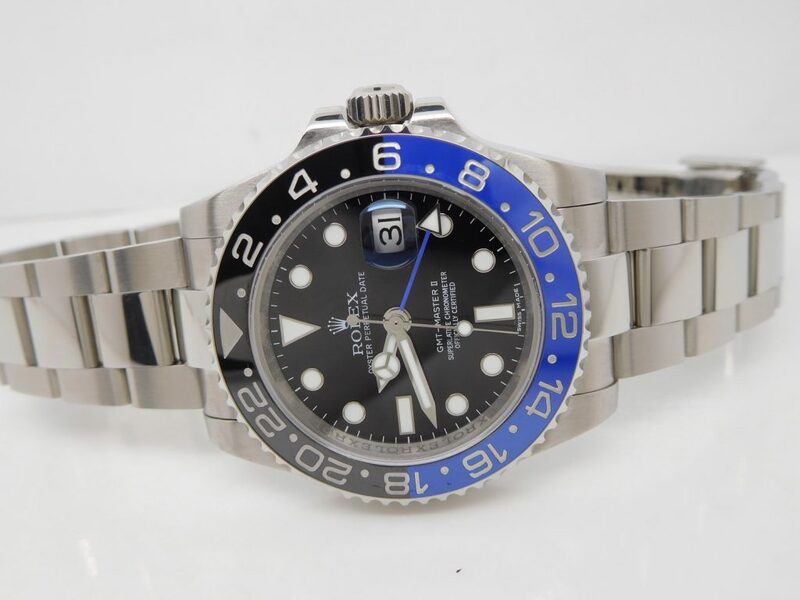 Every one who knows BP must remember their Rolex Submariner replicas have a very close quality to Noob Submariner, so now BP brings these vintage Rolex replicas to a new quality level. 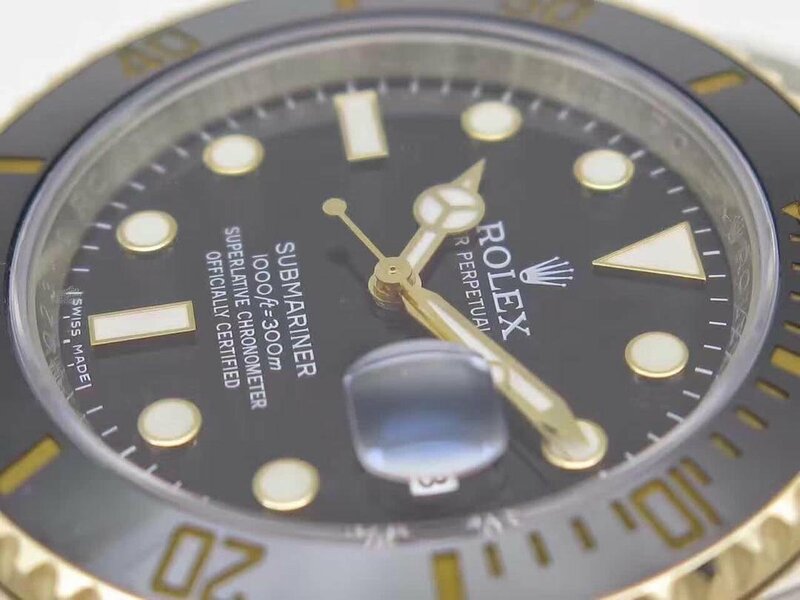 The biggest difference between this 1680 and other Submariners is that its dial has a COMEX printing, so it is a Rolex that has a rich story. 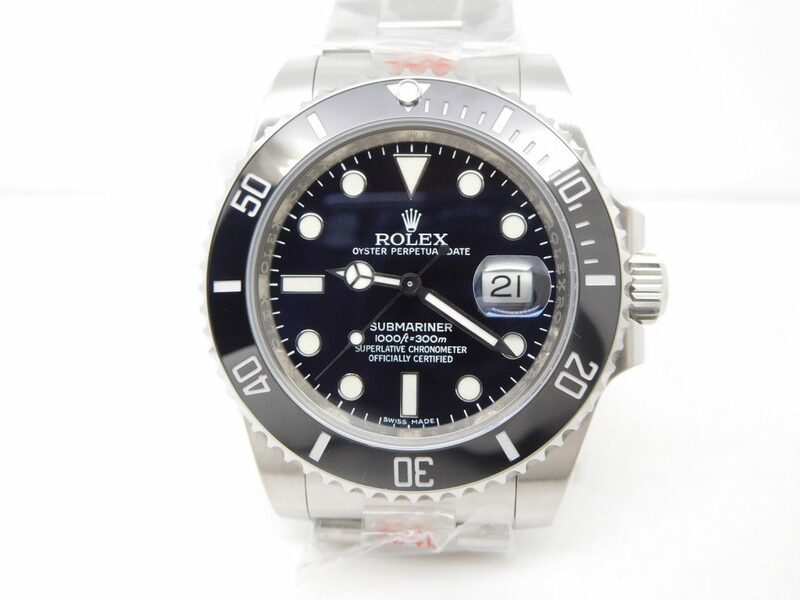 The only background history about such Rolex Submariner is it has a tight association with Comex company. 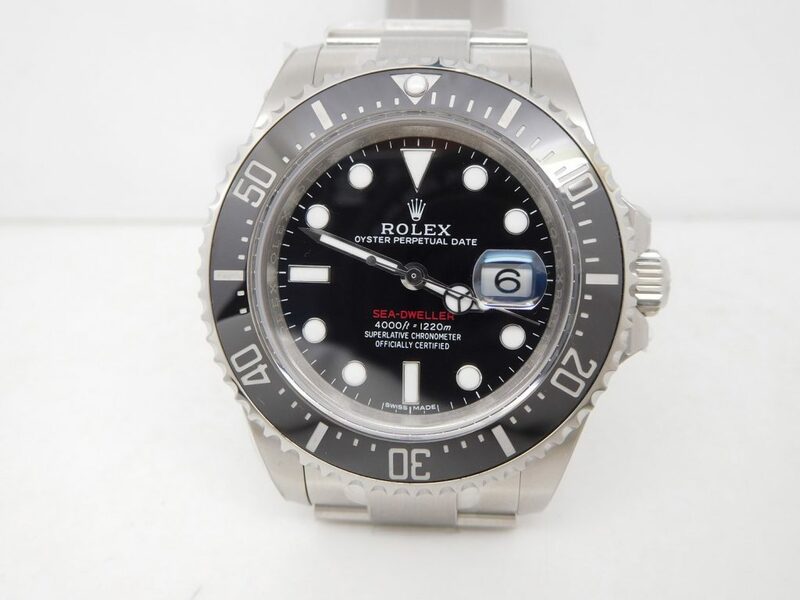 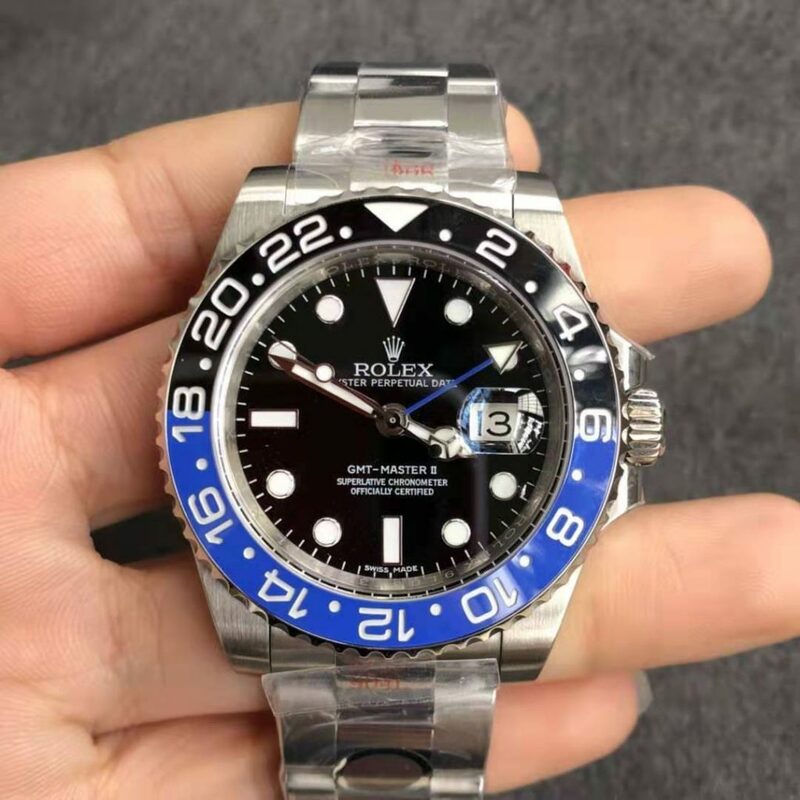 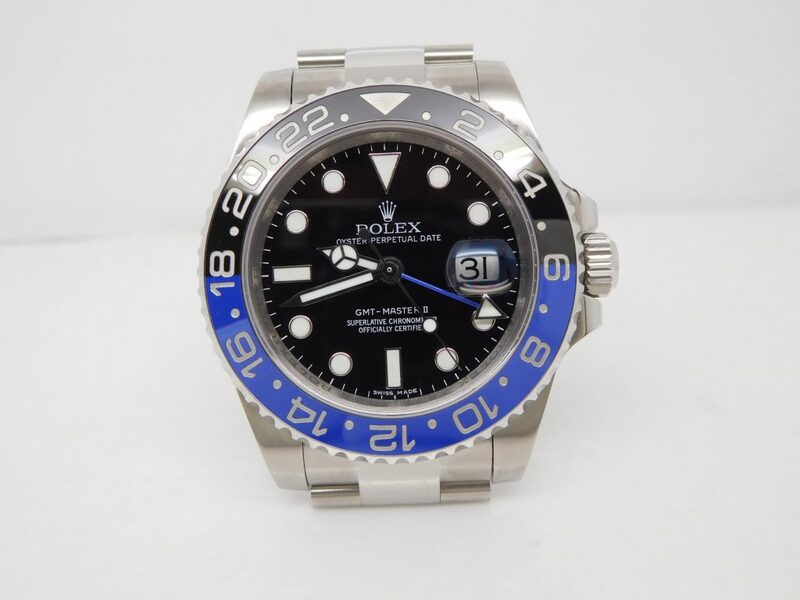 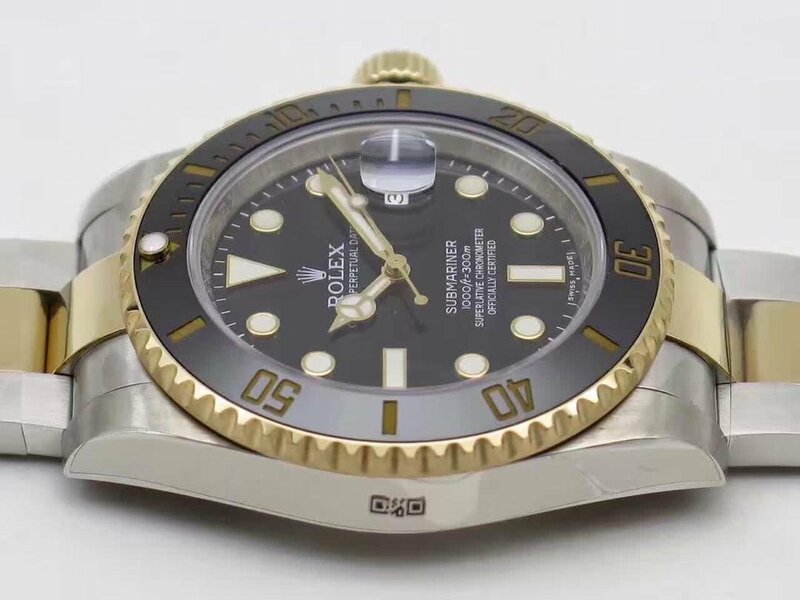 In order to develop a model that is more suitable for professional divers, Rolex cooperated with Comex, to ask their workers to wear Rolex Submariner watches when working under water, to distinguish this type of Submariners from other common Submariners, Rolex printed “COMEX” word on the dial. 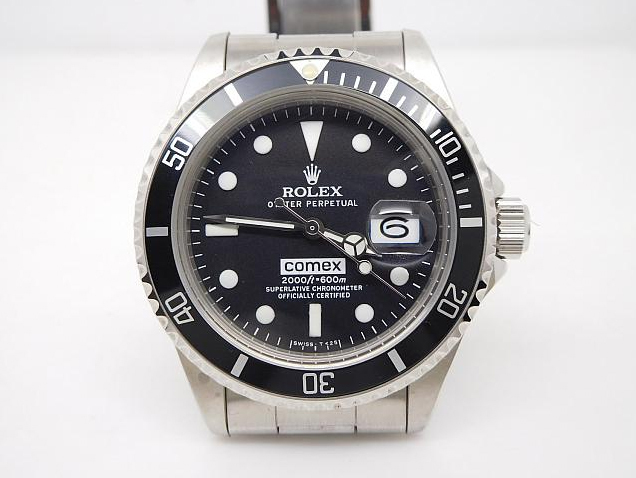 The development of Comex Submariner has made a great contribution to the birth of Rolex Sea-Dweller. 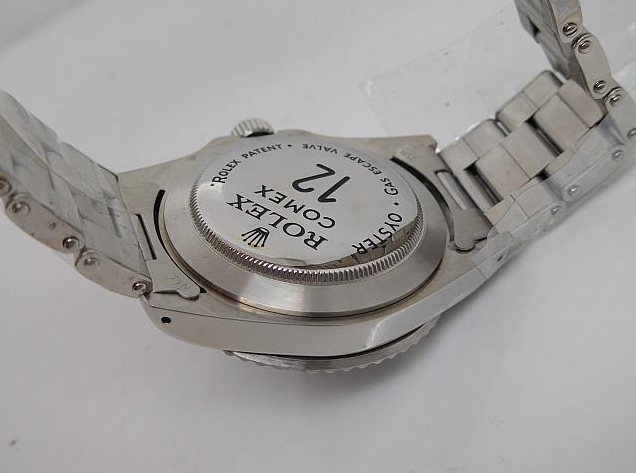 This is all things I know about Comex Rolex watch. 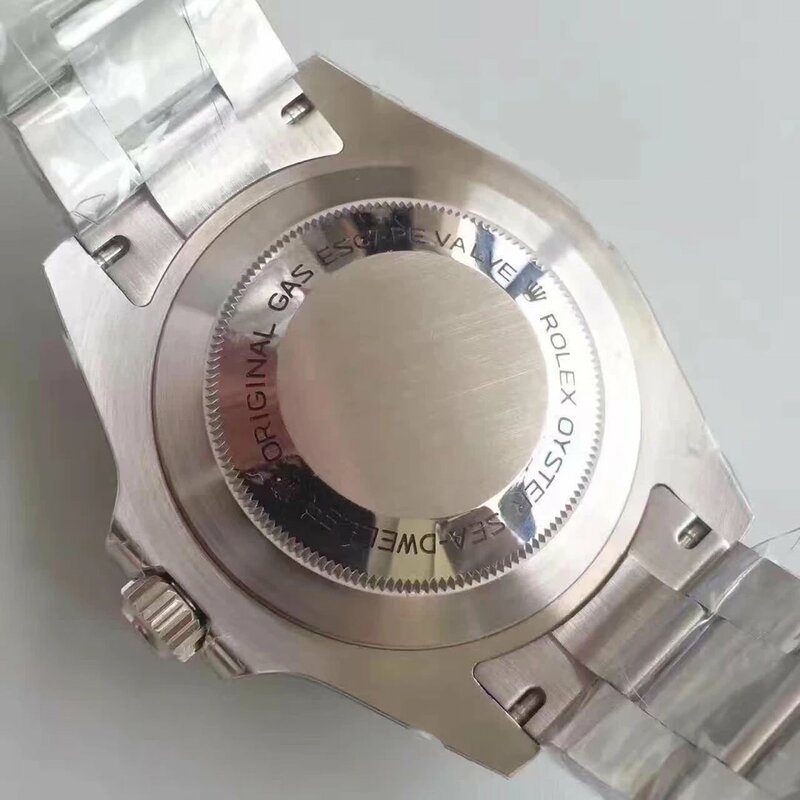 Finally, the replica vintage Rolex is equipped with ETA 2836-2 movement, which is considered to be the most reliable movement used in replicas. 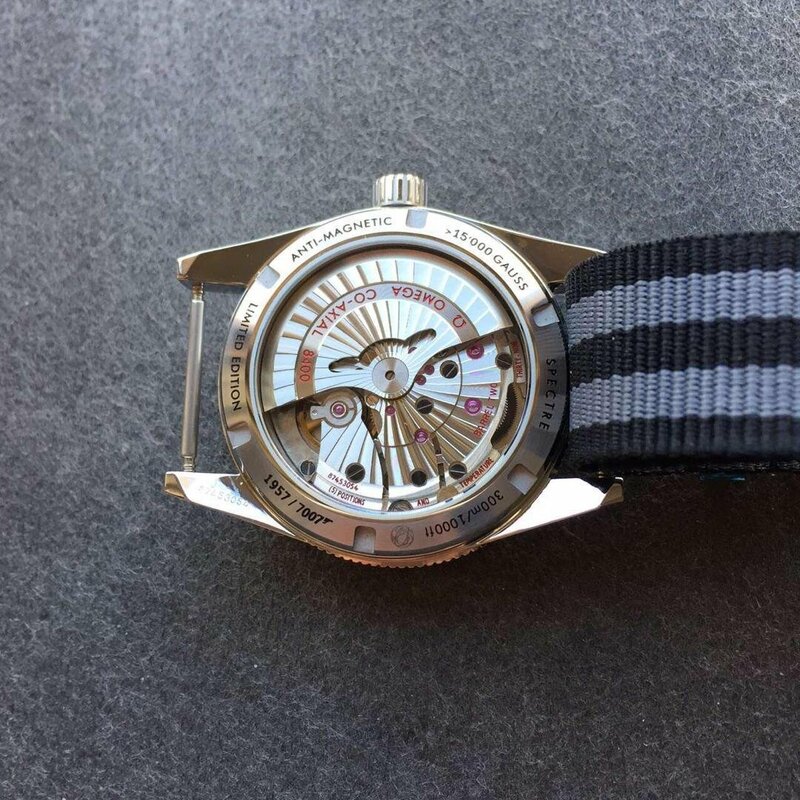 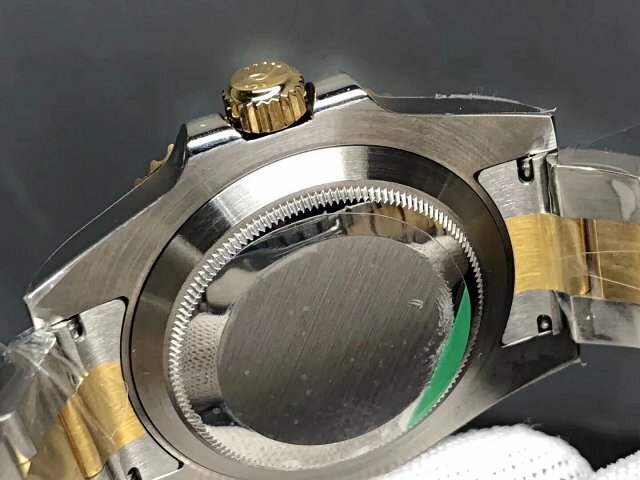 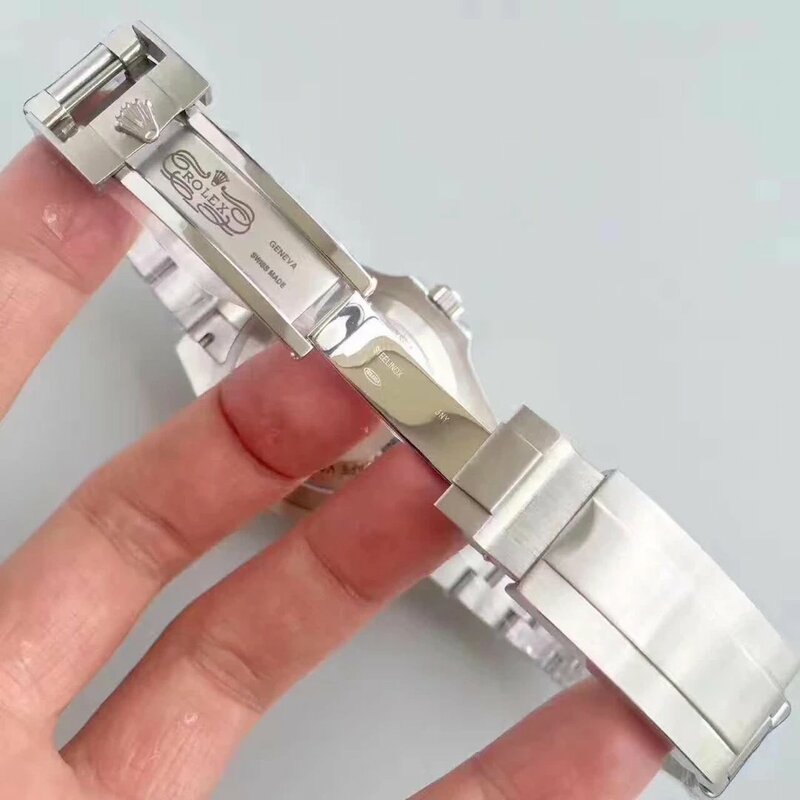 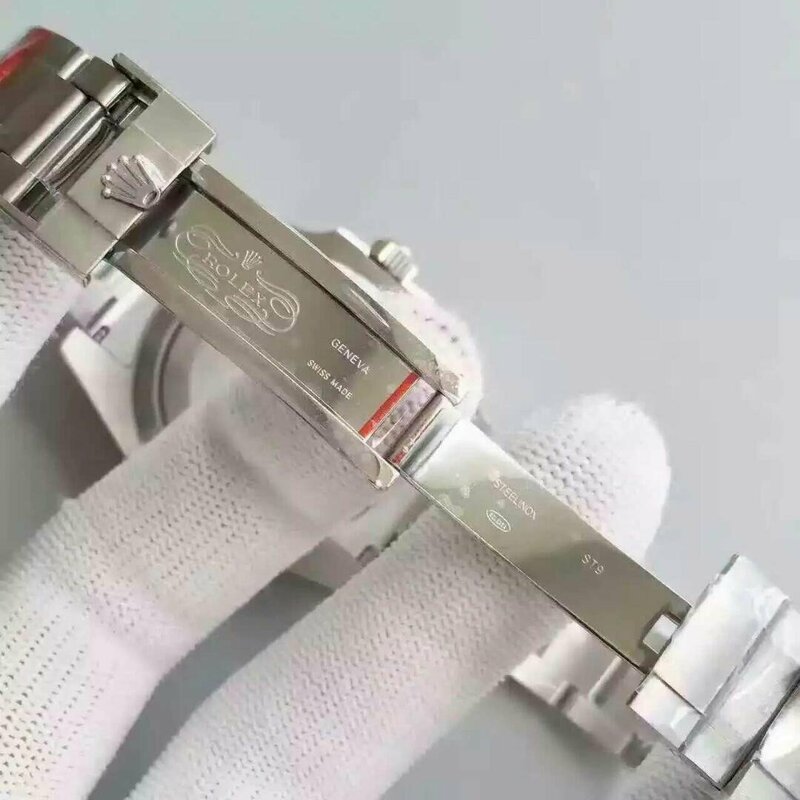 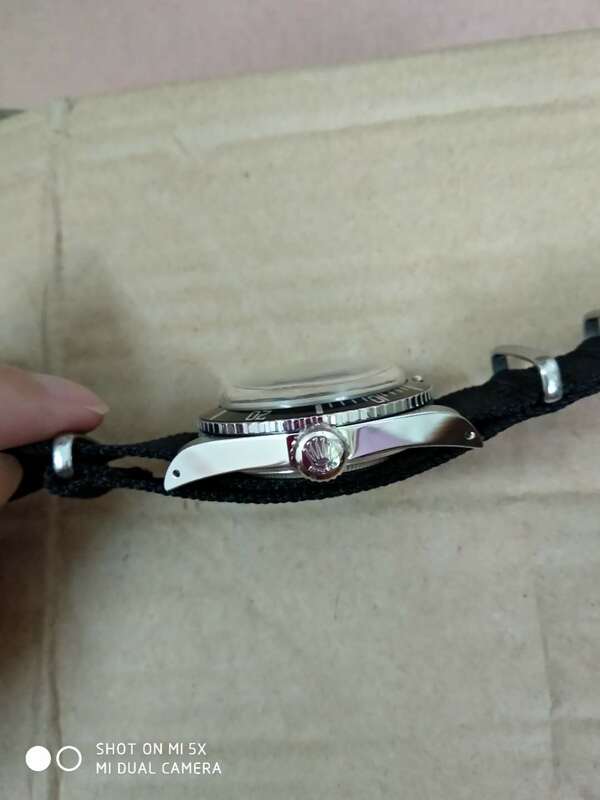 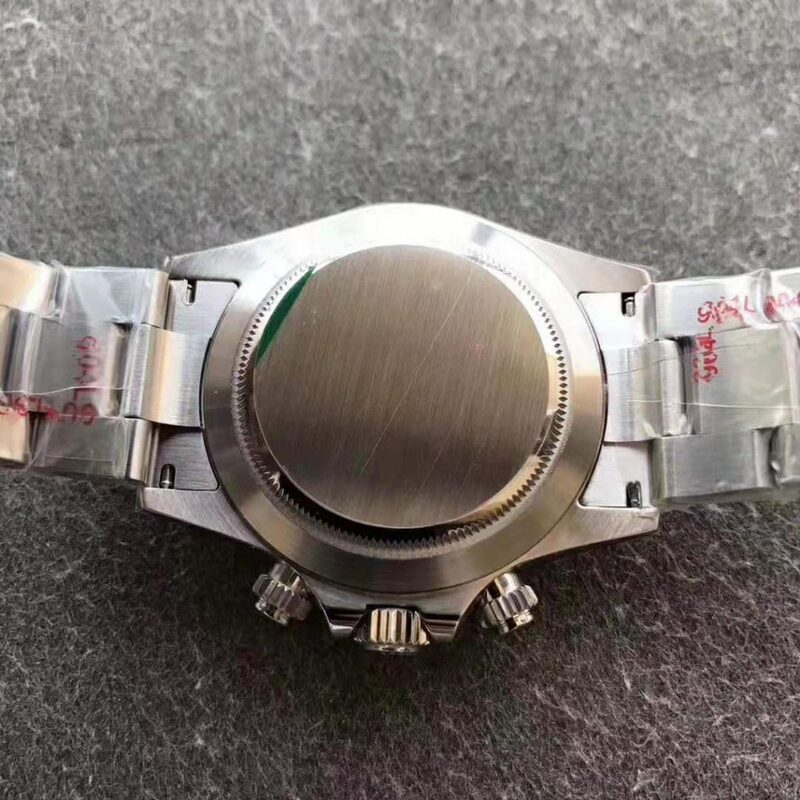 Actually with the rapid development of replica watch industry, the clone movement is made very close to genuine, but I still recommend you guys to buy this ETA 2836 movement, because it has fewer modification on movement components, the working is more stable. 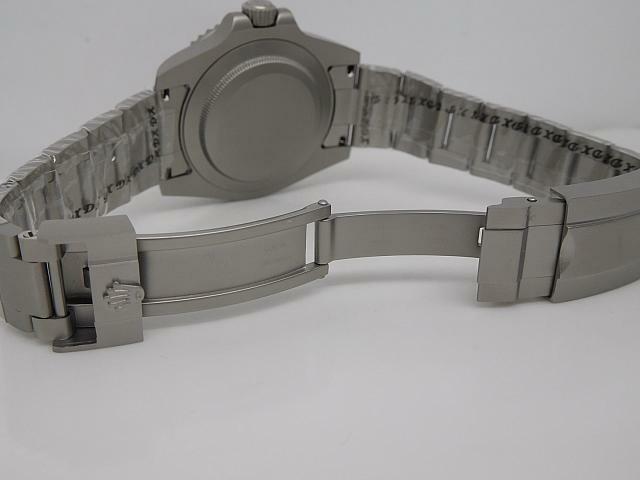 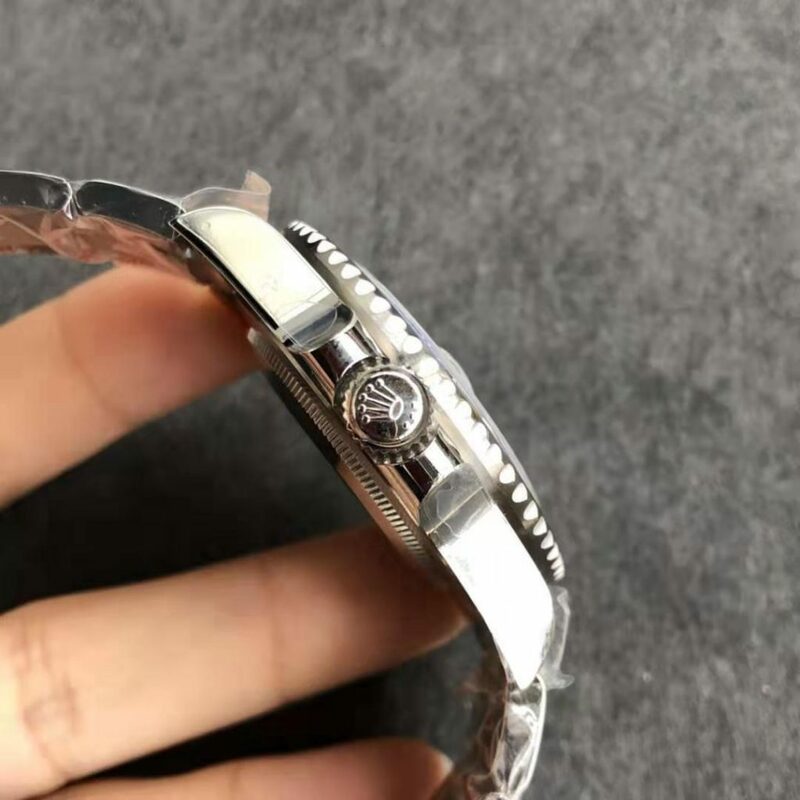 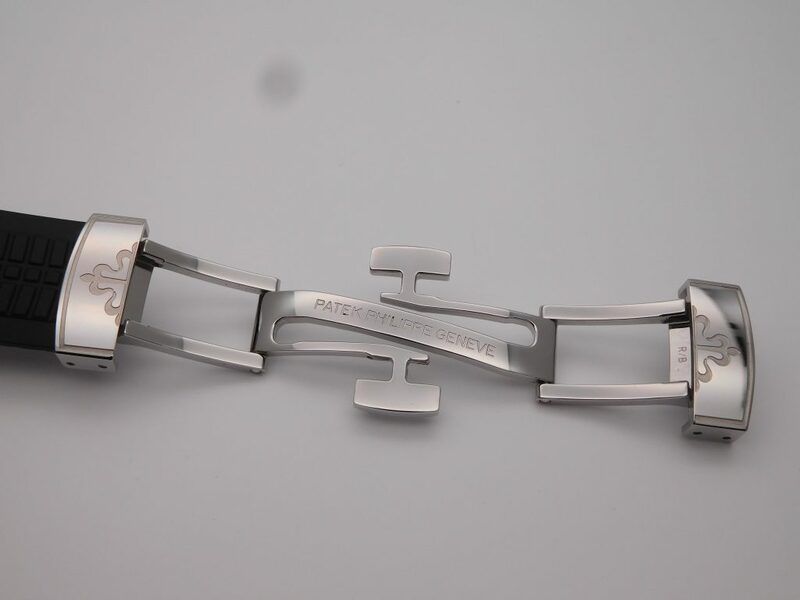 The riveted bracelet now is available, many vintage Rolex fans has requested riveted bracelet from me, now it is in stock.